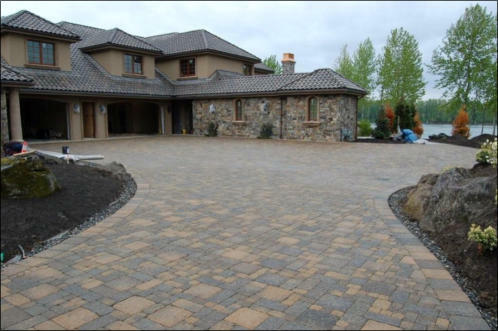 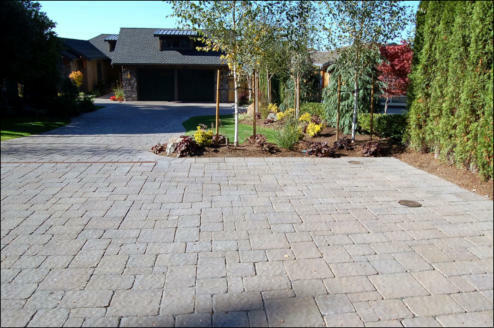 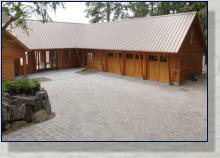 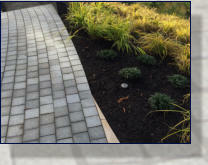 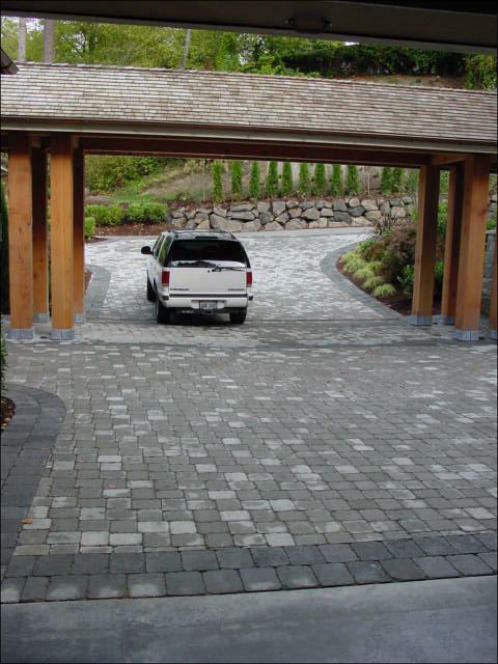 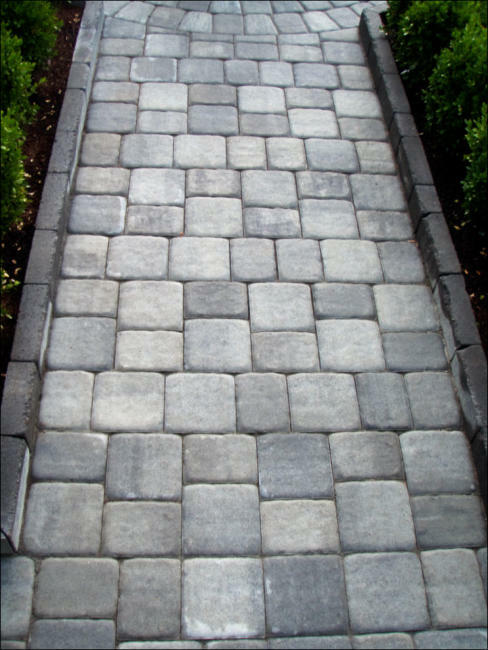 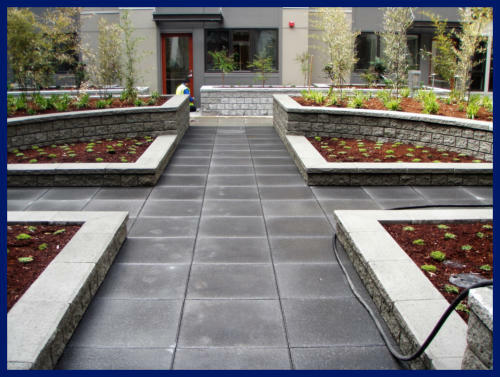 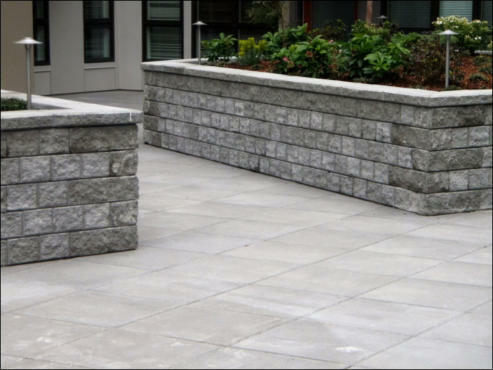 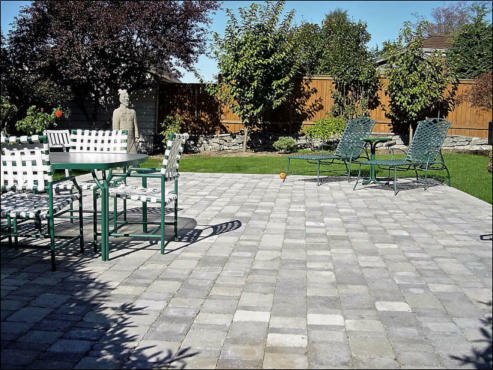 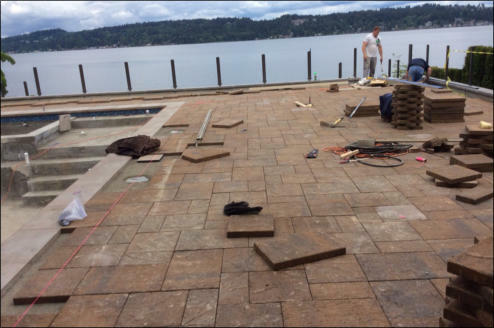 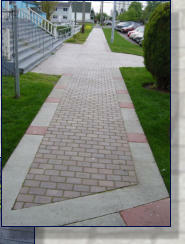 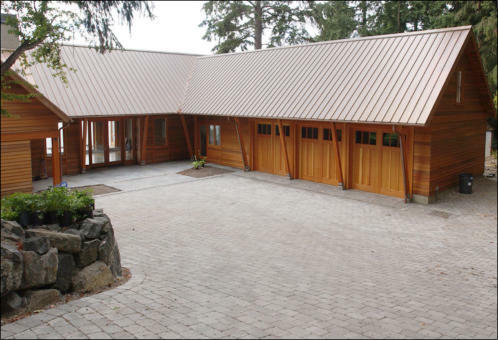 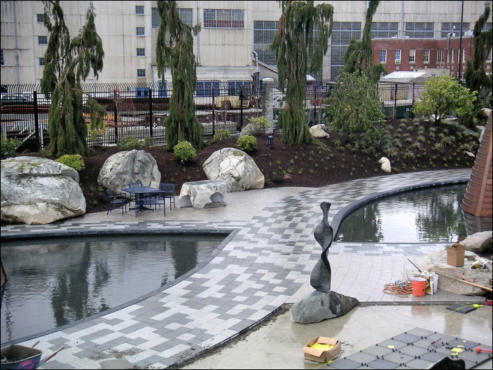 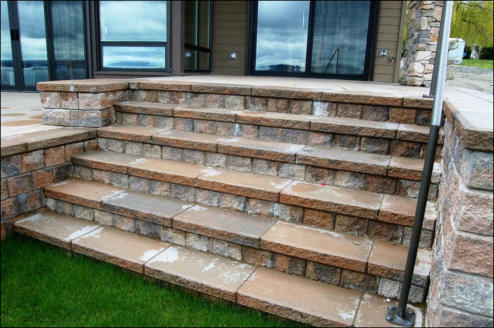 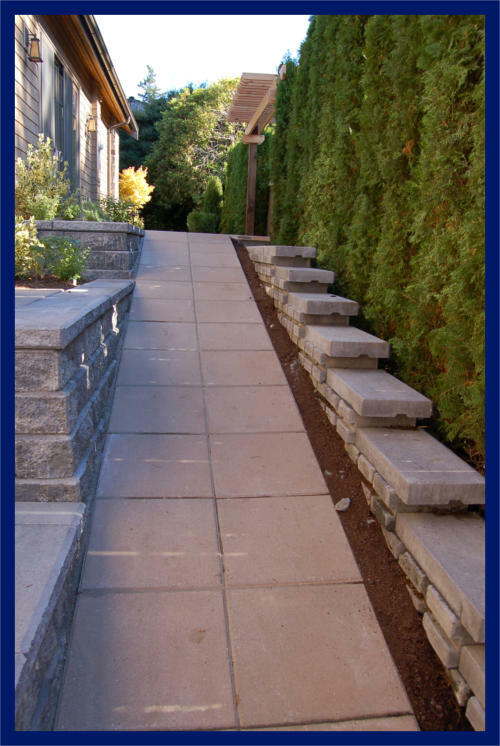 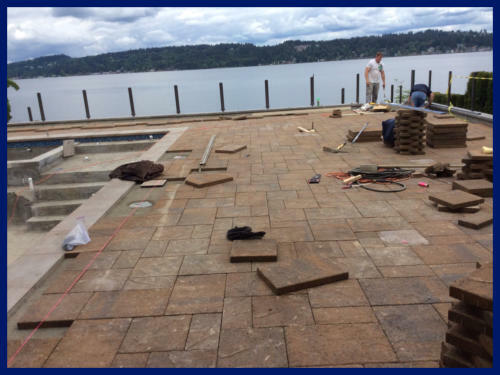 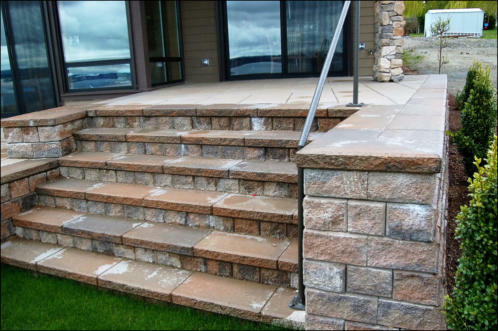 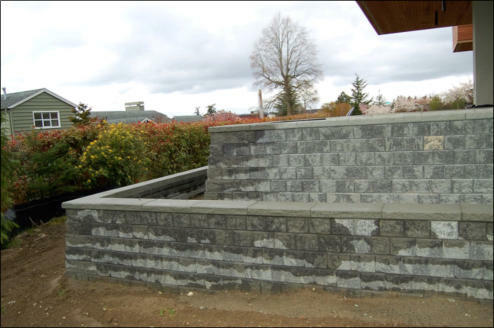 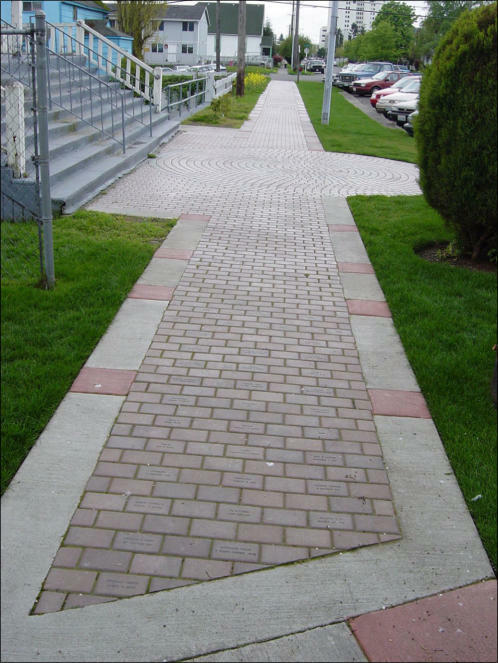 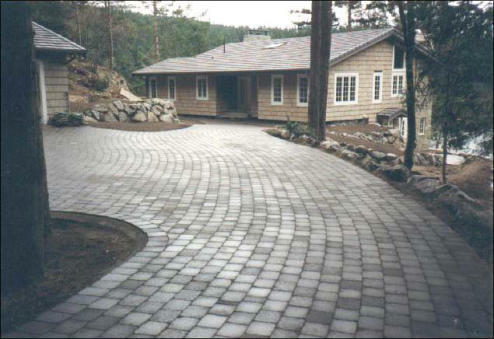 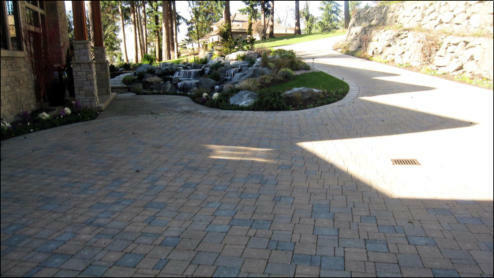 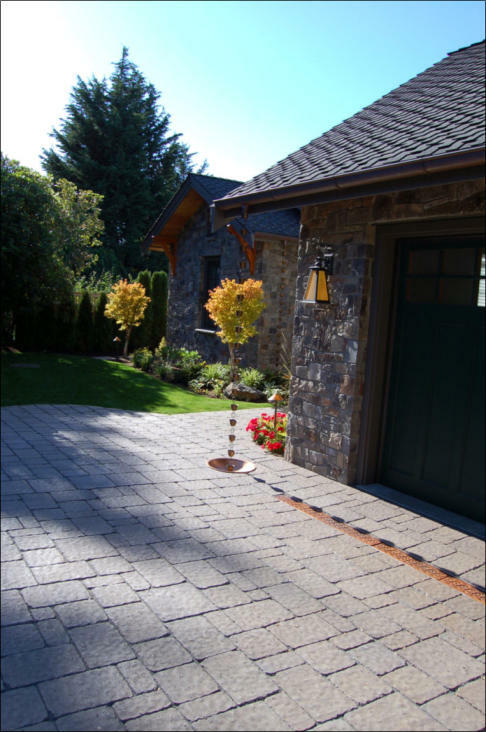 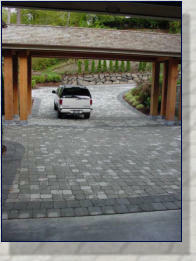 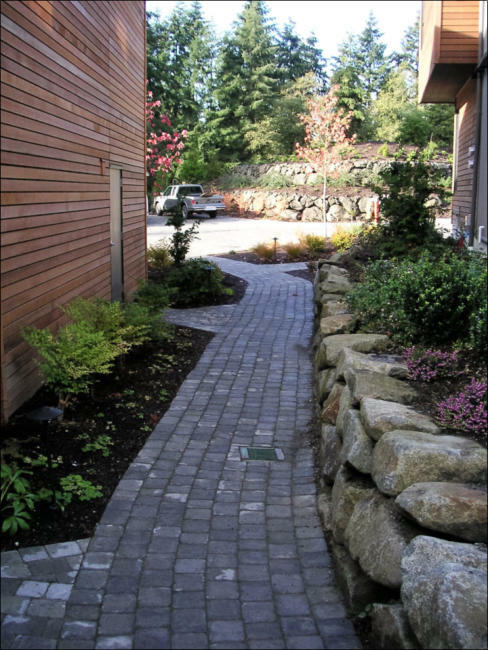 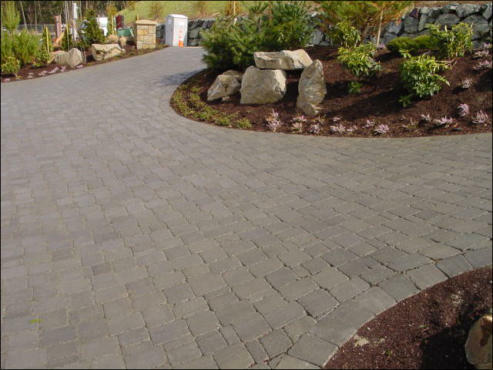 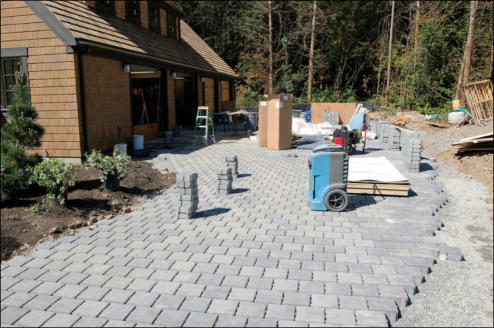 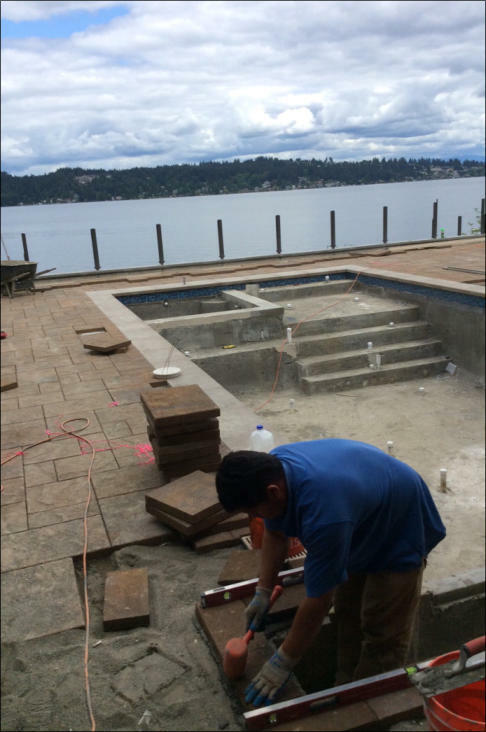 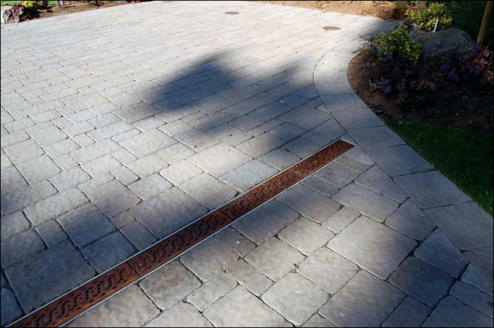 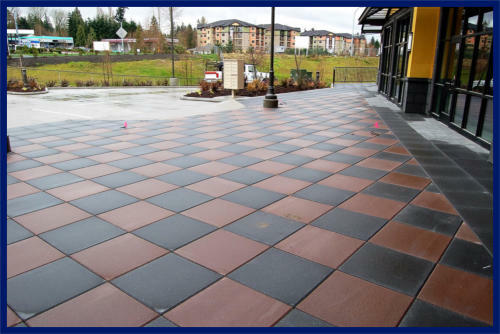 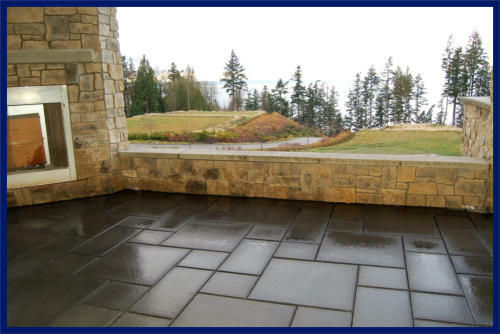 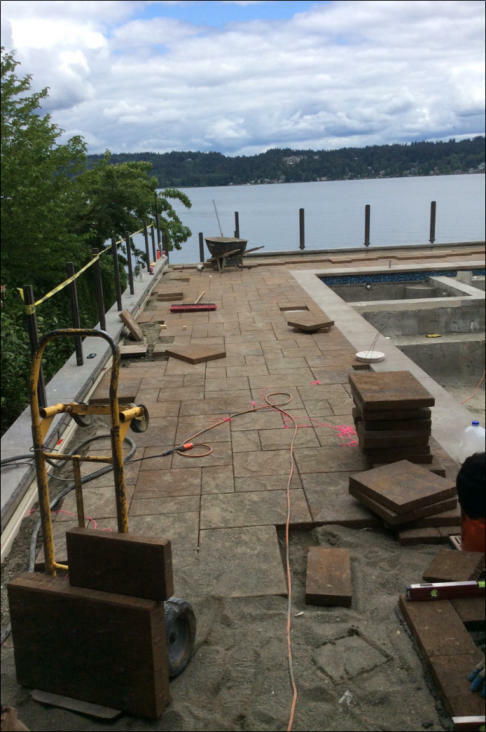 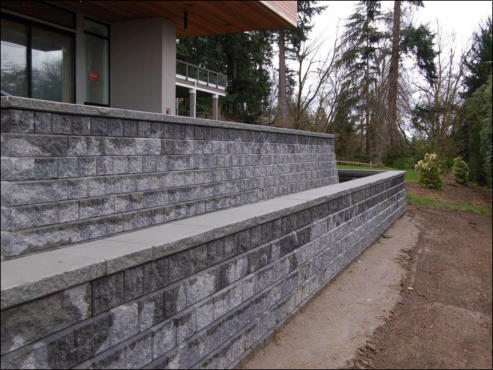 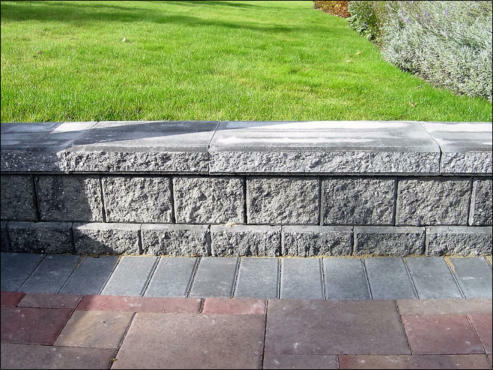 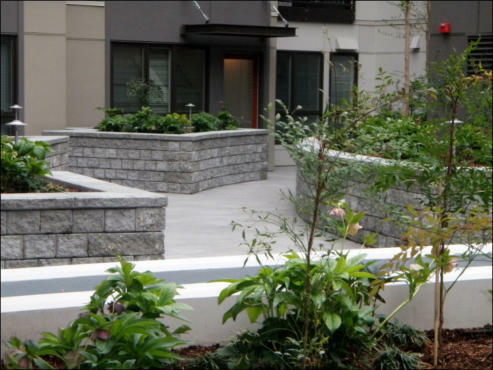 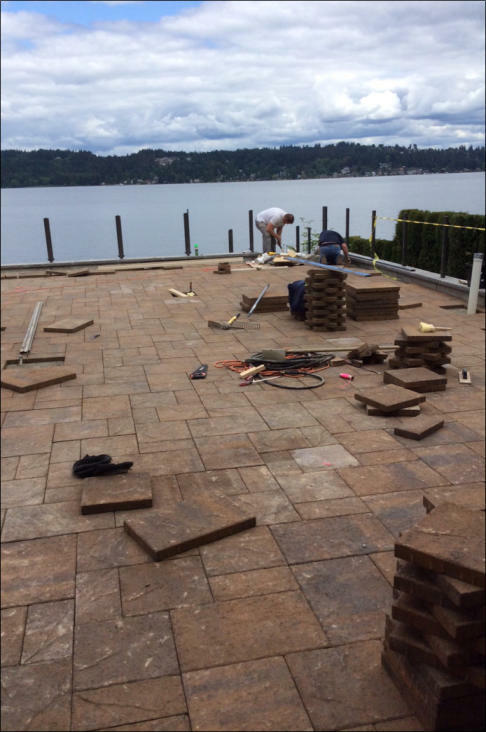 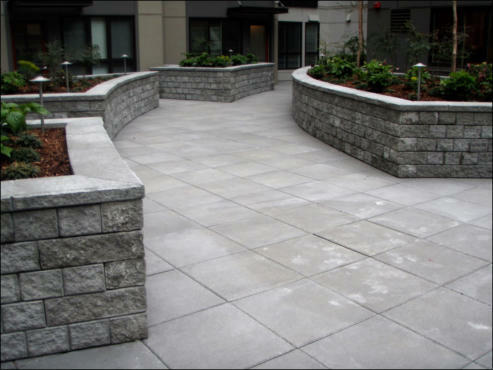 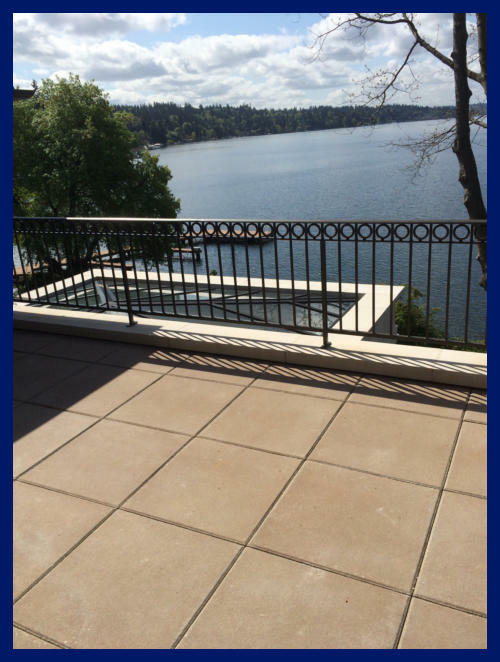 Appian Construction, Inc., located in Woodinville, Washington, has been providing quality paving products and installation services since 1984. 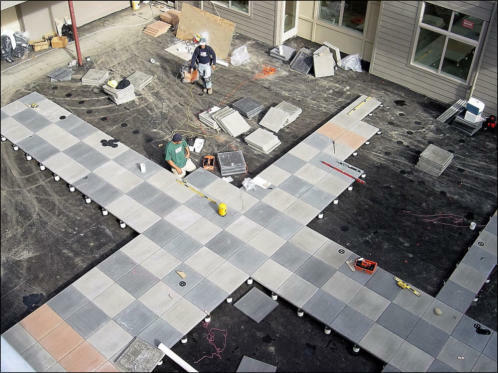 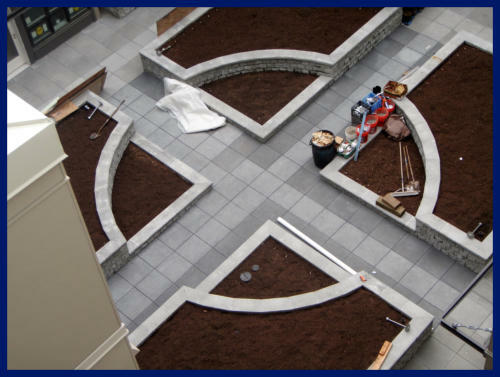 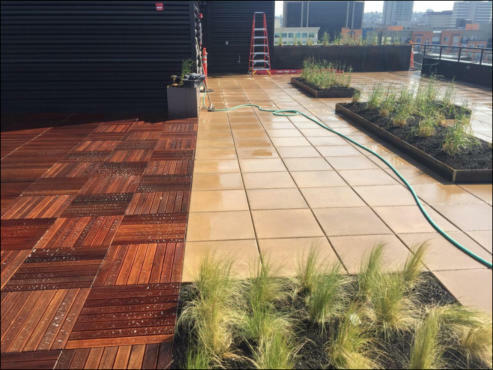 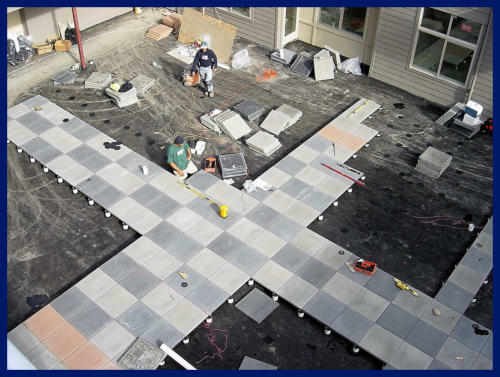 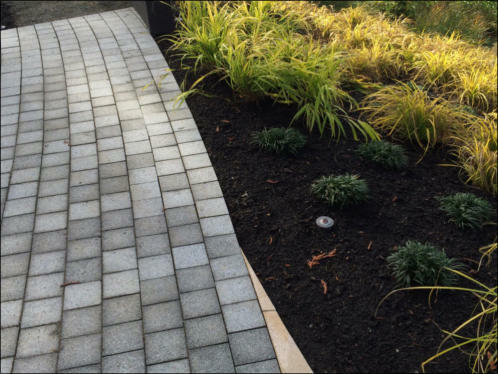 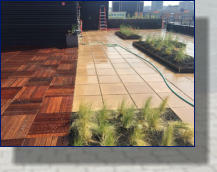 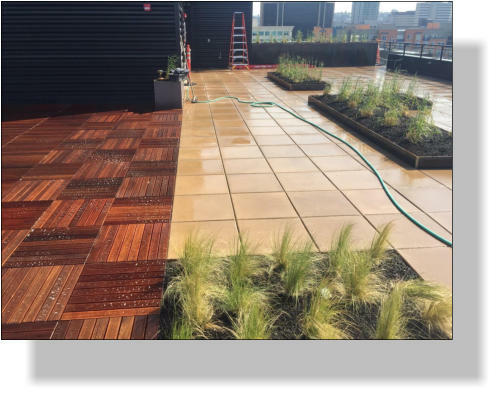 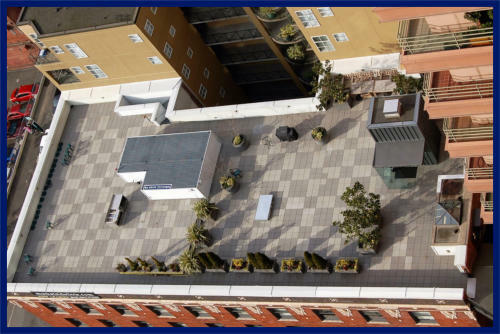 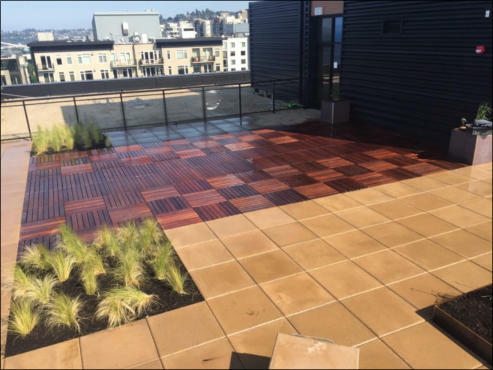 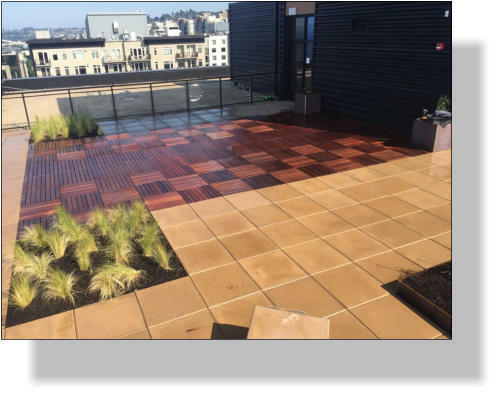 Professionalism and performance have made us a leader in both on- grade paver applications and roof deck systems achieving superior results for both commercial and residential applications. 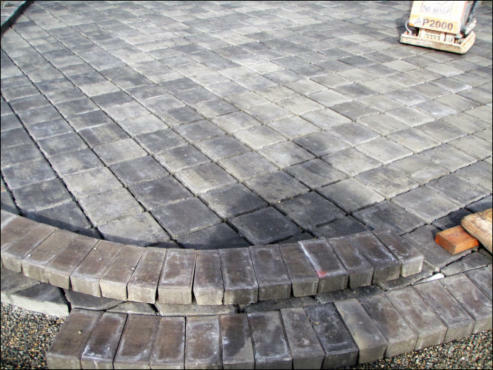 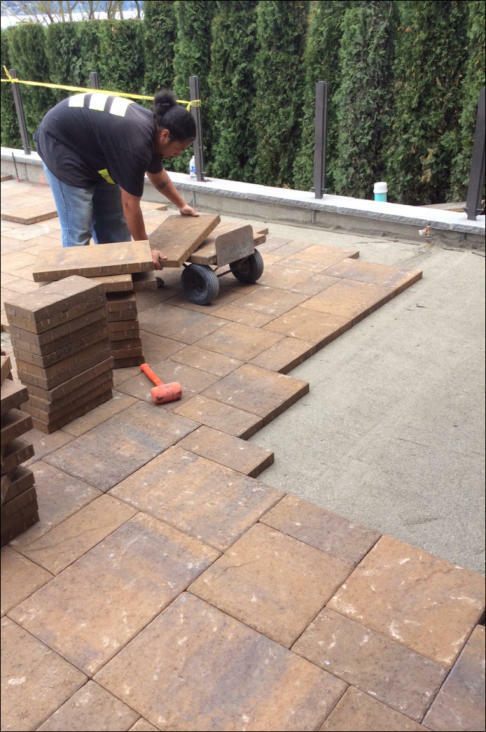 We specialize in the installation of unit paving including sand set, bituminous set, permeable set, and pedestal set pavers. 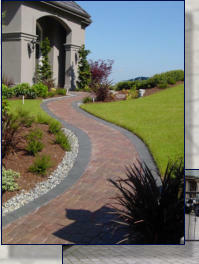 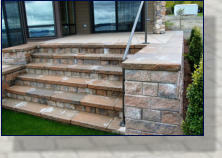 Appian is a manufacturer's rep for Appian Way Systems, Mutual Materials, Abbotsford Concrete Products, Stepstone Inc., Wausau Tile (Tectura designs), Hanover Architectural Products, Bison Innovative Products, Preston Woodcraft, Belgard, Basalite Concrete Poducts, and American Hydrotech products. 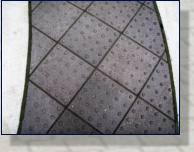 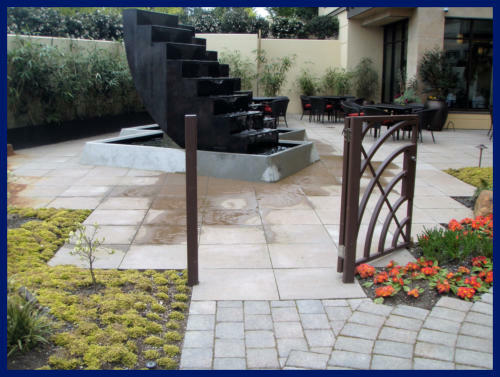 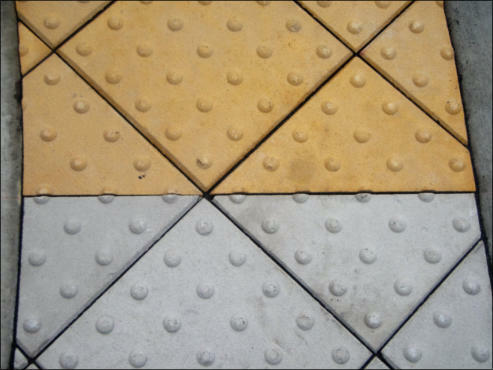 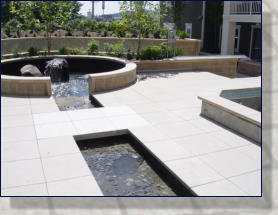 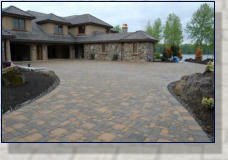 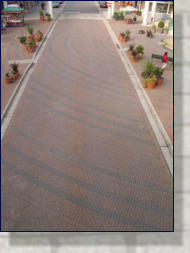 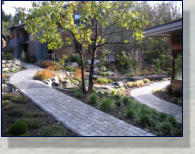 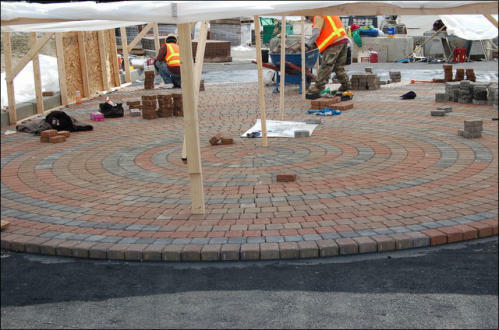 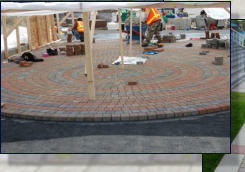 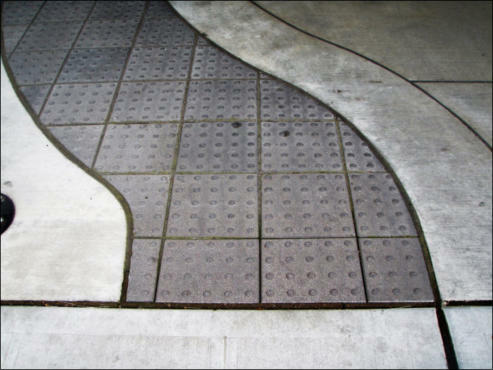 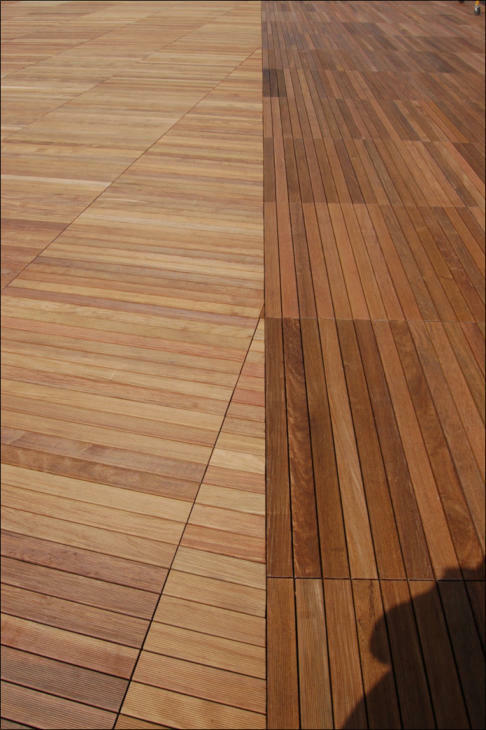 We are committed to developing creative solutions for all of your paving needs. 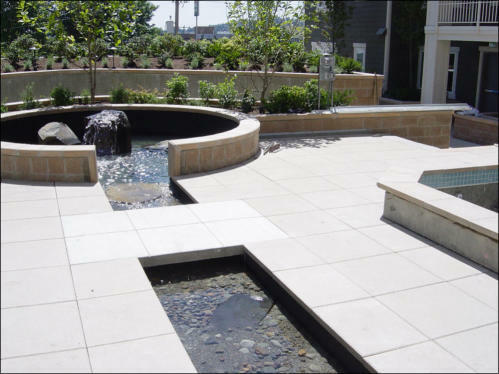 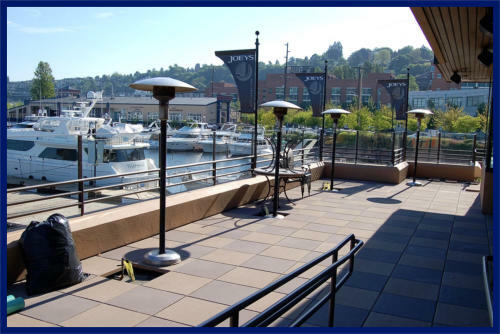 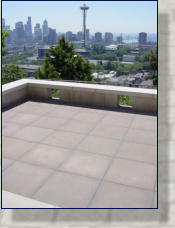 Hydra-pressed / Architectural Slabs Hydra-pressed Slabs from a variety of manufacturers are used both on grade and on roof decks to protect roofing membranes against harsh weather and to create a level walking surface for patios and terraces when placed on a pedestal to allow drainage. 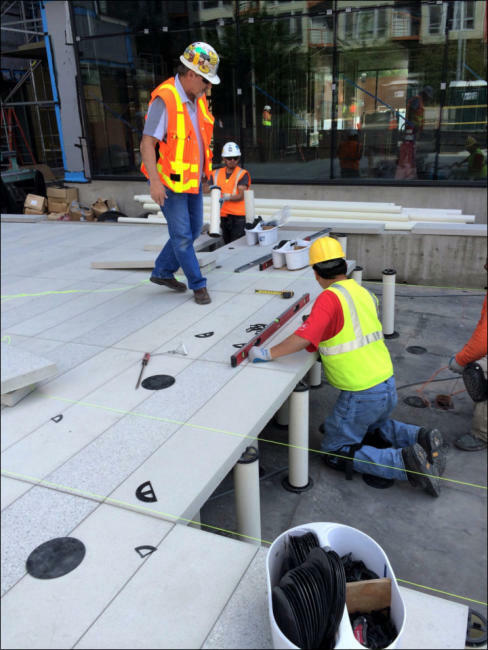 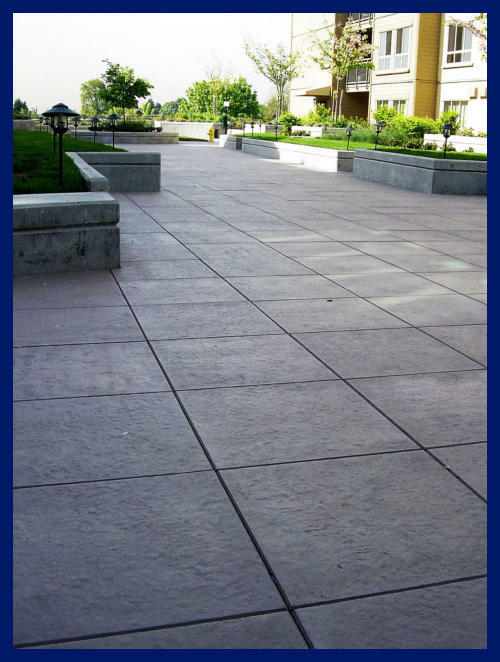 The slabs are hydraulically pressed giving a dense, durable, non-slip surface. 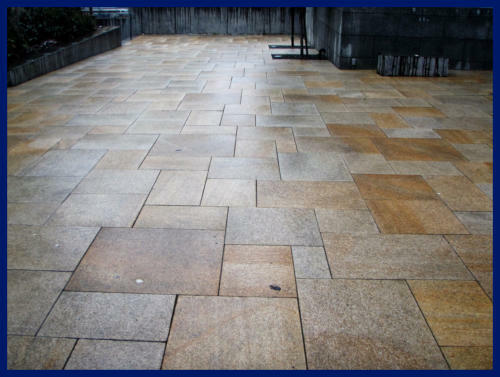 The mix is subjected to 400 tons of hydraulic pressure giving strength, density and durability comparable to natural stone. 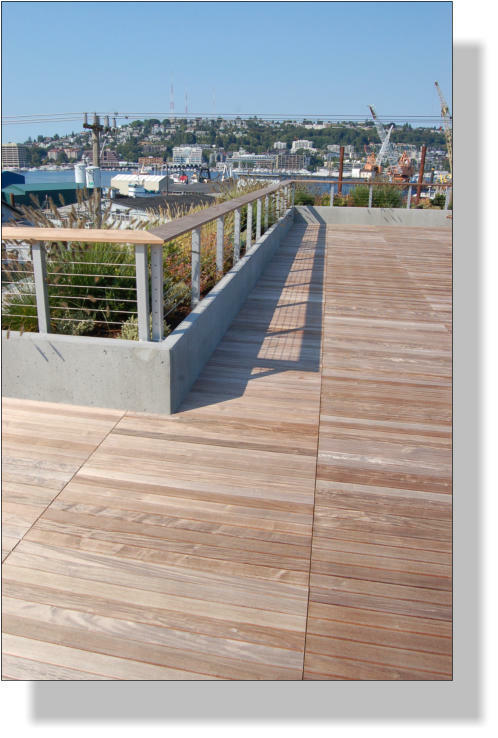 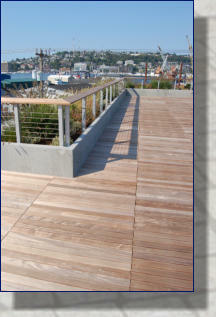 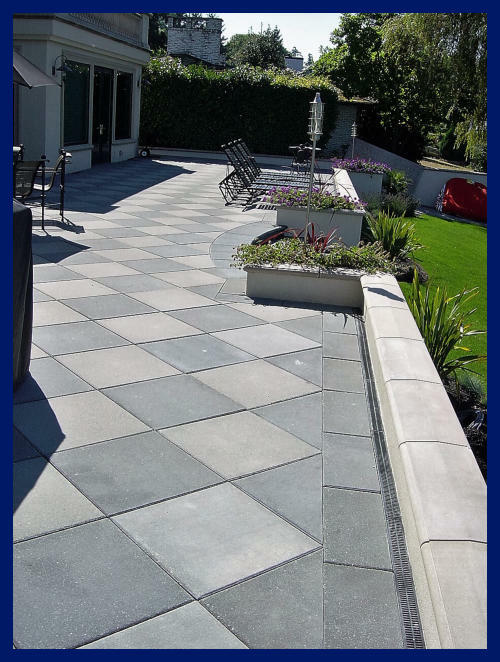 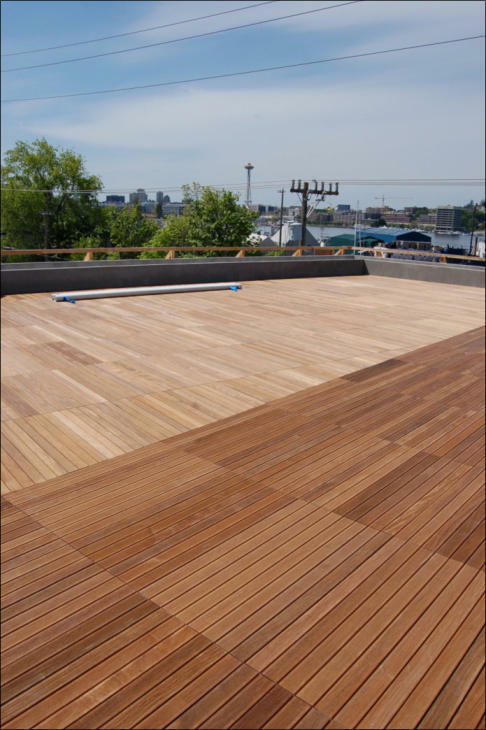 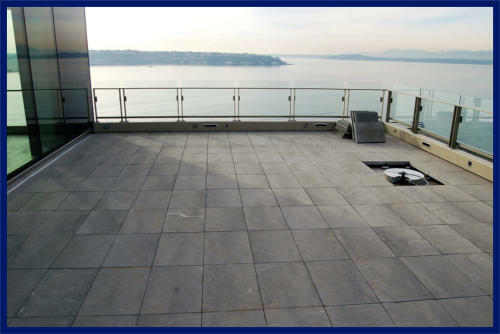 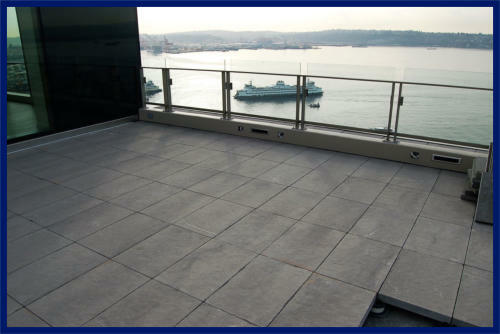 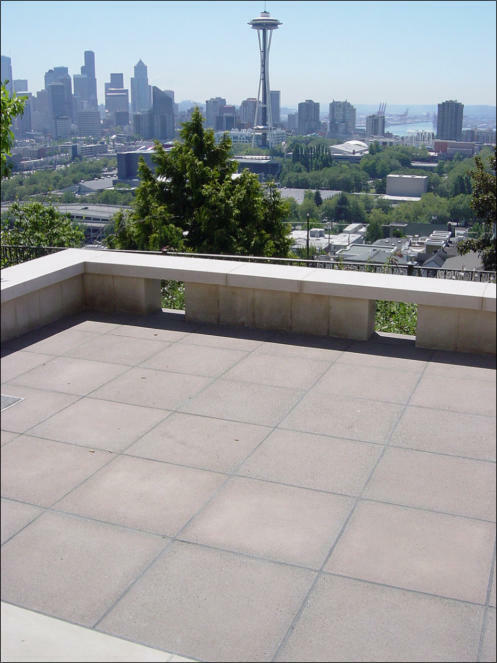 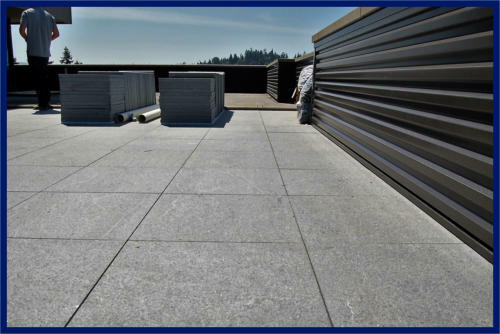 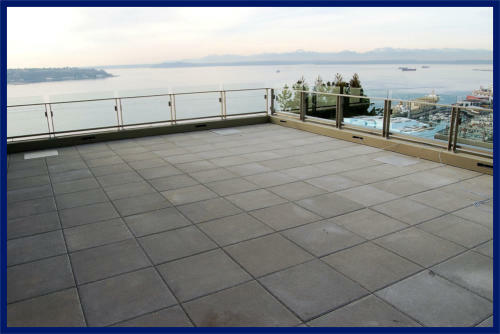 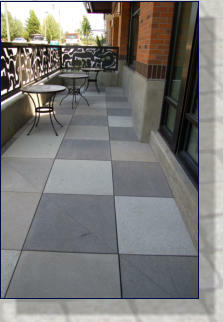 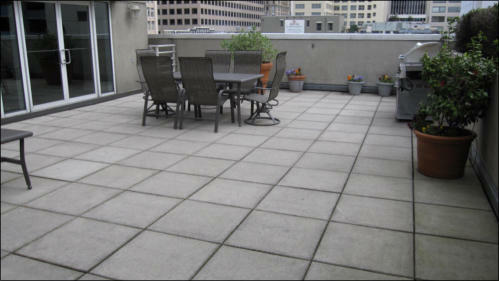 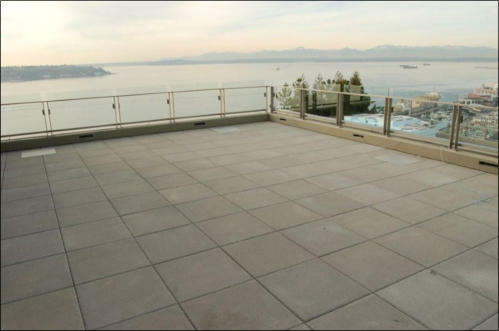 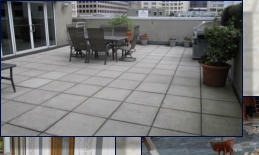 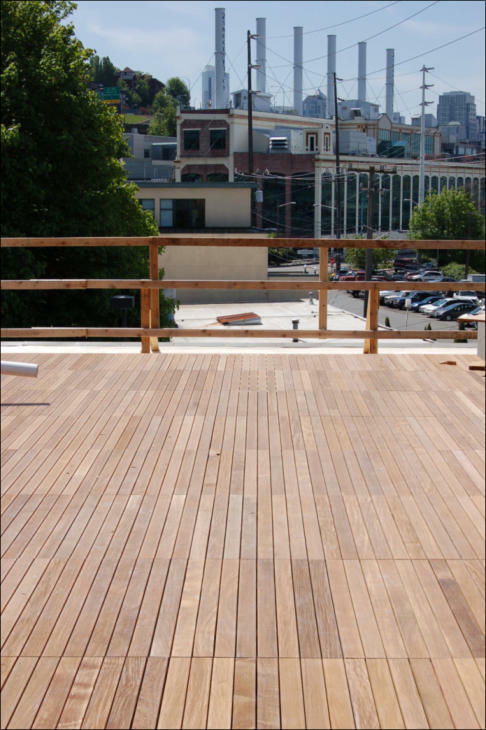 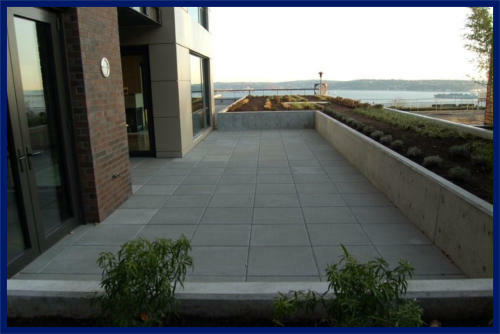 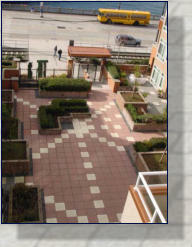 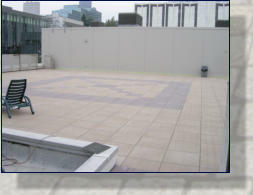 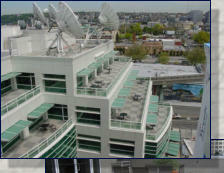 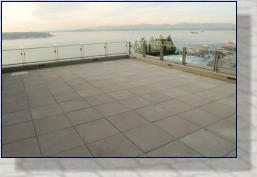 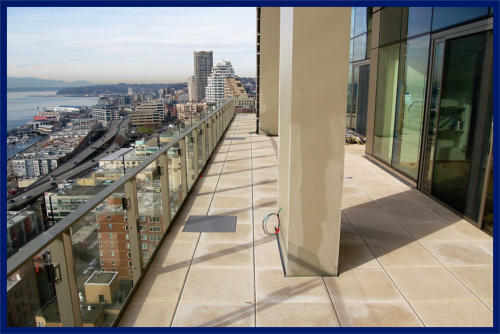 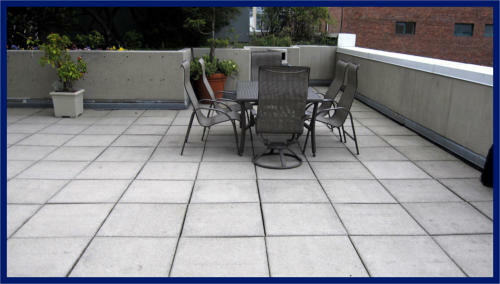 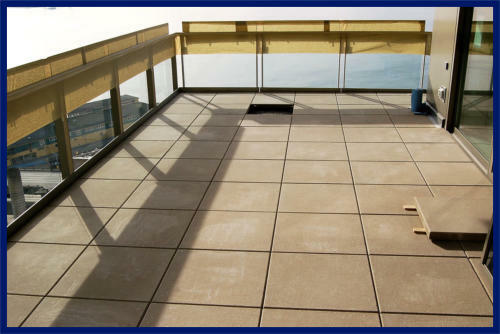 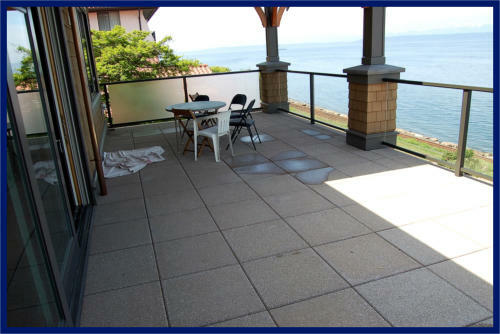 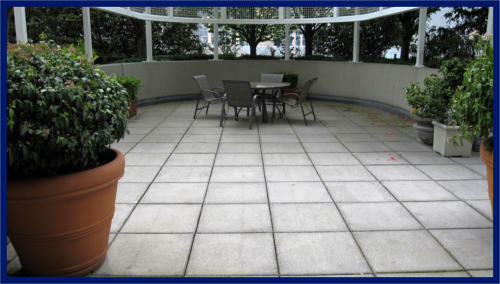 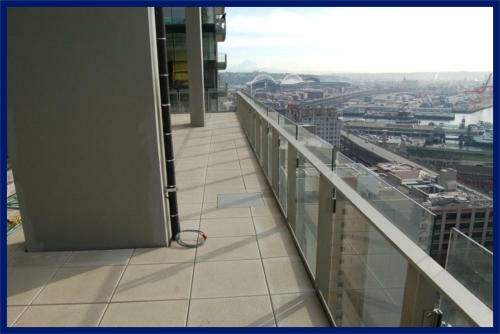 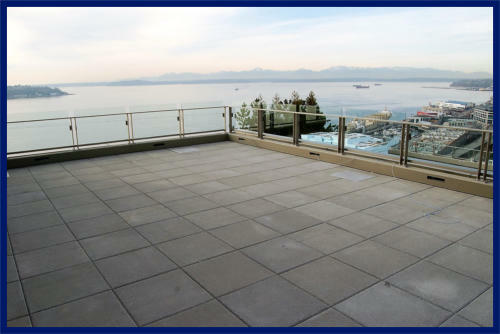 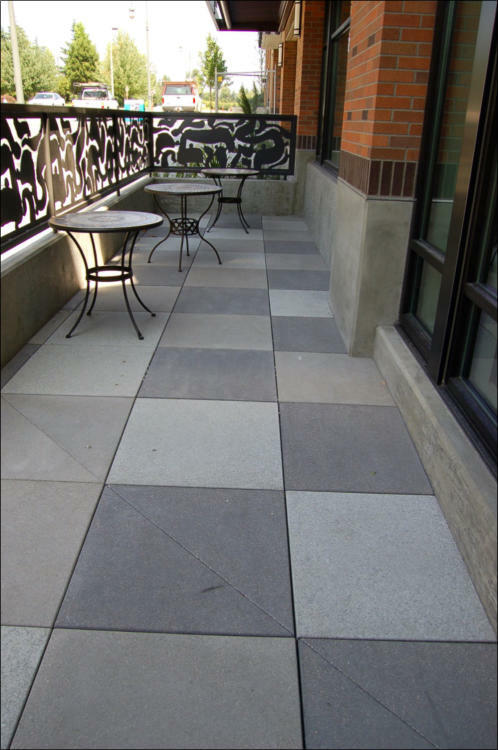 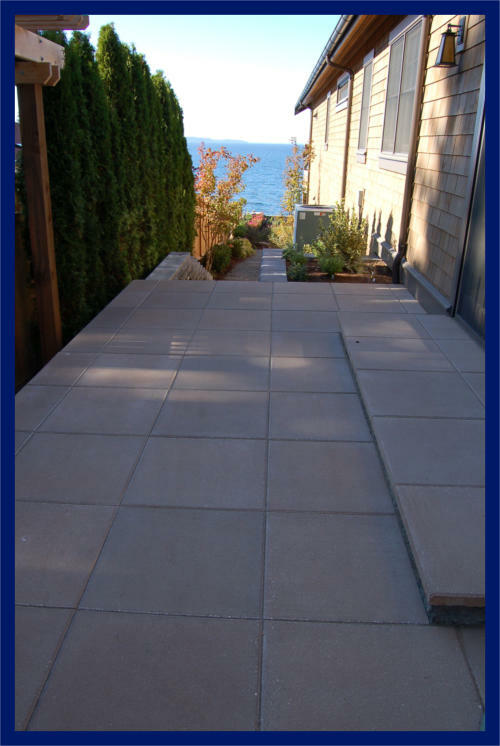 Using concrete pavers on roofs, plaza decks, and terraces has created new opportunities for otherwise lost space. 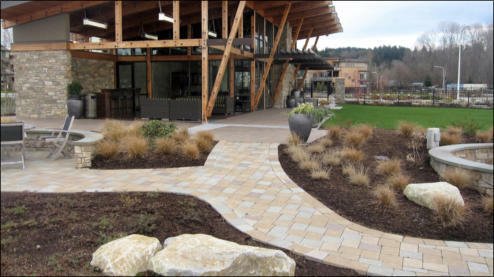 Both amenity & non-amenity areas can now be functional, as well as attractive (including when viewed from higher elevations). 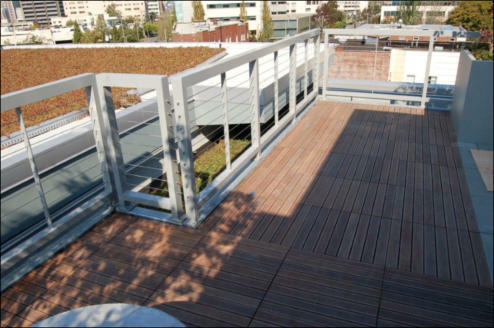 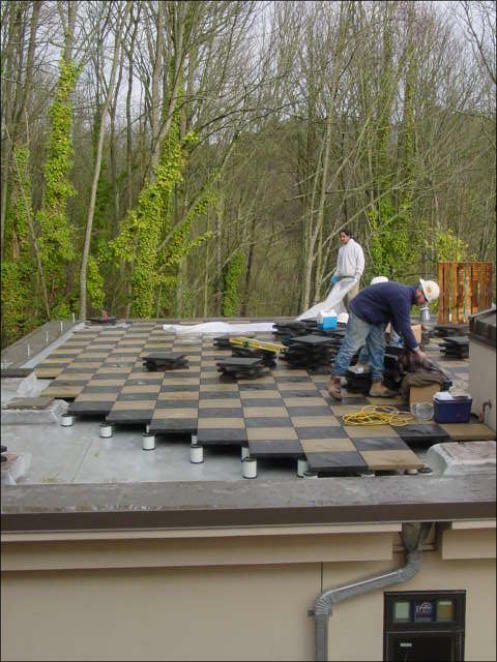 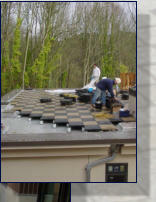 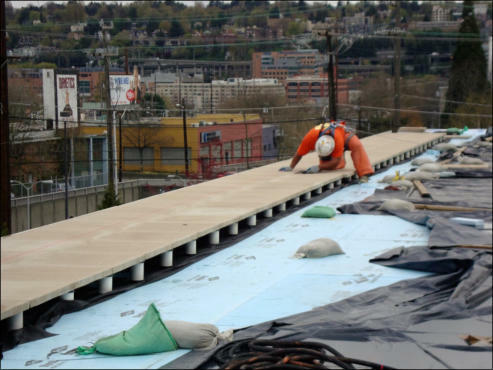 The popularity of energy-efficient roofs, or “green” roofs, is increasing as its value is appreciated. 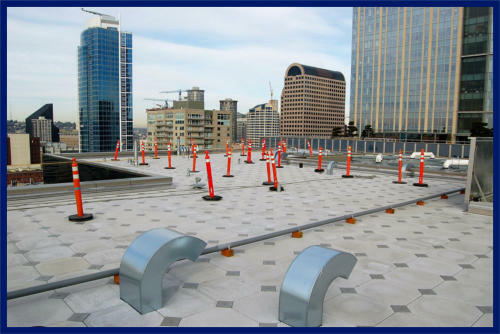 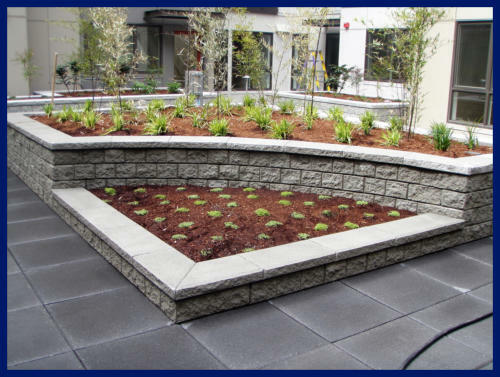 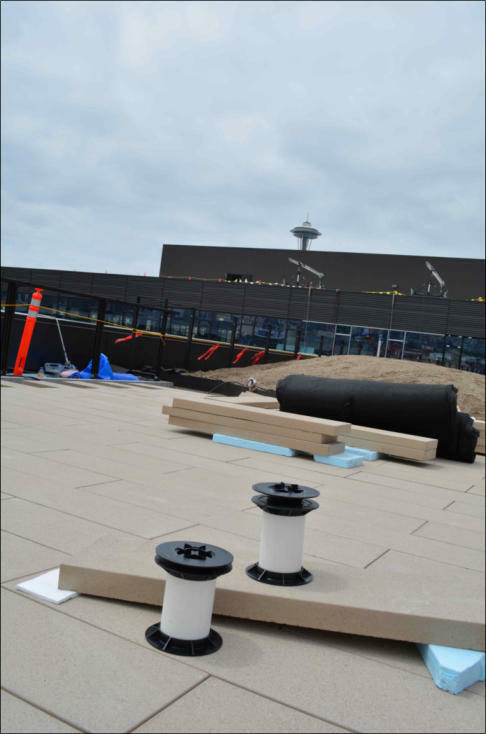 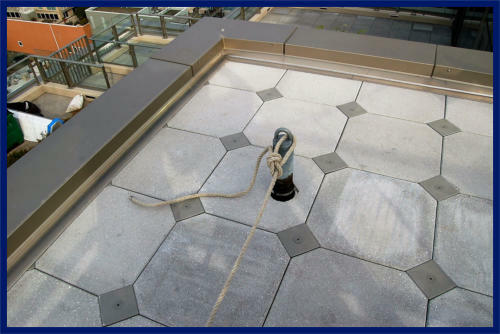 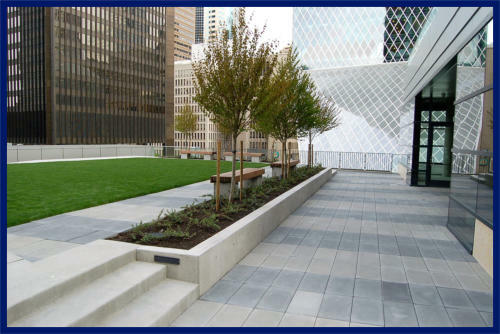 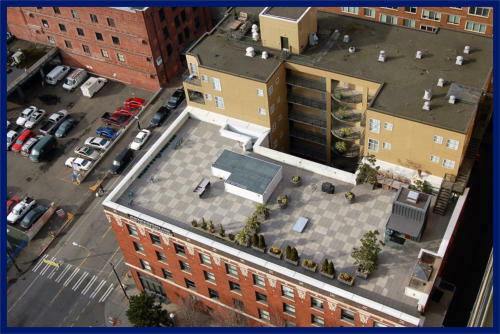 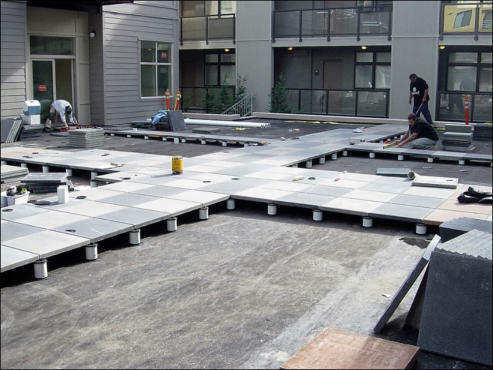 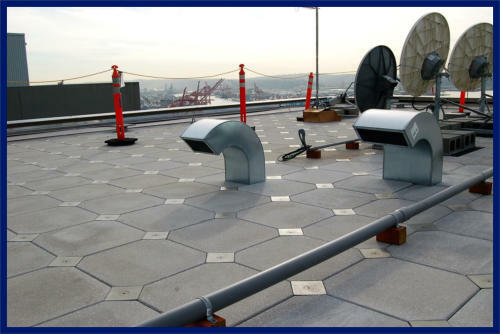 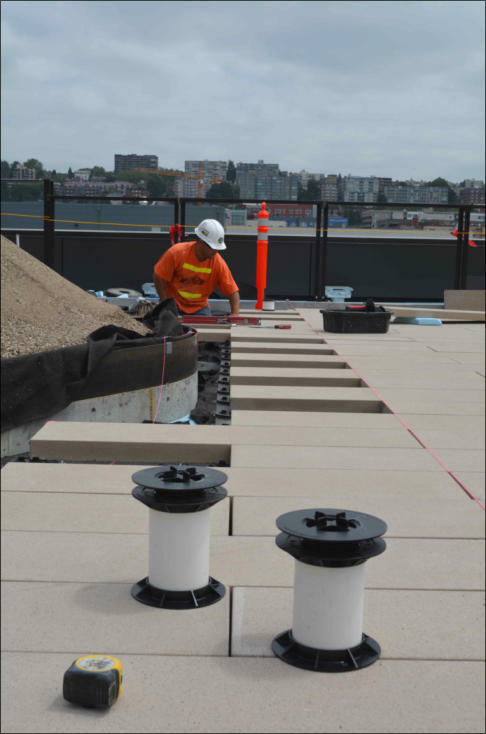 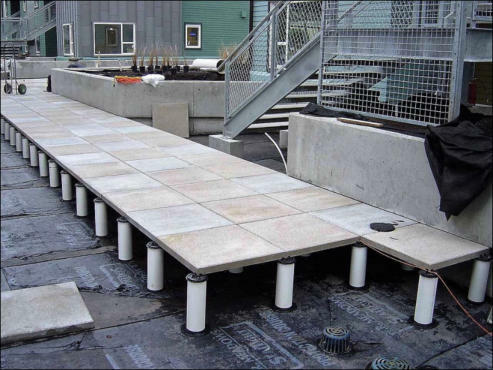 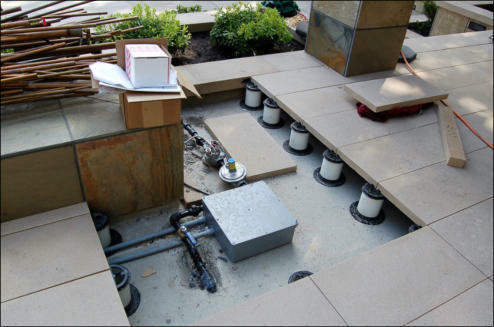 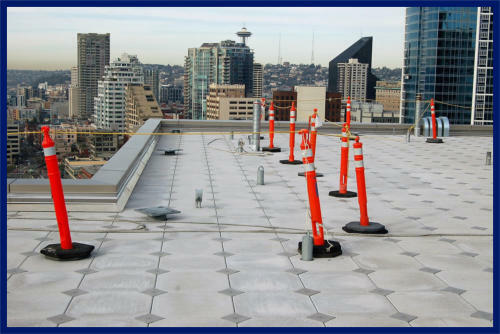 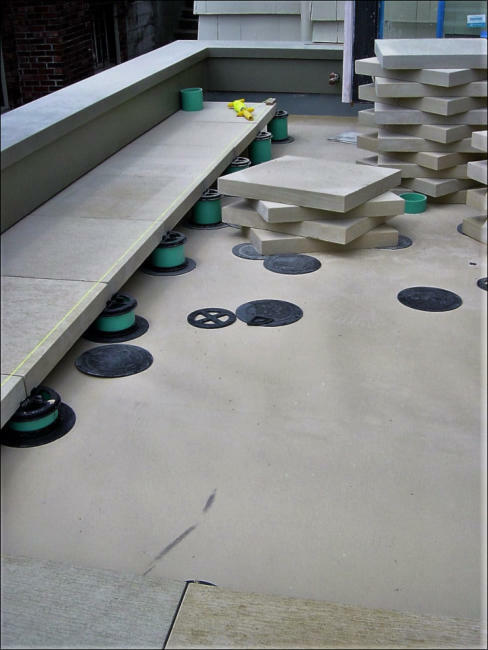 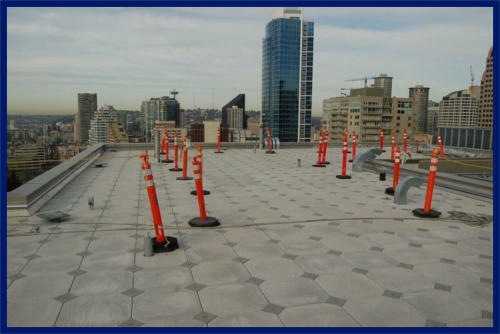 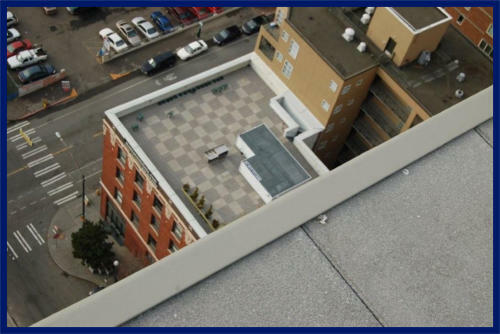 Pedestal set paver installations allow easy access to the roof and waterproofing system for making repairs or standard maintenance. 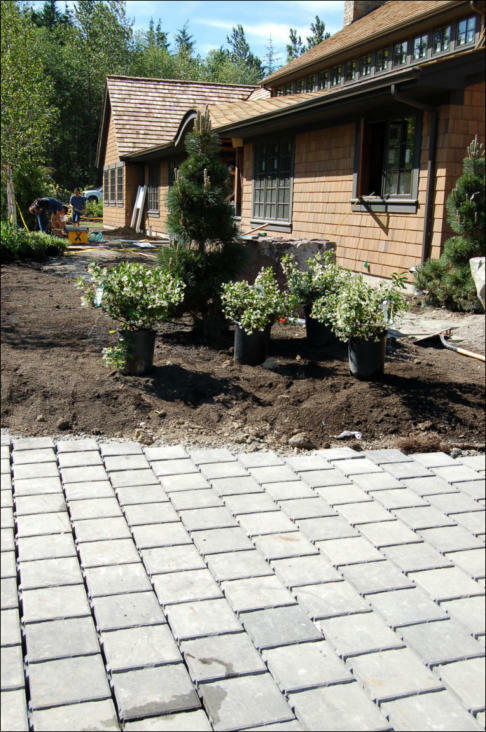 Unit Pavers / Interlocking Pavers Unit pavers fit together to cover a deck, patio, walkway, driveway, or anywhere you might consider placing concrete or bricks. 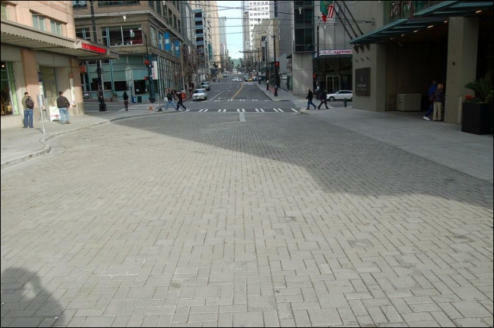 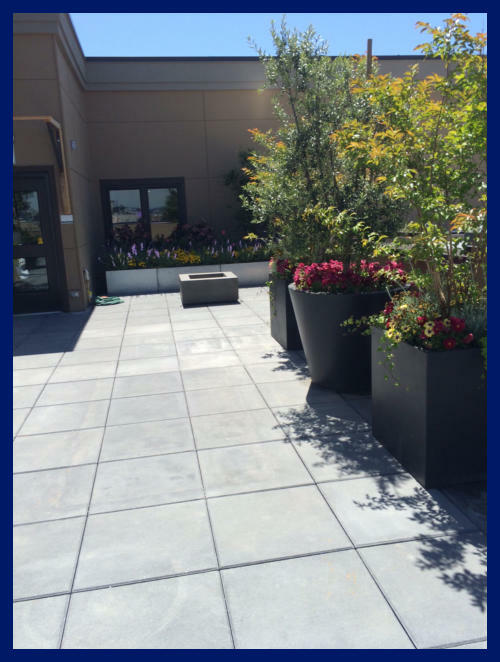 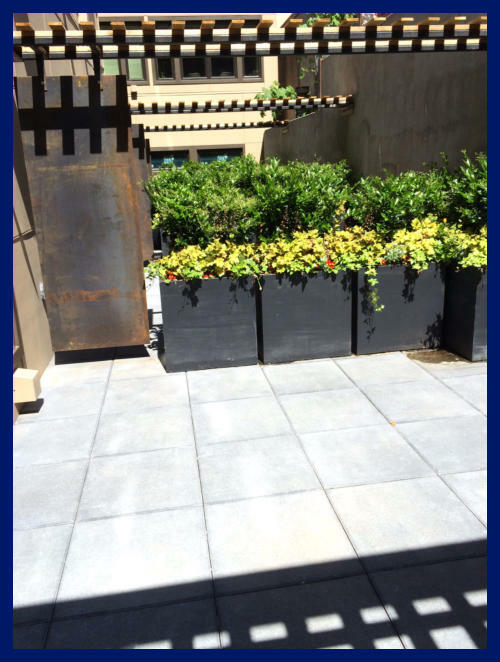 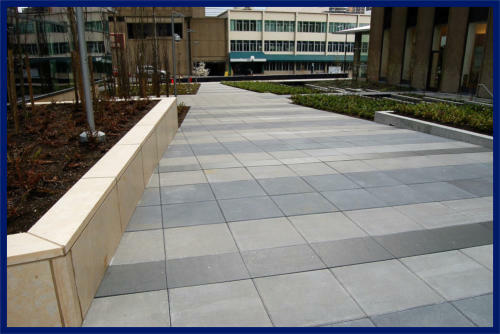 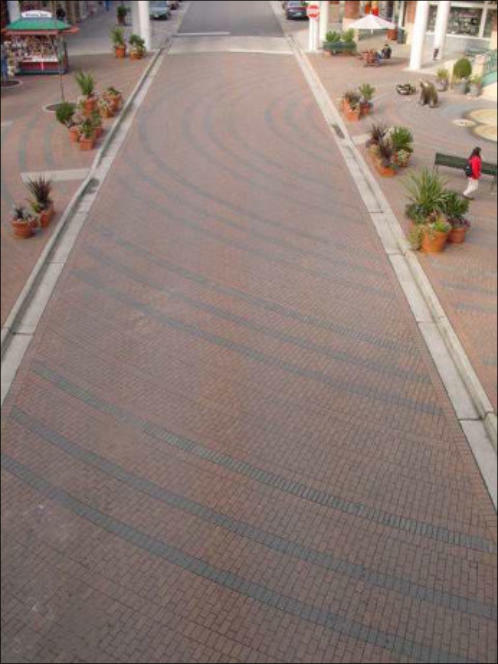 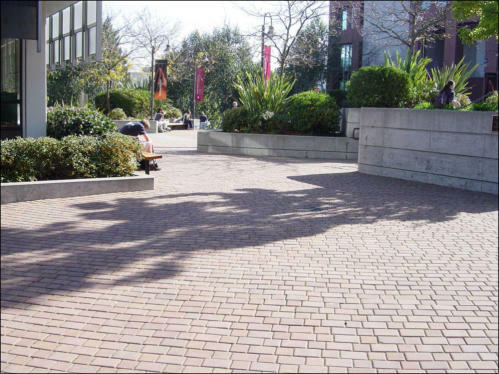 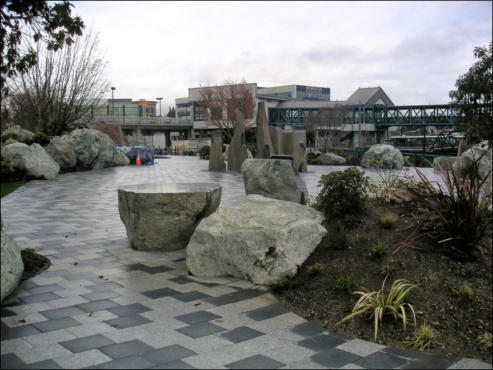 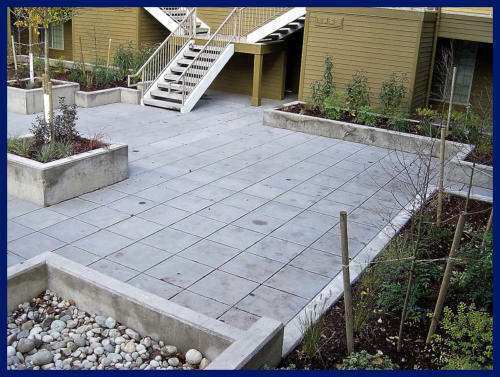 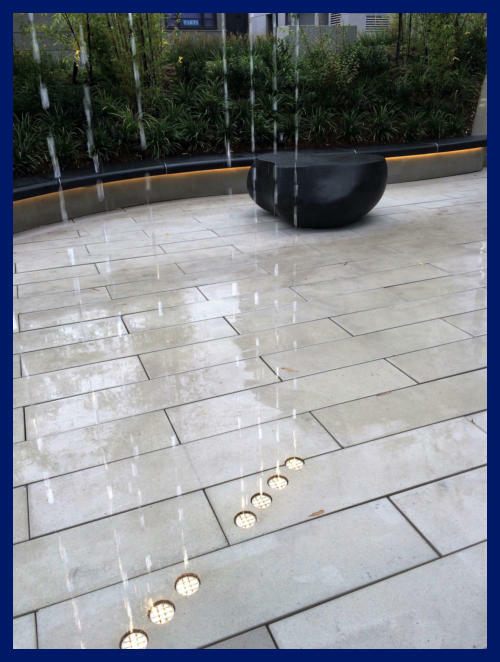 The pavers are constructed from poured concrete, so they are durable and resilient. 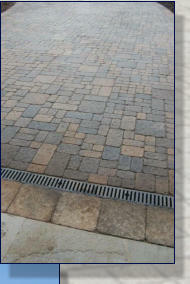 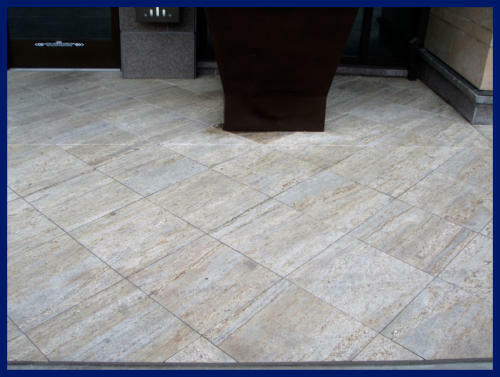 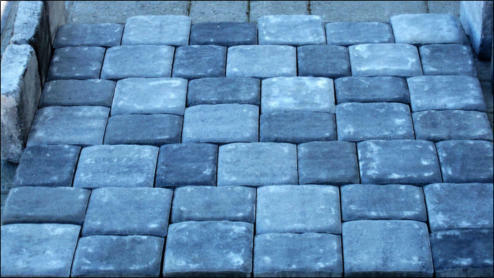 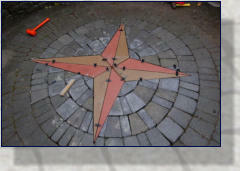 The manufacturers add color to give the pavers the look of natural stone, like granite or slate. 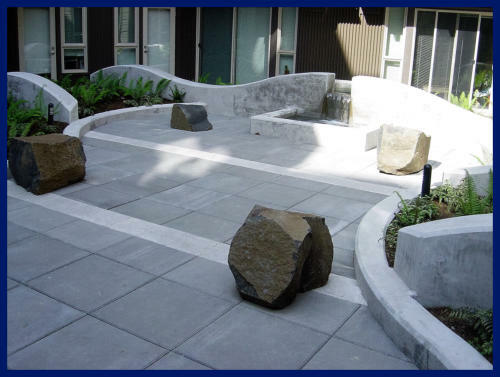 Yet concrete is far less expensive than shaped stone. 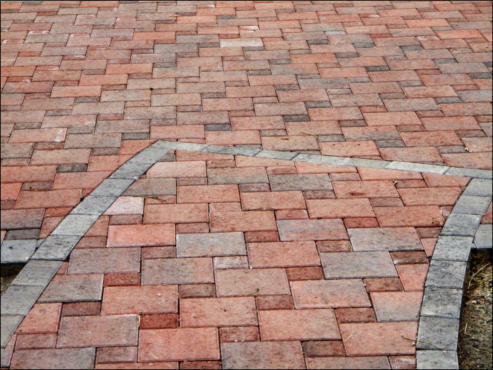 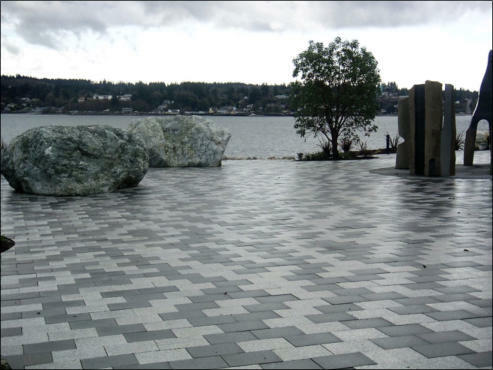 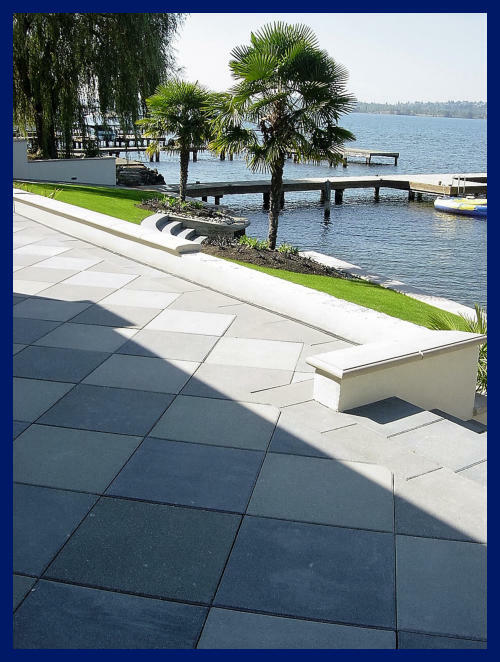 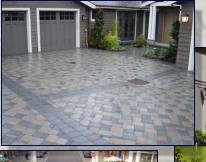 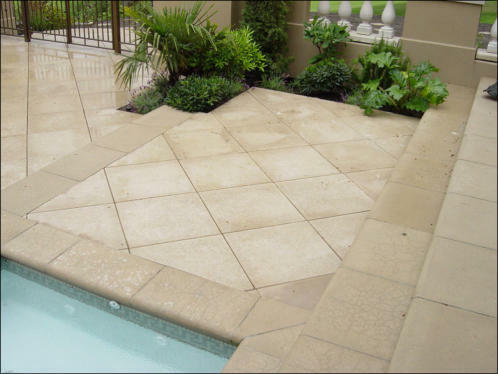 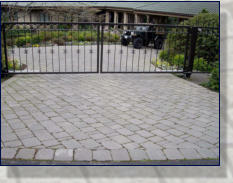 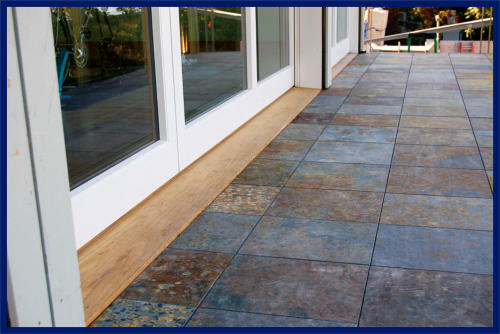 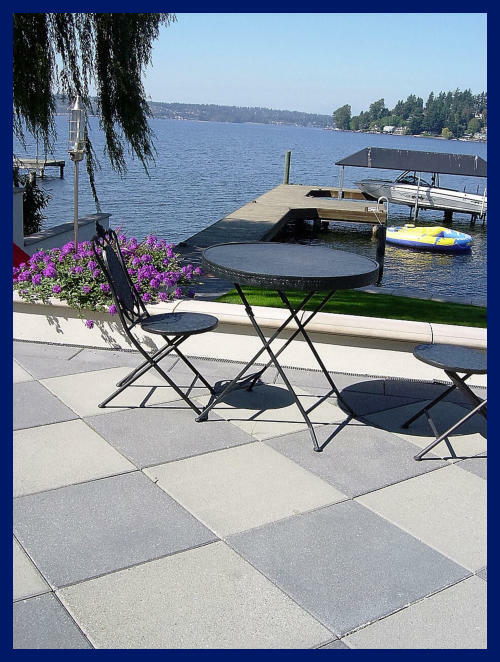 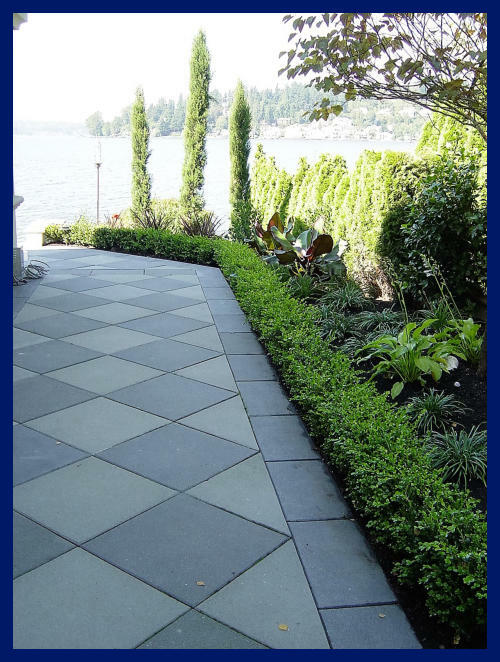 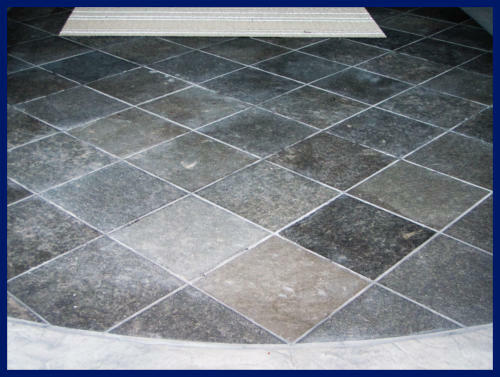 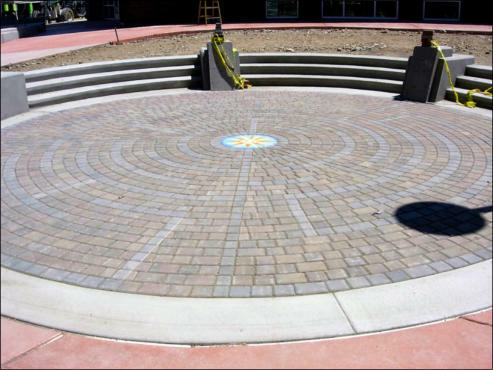 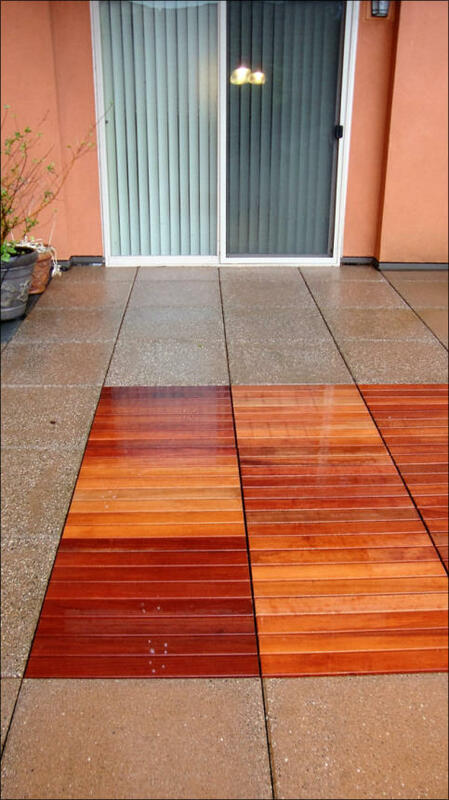 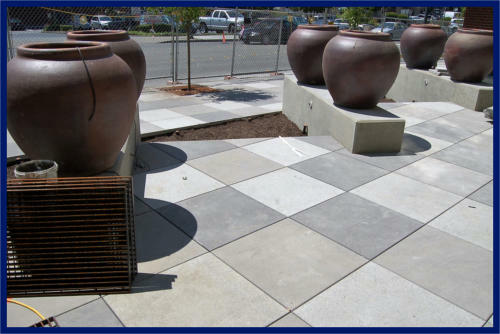 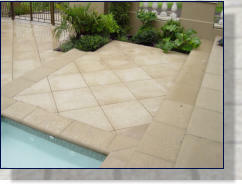 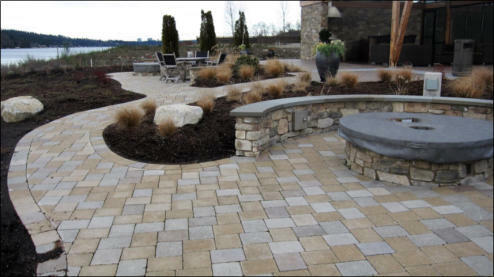 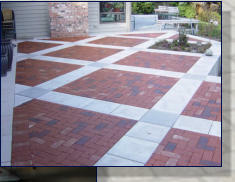 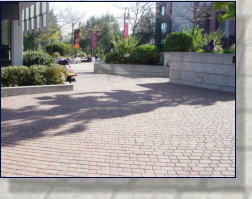 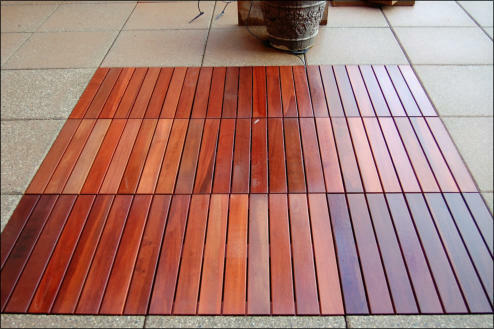 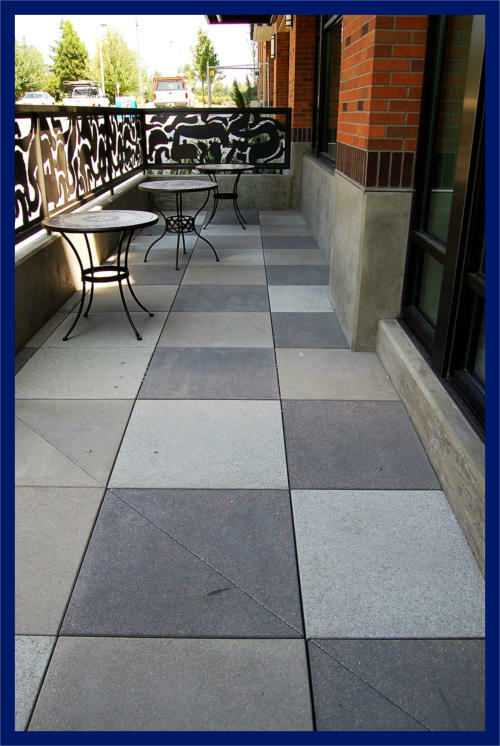 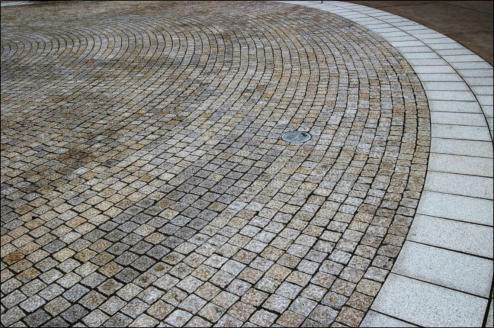 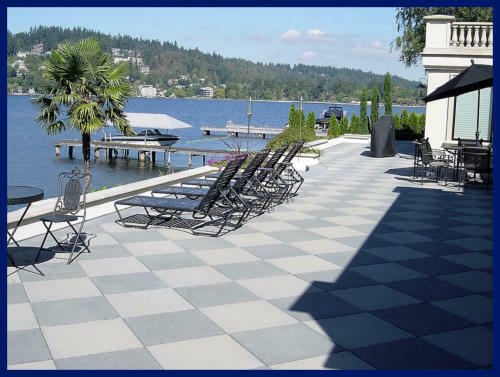 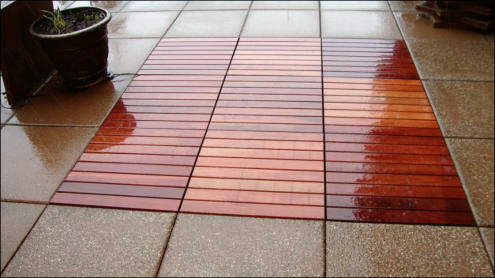 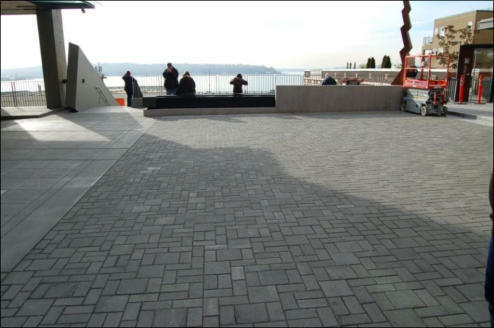 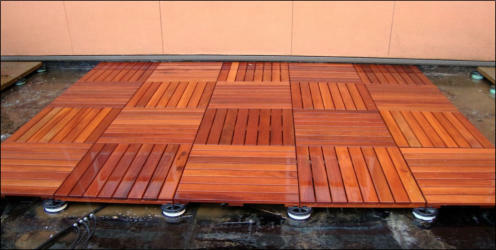 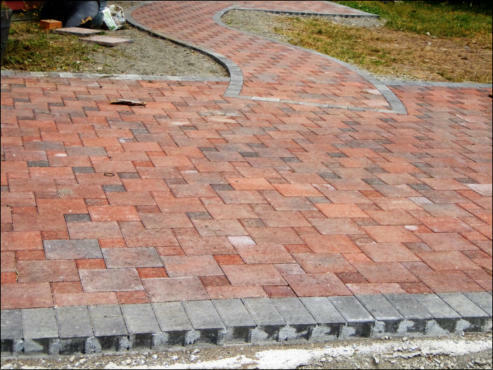 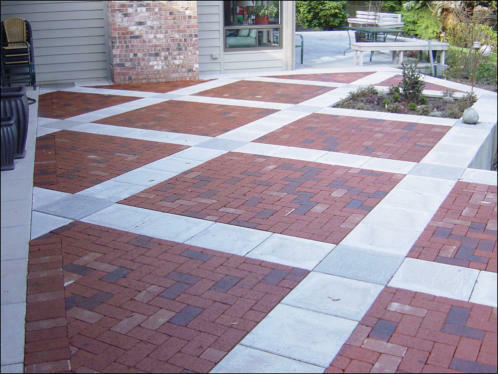 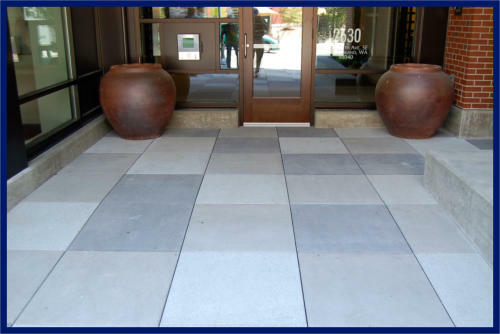 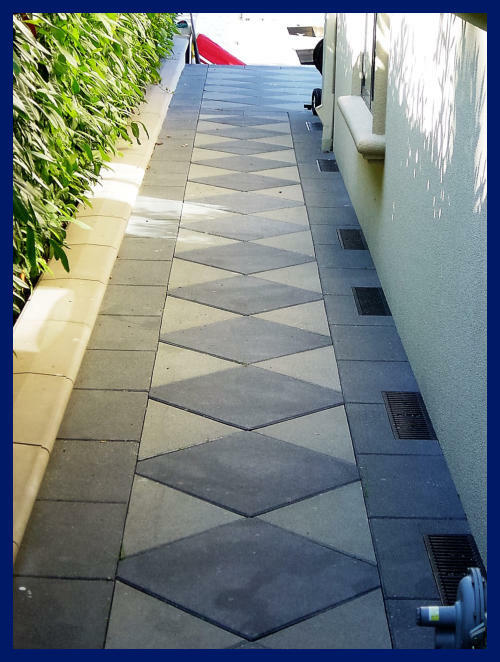 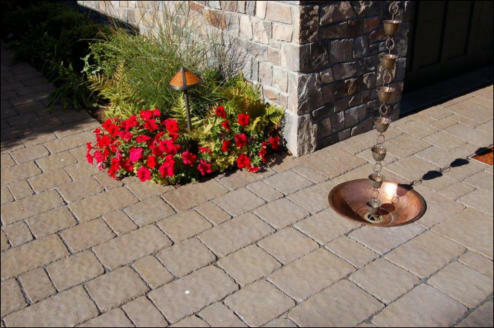 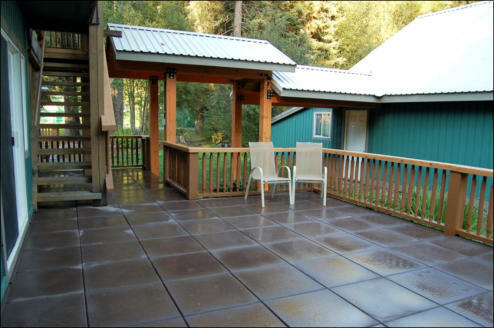 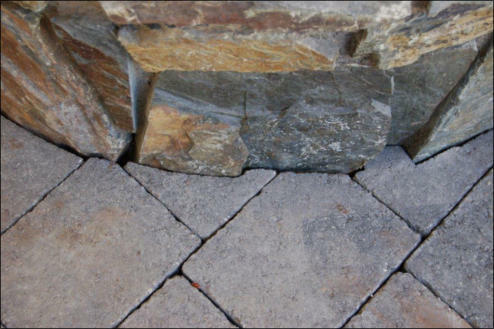 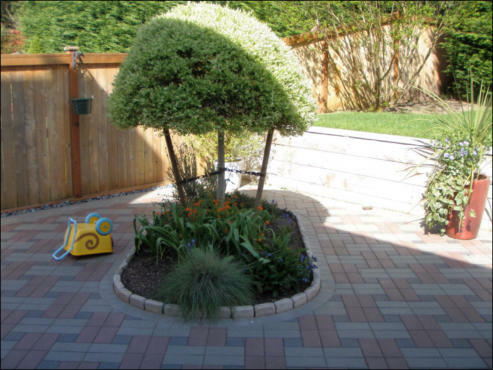 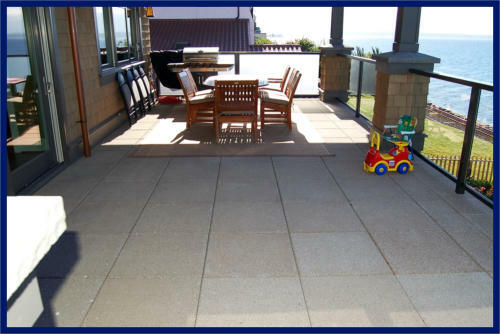 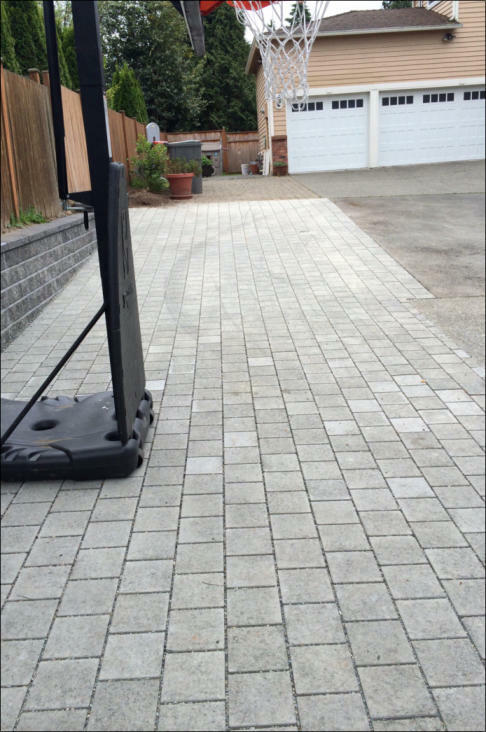 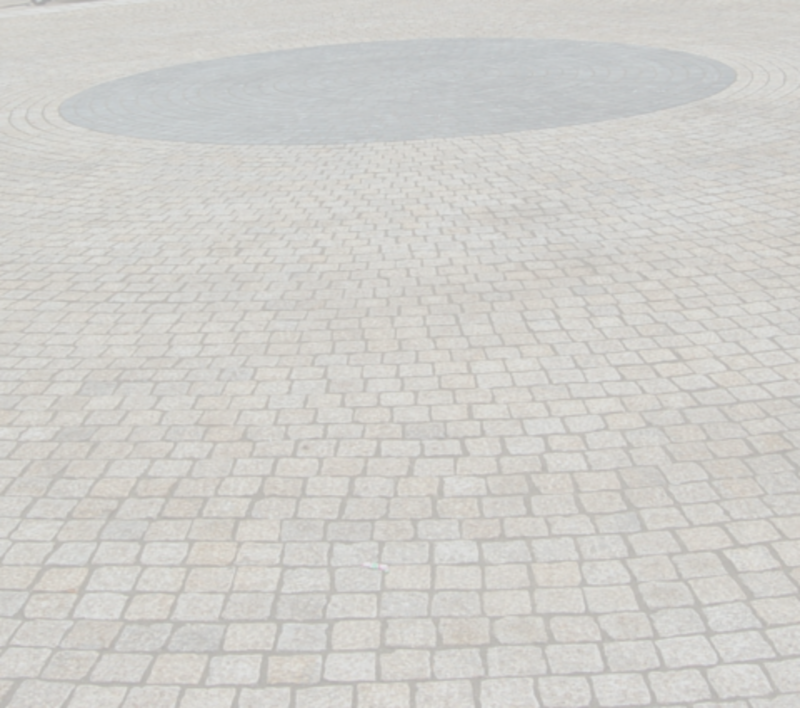 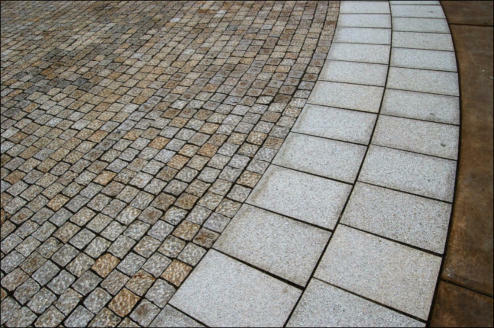 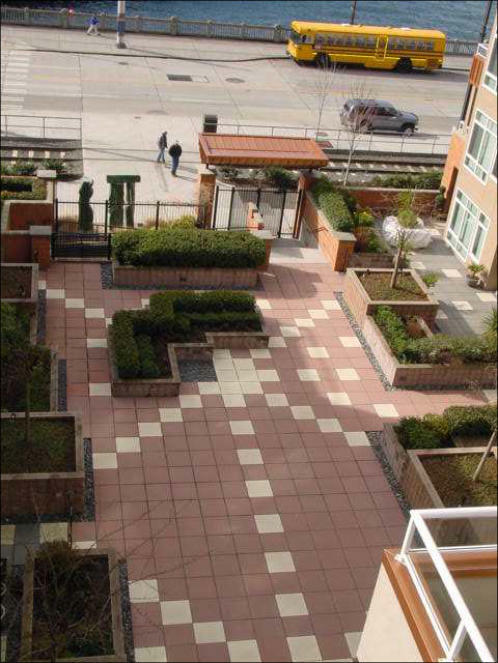 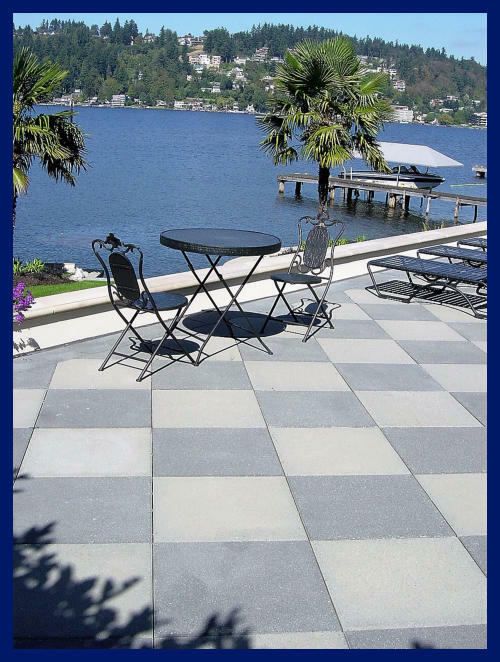 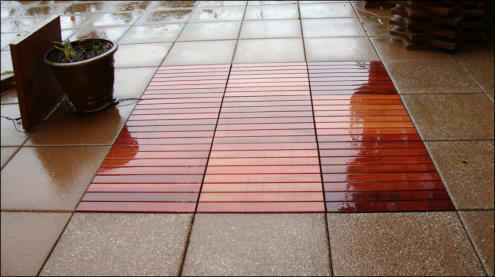 Unit pavers are available in a wide range of shapes, sizes, and colors. 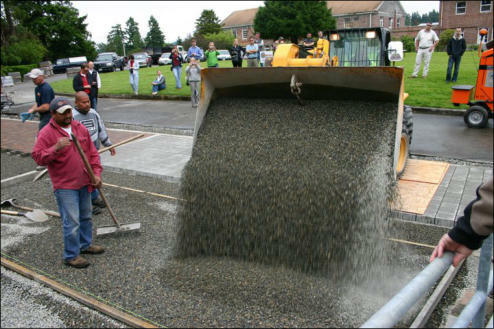 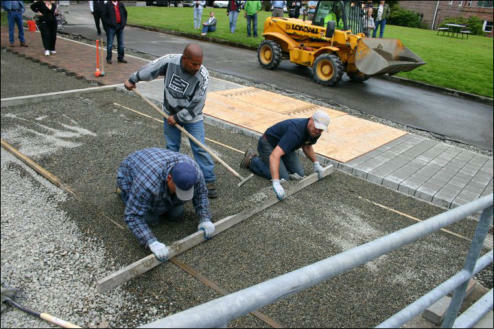 They are laid in a sand bed over a crushed rock base and can be installed for pedestrian or vehicular use. 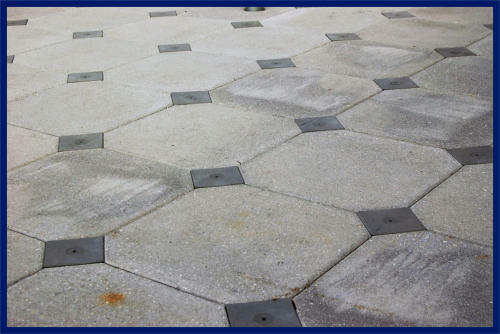 The sand stabilizes the unit pavers yet allows for some flexibility. 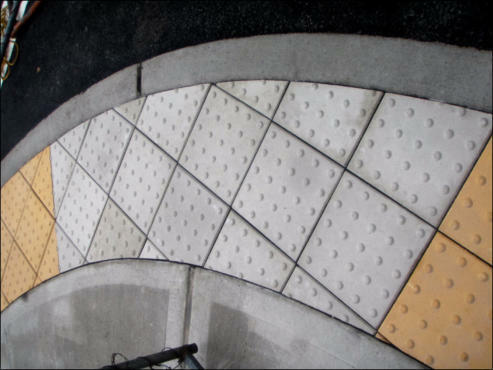 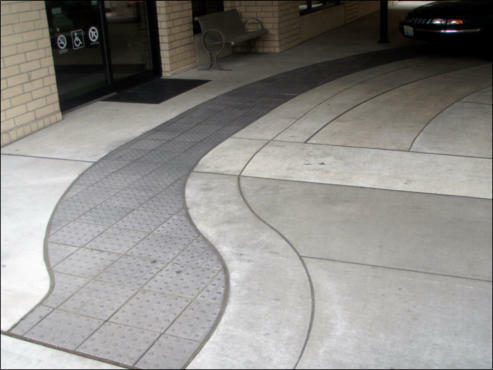 This type of pavement will absorb stress they will not crack or buckle like concrete. 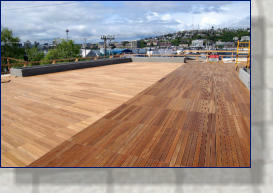 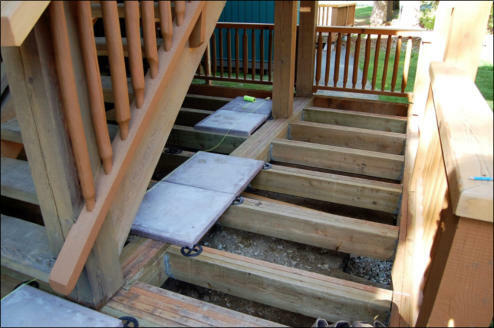 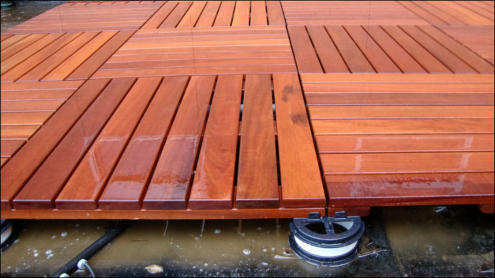 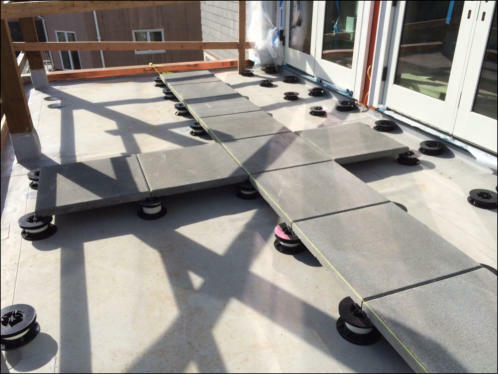 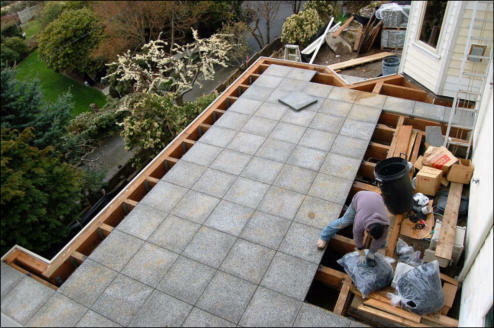 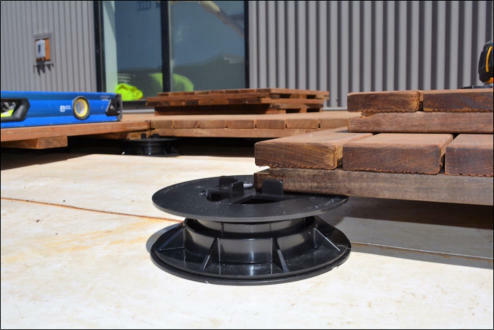 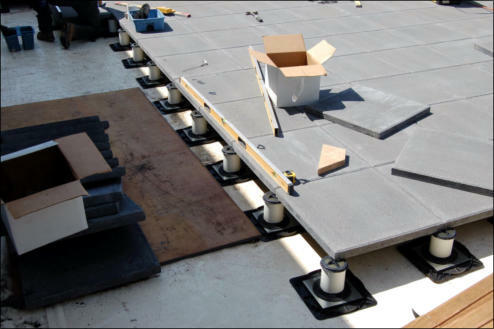 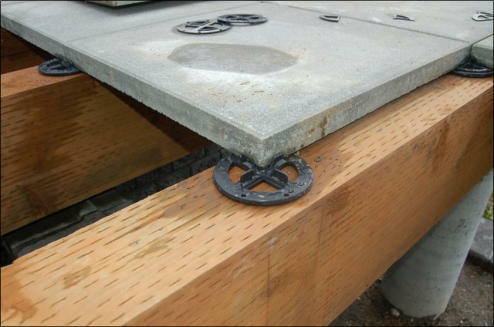 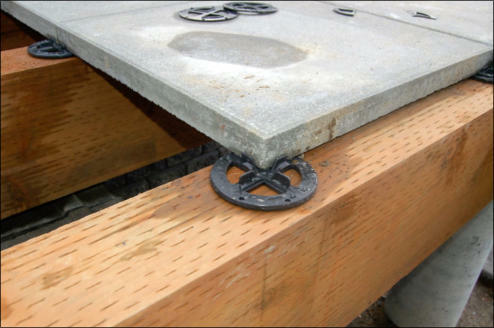 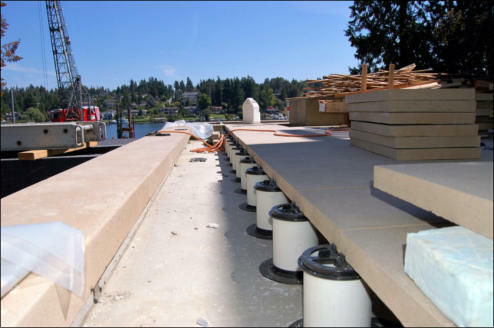 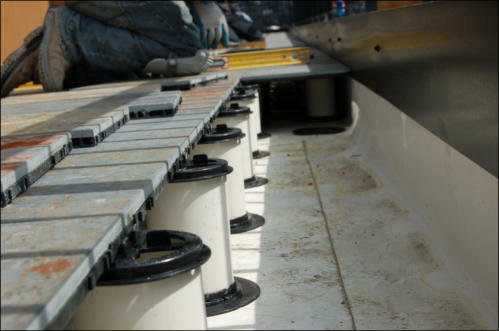 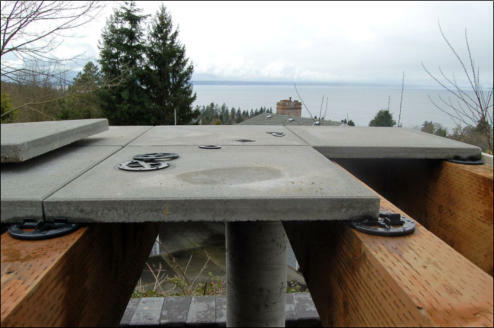 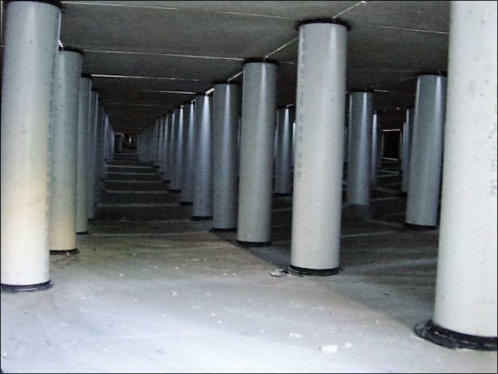 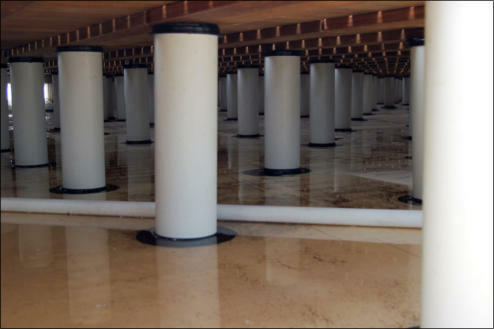 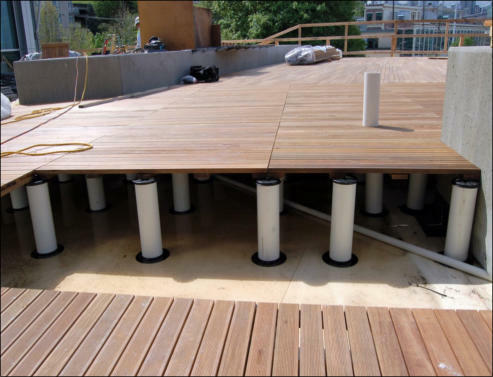 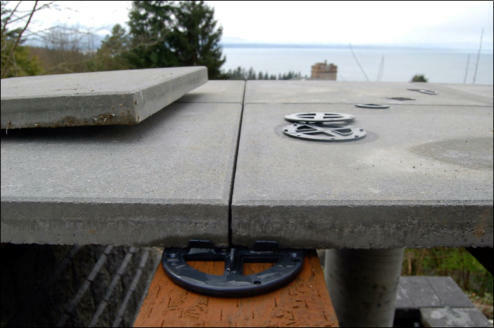 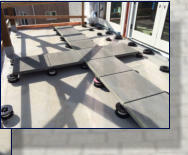 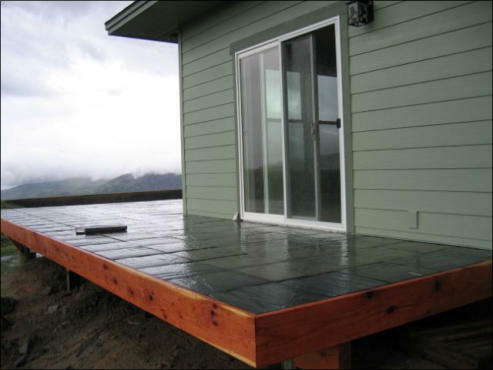 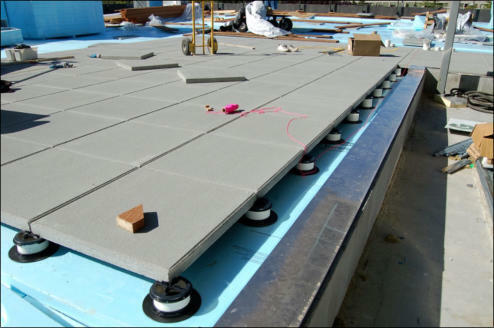 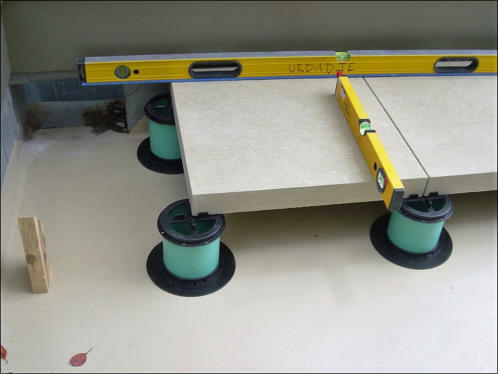 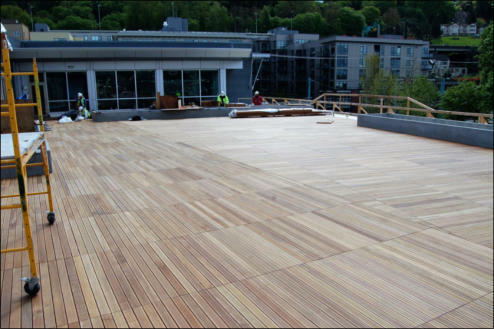 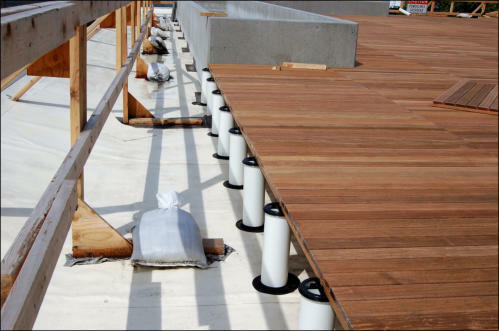 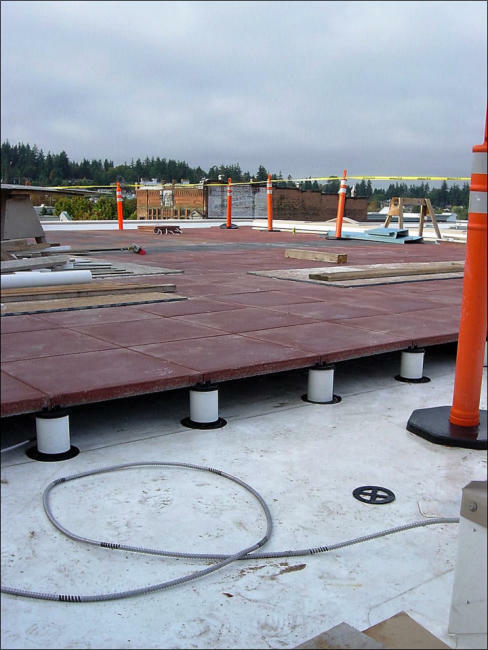 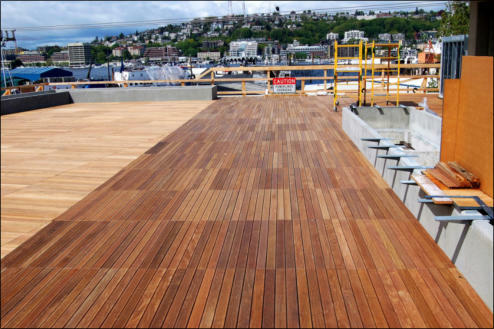 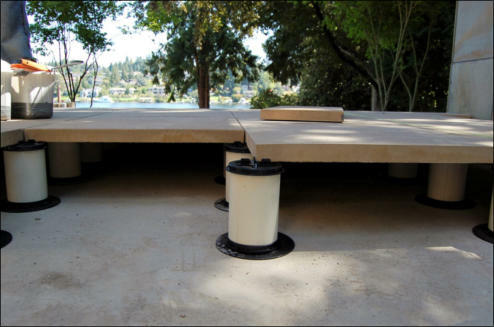 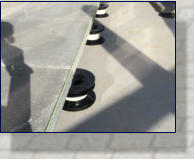 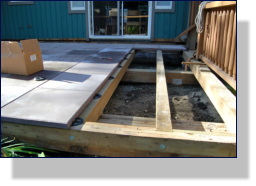 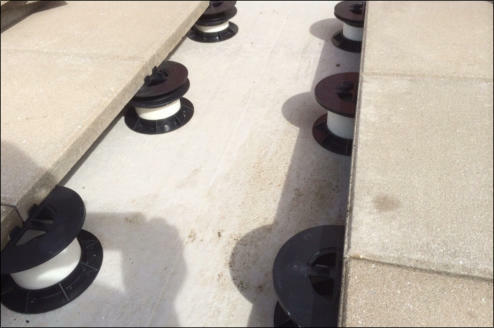 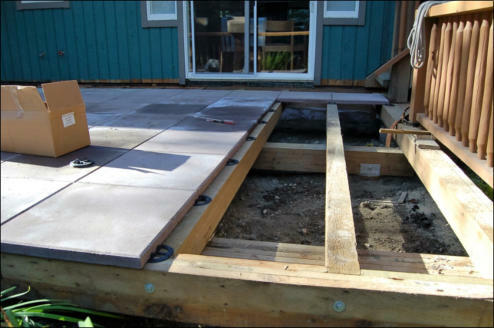 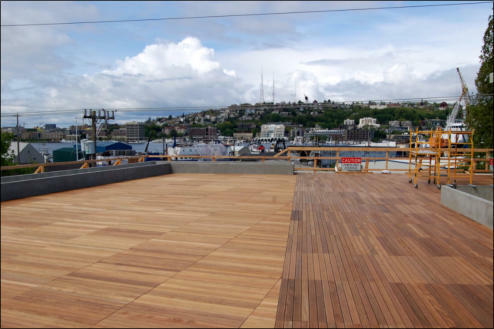 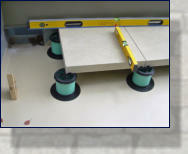 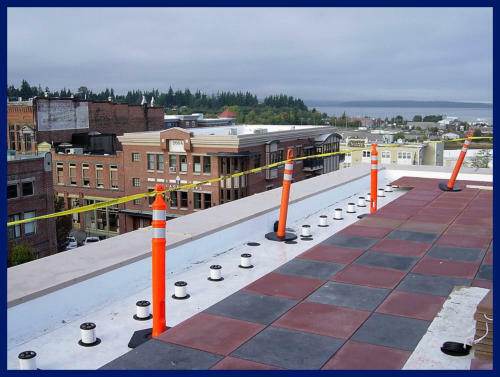 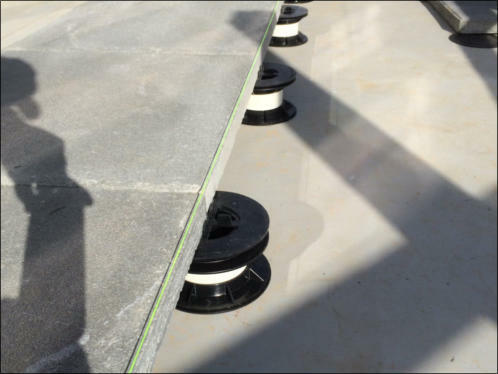 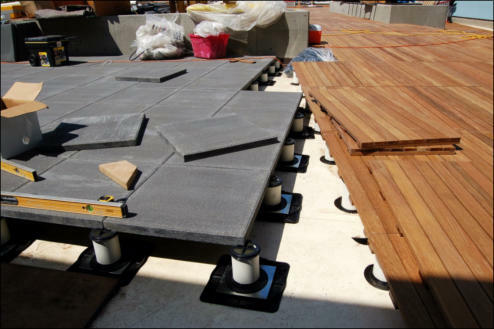 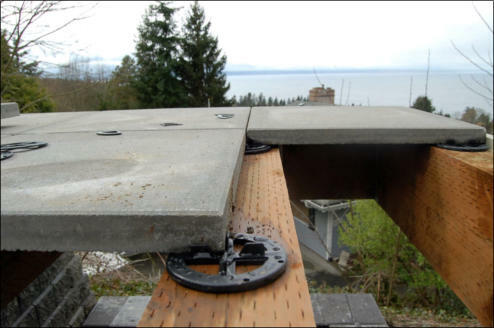 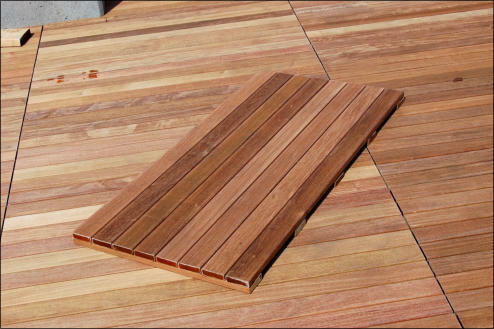 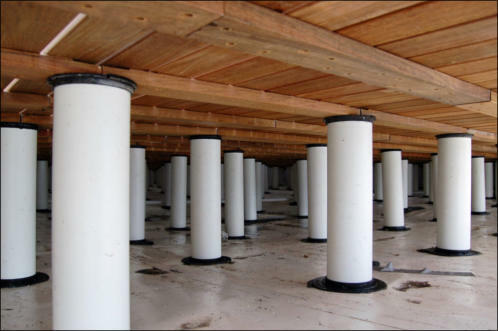 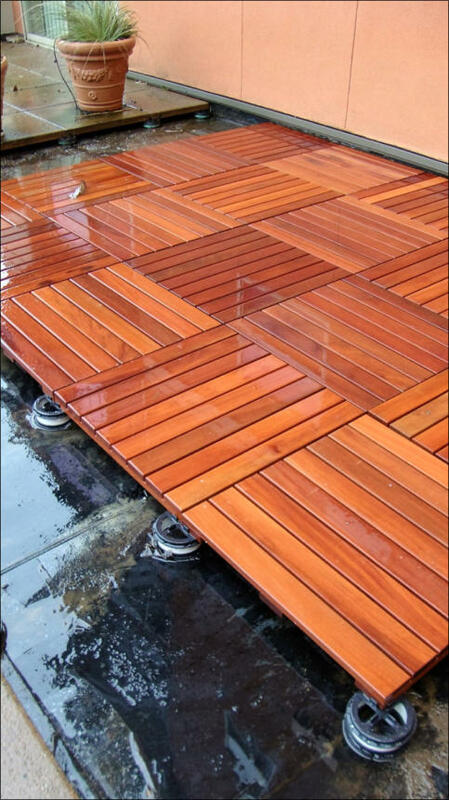 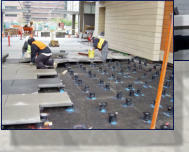 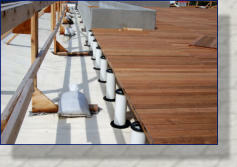 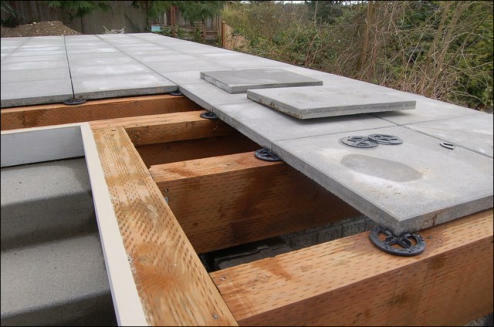 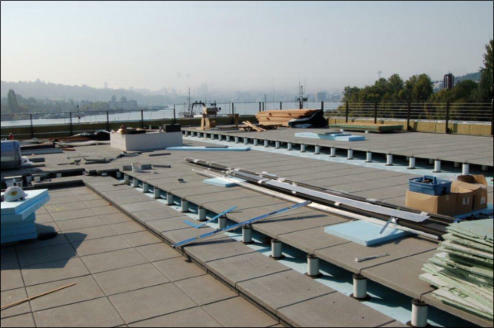 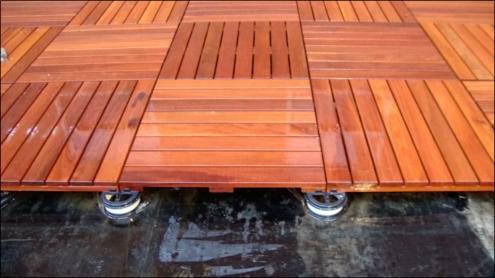 The AWS Joist Plate System provides an alternative to traditional deck surfacing. 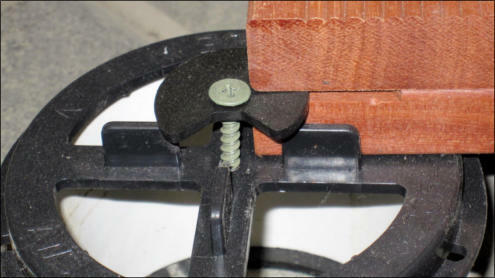 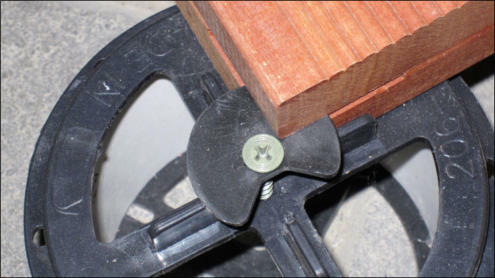 The joist plate rests (or can be screwed or nailed) on wood joists. 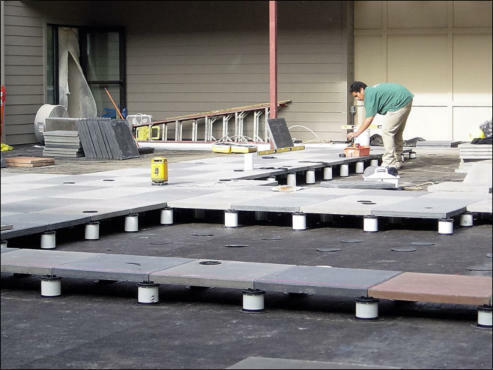 It aligns the pavers perfectly, and with its snap-together component parts, it is easy to level concrete pavers/slabs, or gauged natural products.All manufactured parts are ABS, strength tested to 15,750 psi. 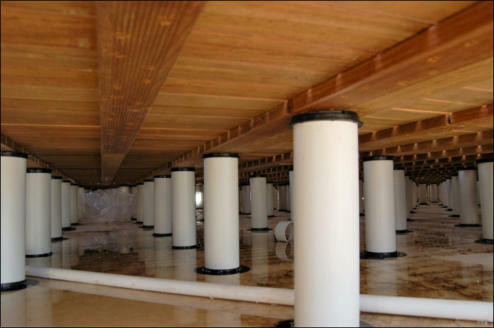 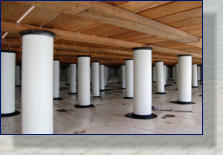 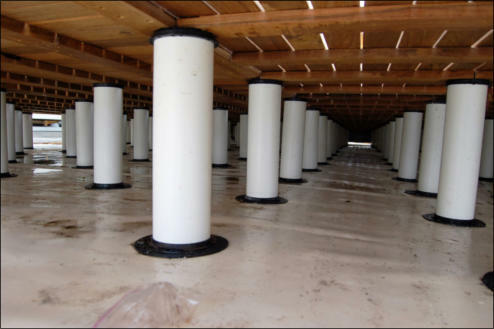 Height is affected by varying 4” PVC units. 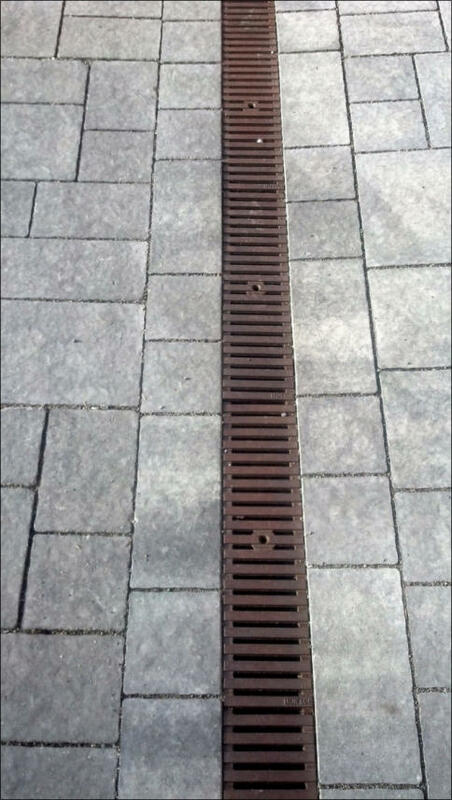 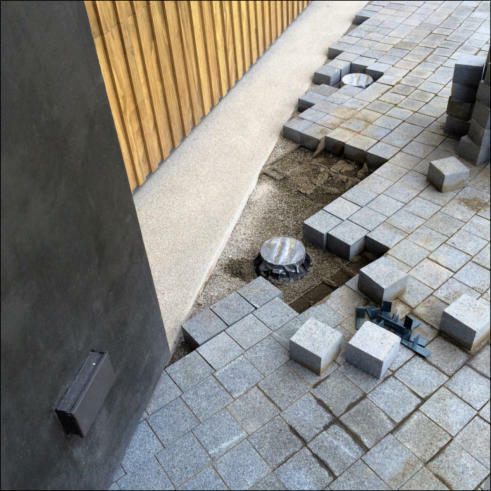 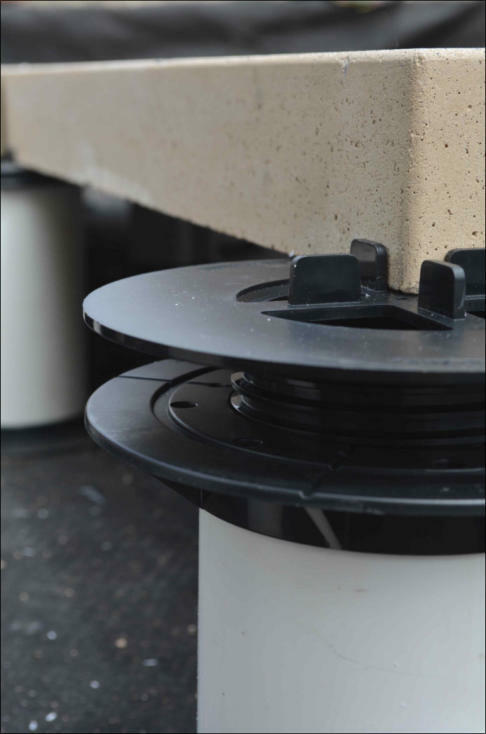 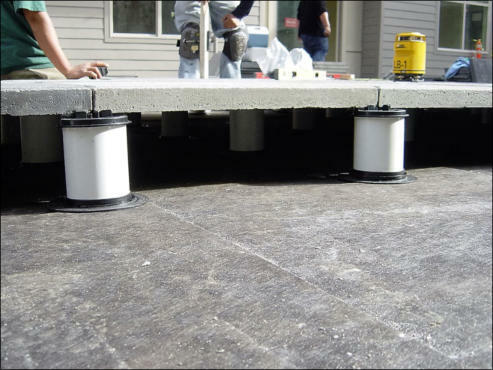 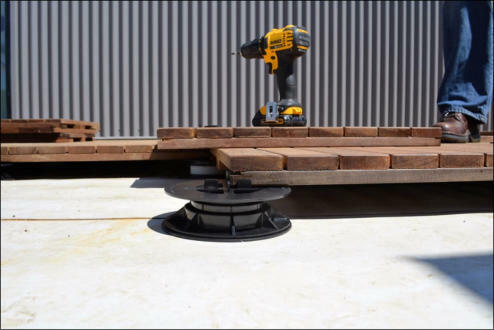 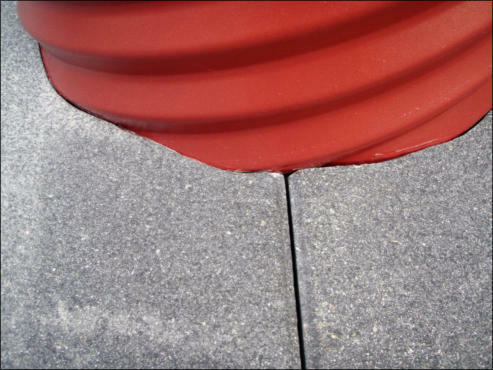 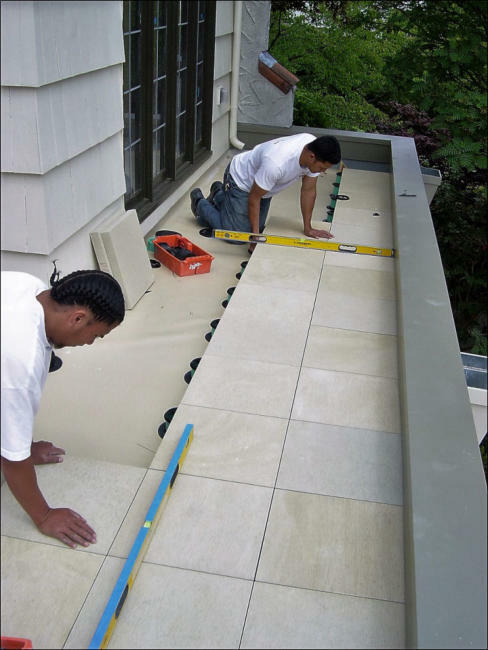 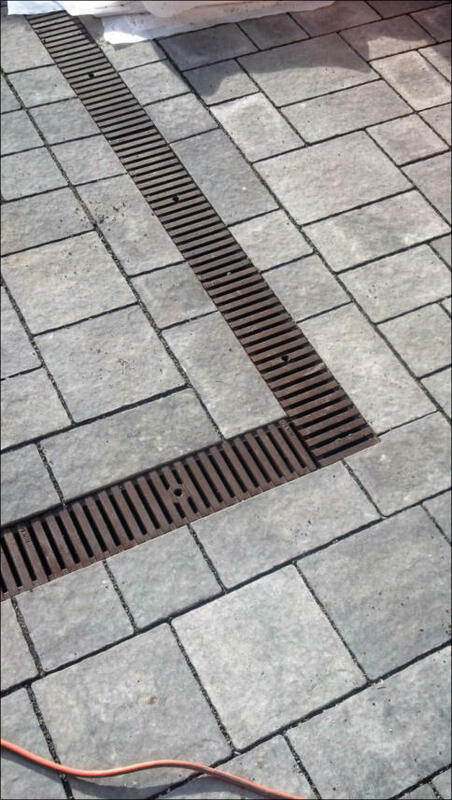 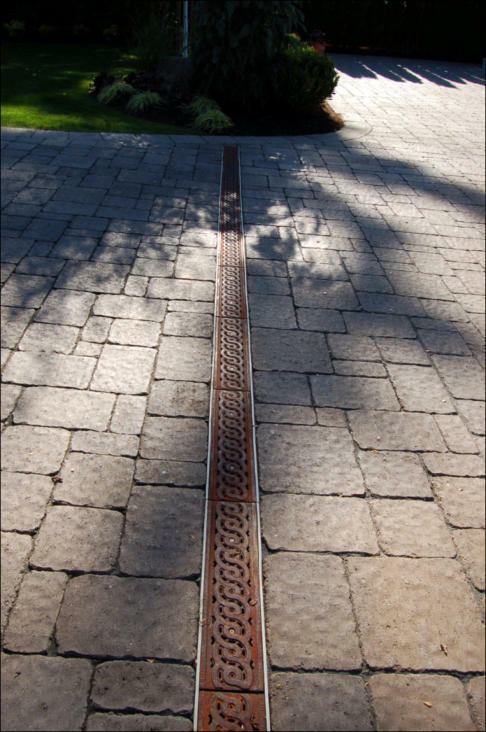 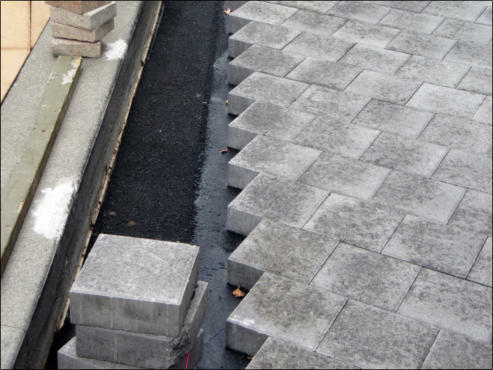 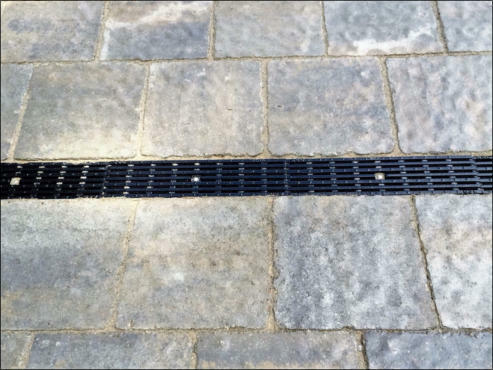 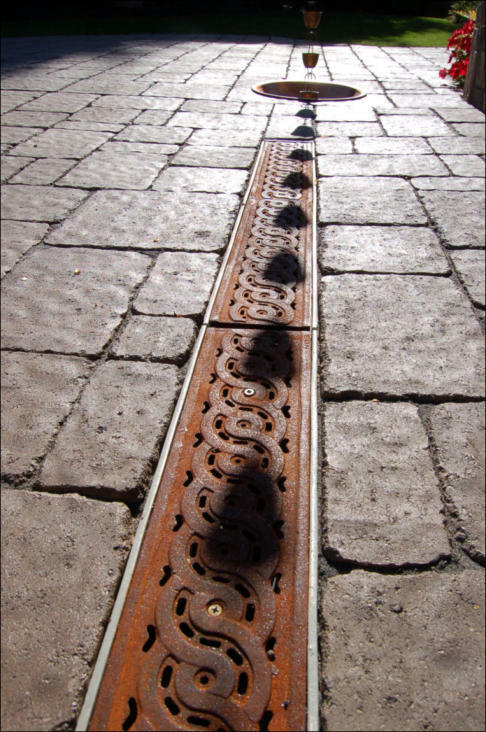 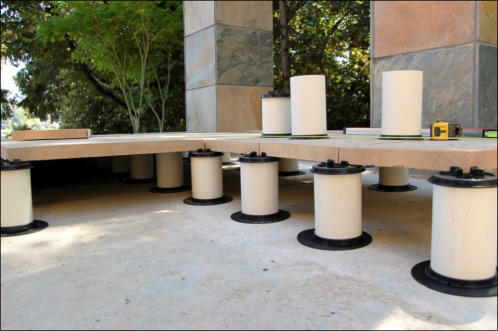 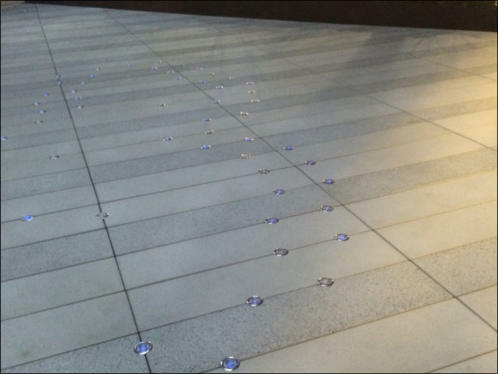 With its system of shims, both top and bottom for perfect leveling; ability to drain water, and perfectly align the pavers, through its built-in spacer. 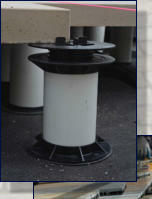 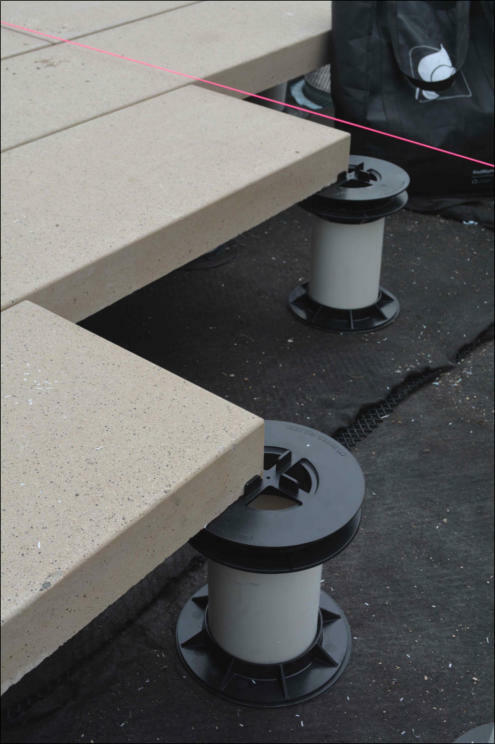 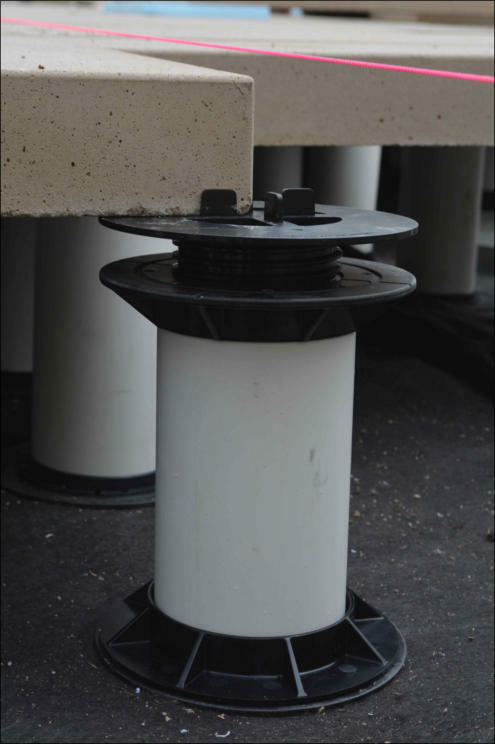 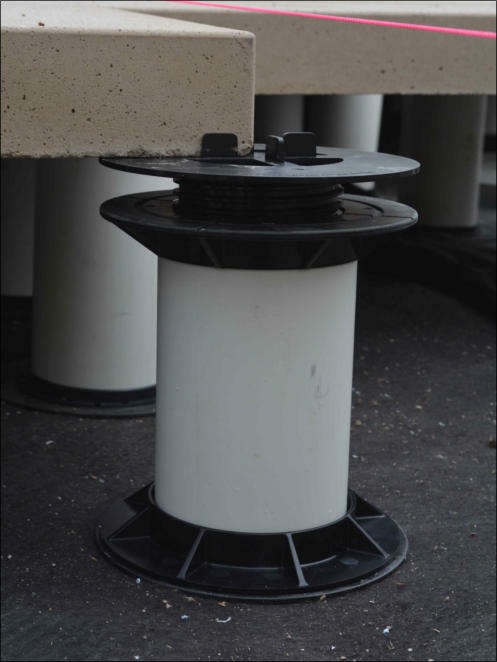 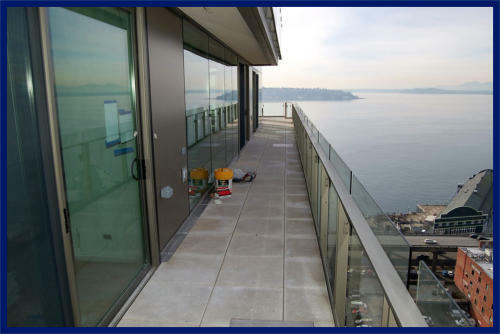 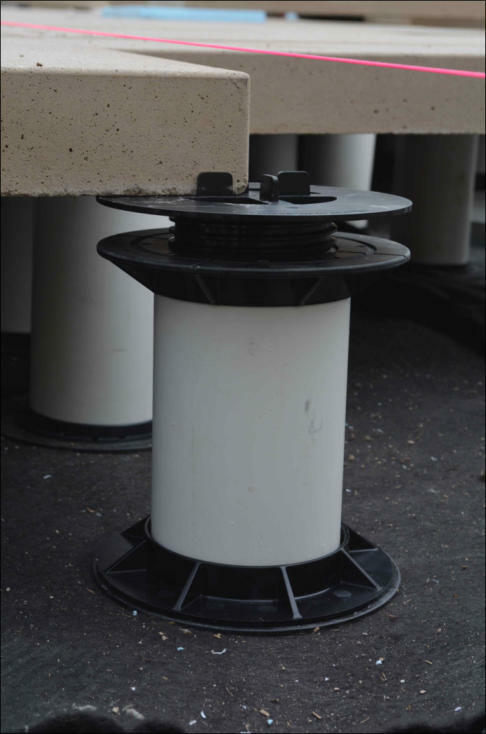 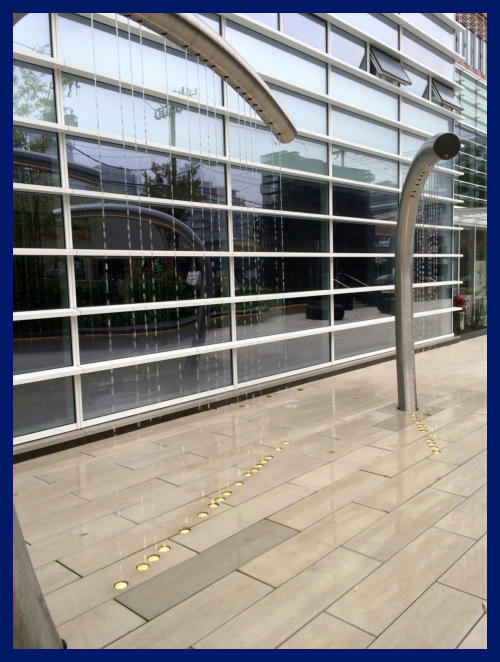 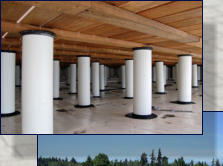 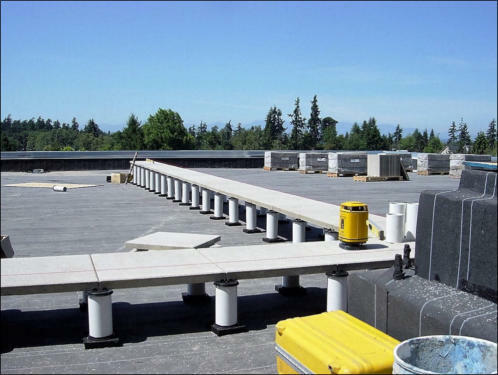 The AWS ™ Pedestal System is the ultimate answer to both commercial and residential projects. 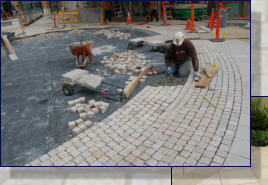 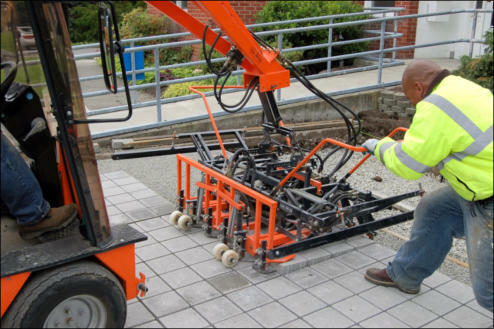 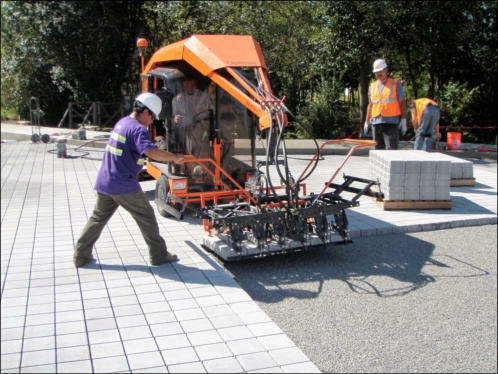 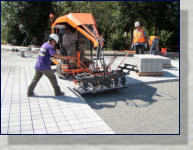 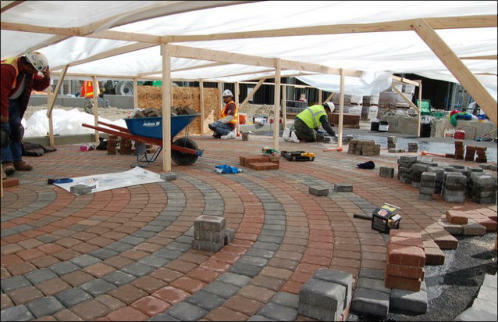 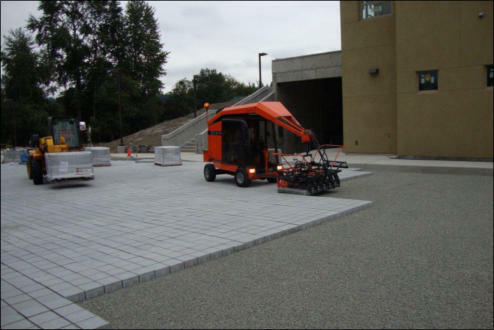 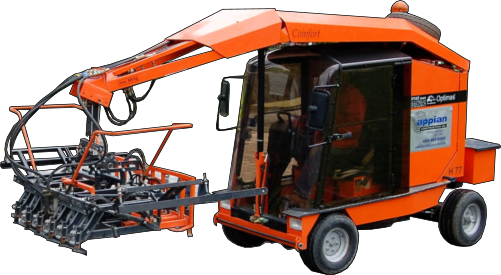 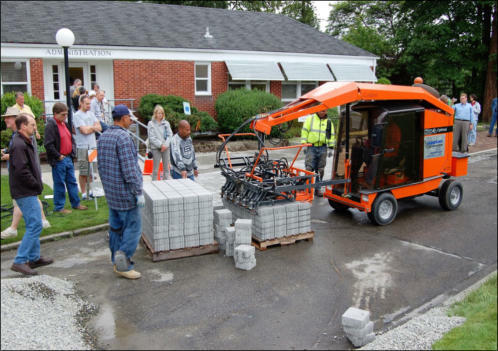 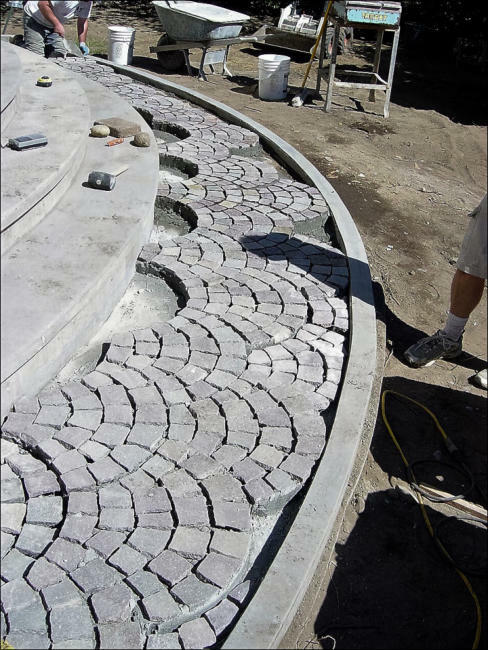 Mechanical Installations Primarily for commercial applications – in a mechanized paver installation, specialized paver installation equipment speeds construction time by installing approximately one square yard of pavers at a time in rapid succession. 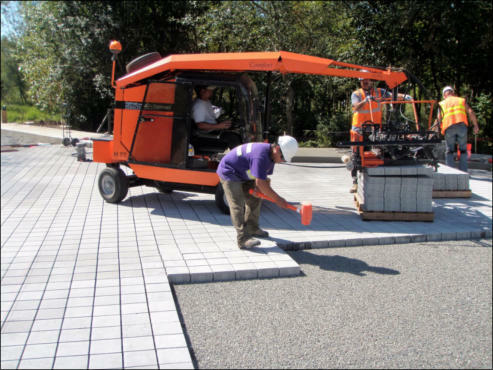 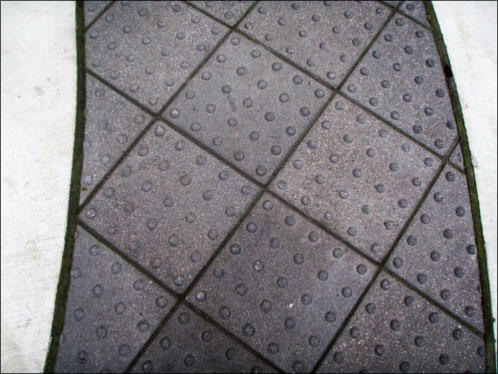 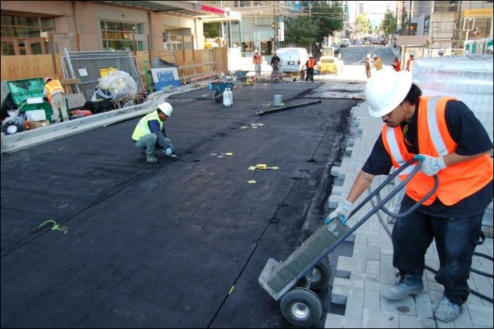 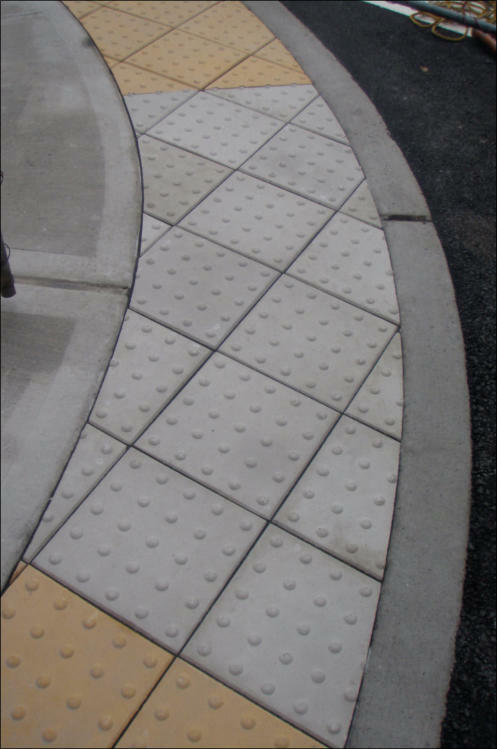 Bituminious Installations Primarily for vehicular traffic – pavers are set in a neo-asphalt adhesive over a sheet-mix asphalt bed. 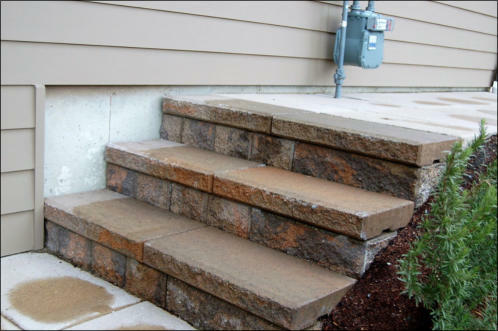 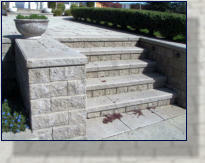 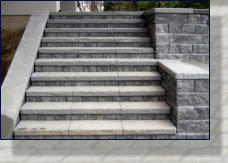 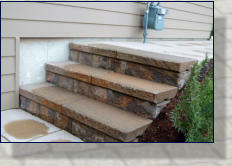 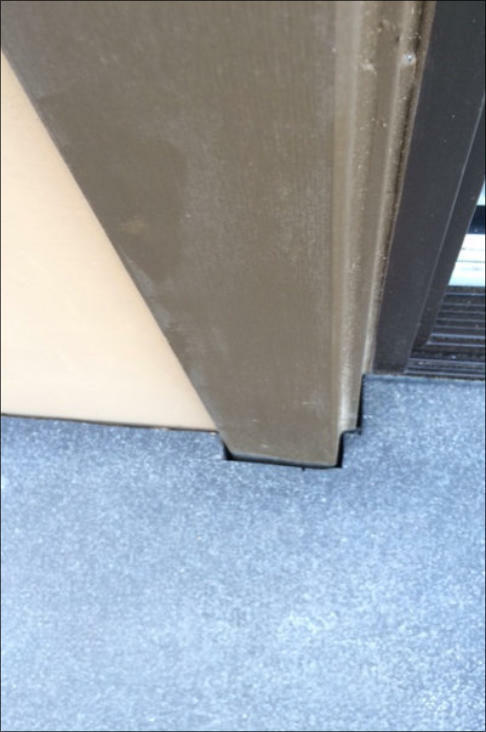 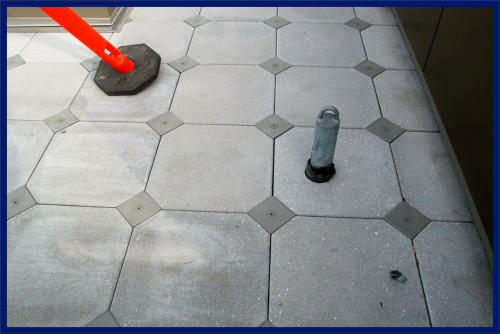 This application is a great alternative to mortar set installations. 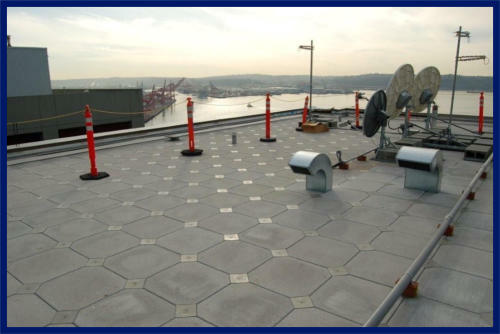 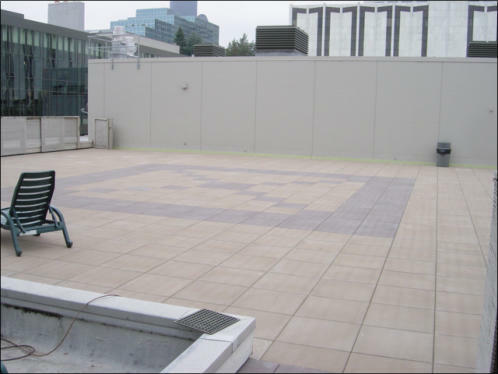 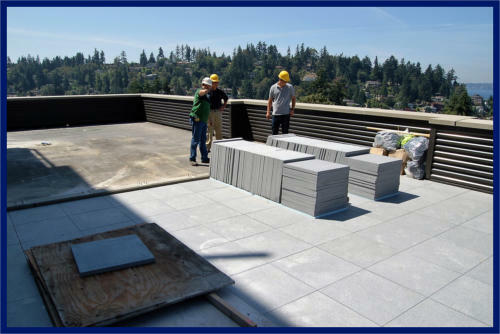 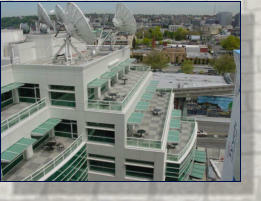 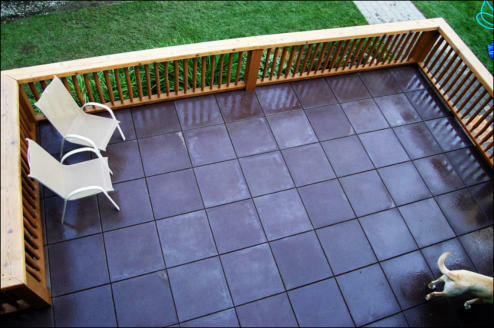 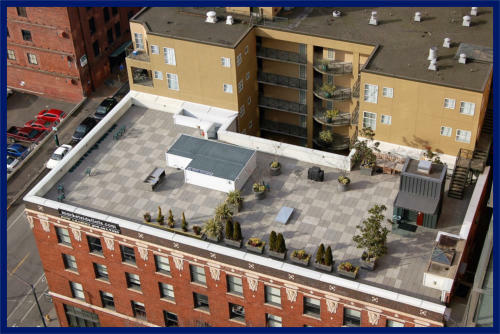 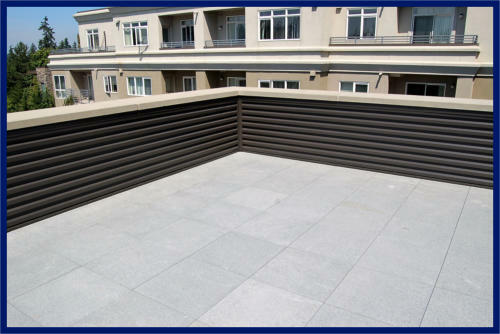 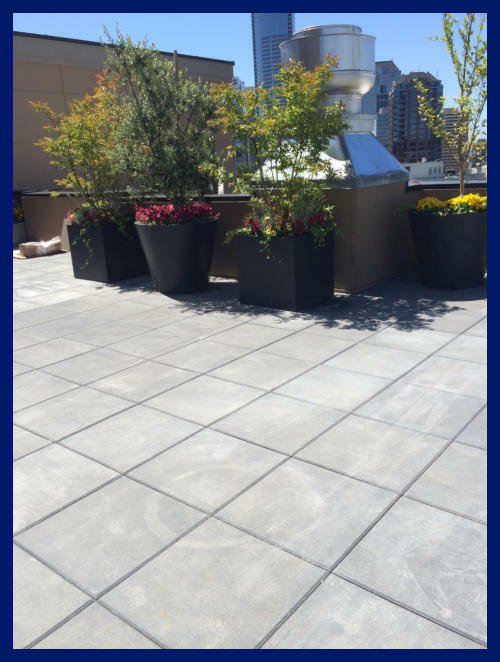 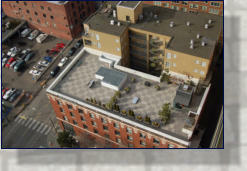 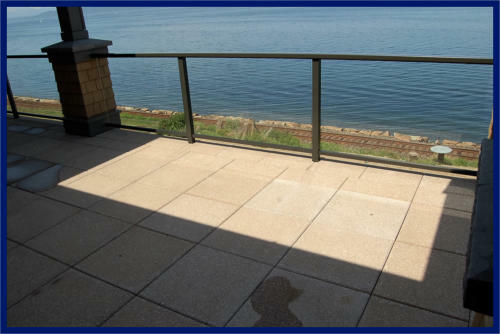 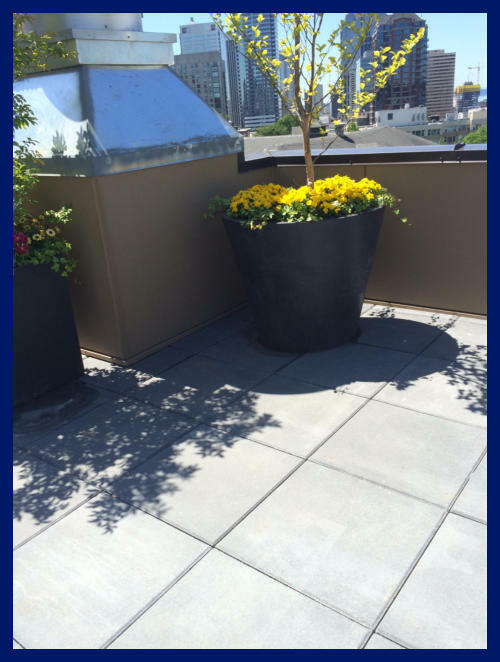 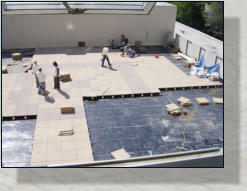 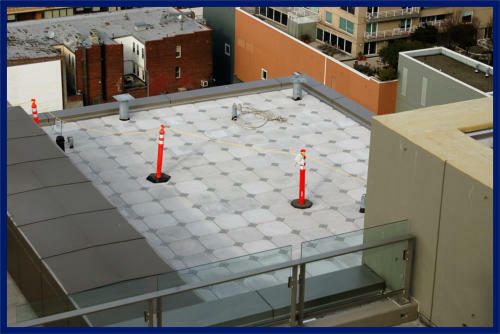 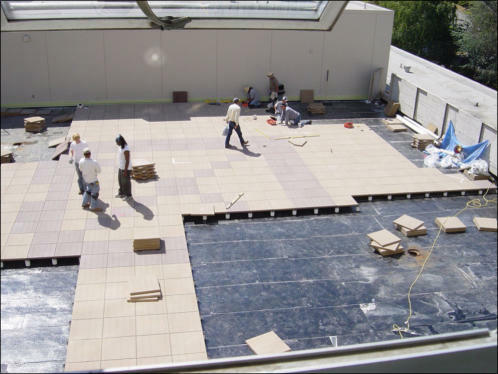 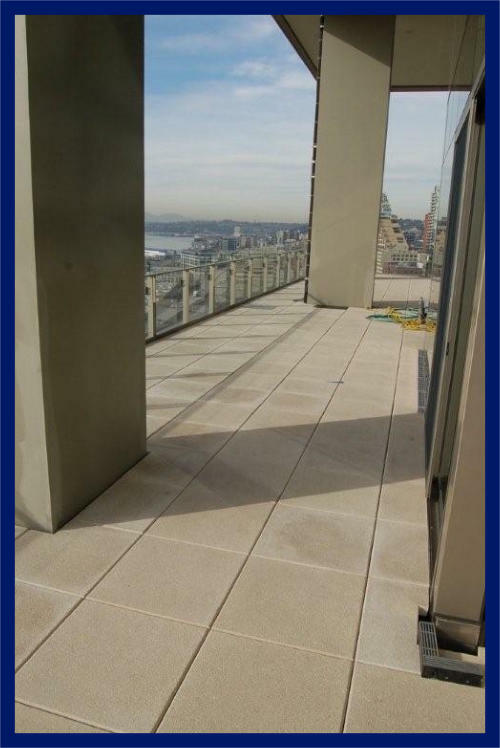 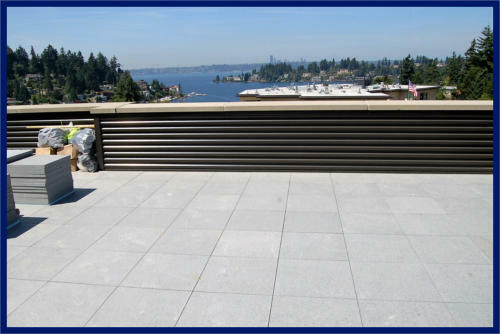 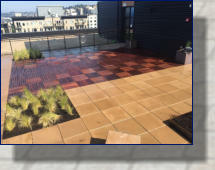 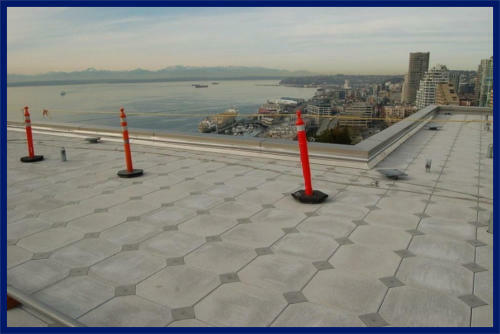 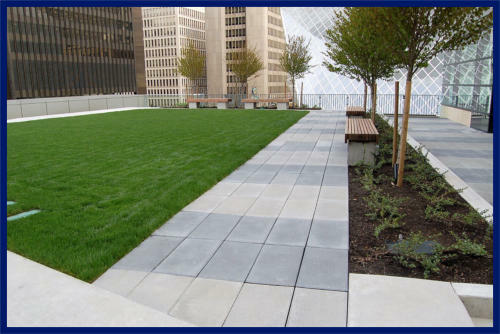 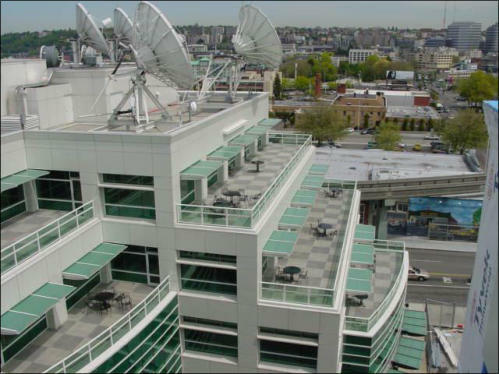 Rubber Paver Installations “Rooftop Rubber Pavers and Tiles” not only provide superior noise reduction, while offering an alternative slip-resistant surfacing for rooftop patios (over roofing membranes), decks, and walkways. 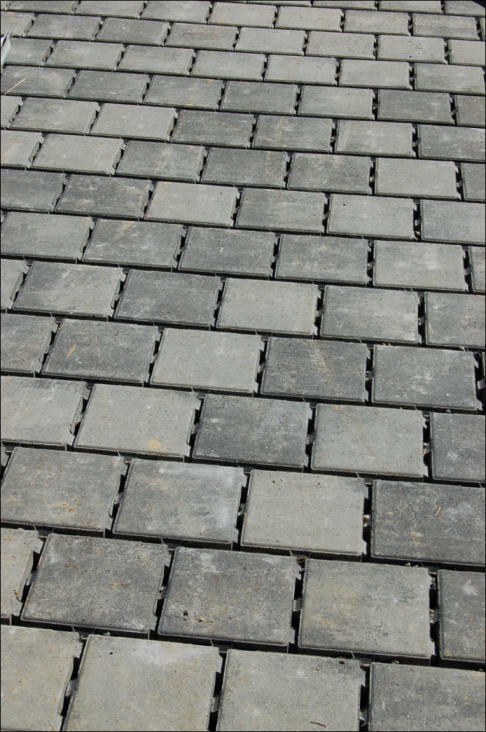 They are manufactured from recycled tire tread and will resist tearing, cutting and freezing, and are simple to maintain. 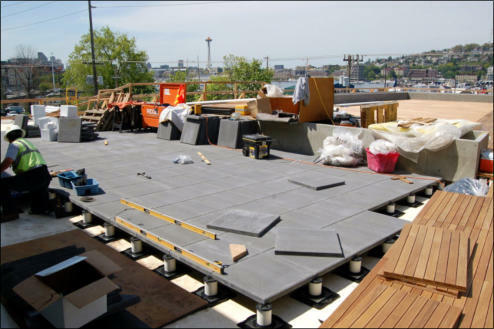 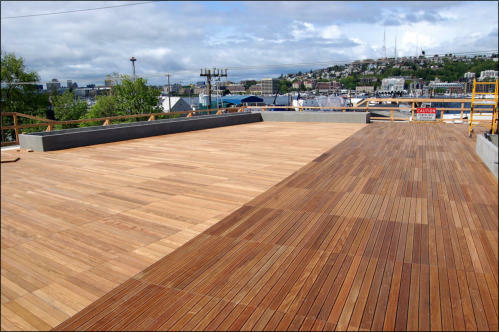 Known as sustainable, rubber surfacing products qualify for LEED credits (made from 100% recycled rubber). 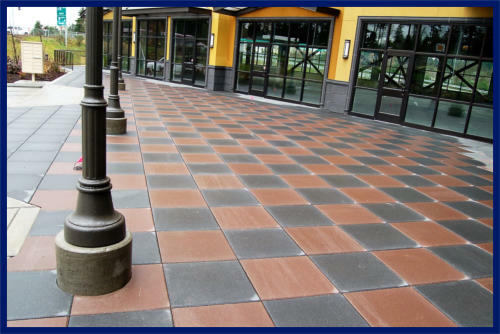 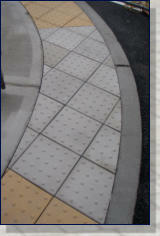 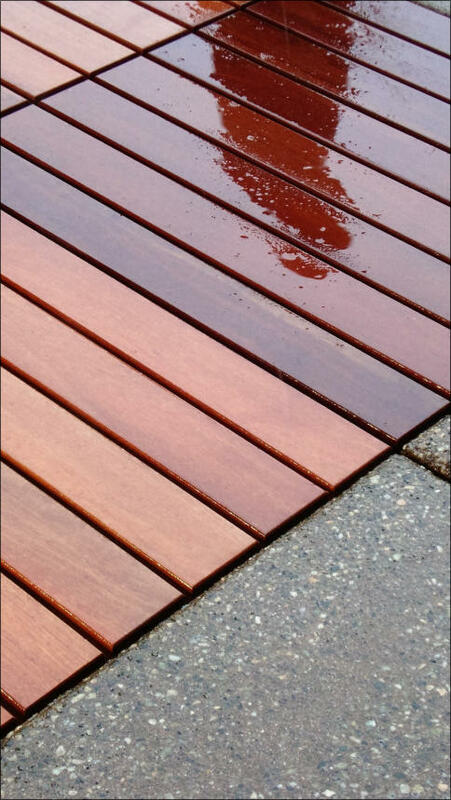 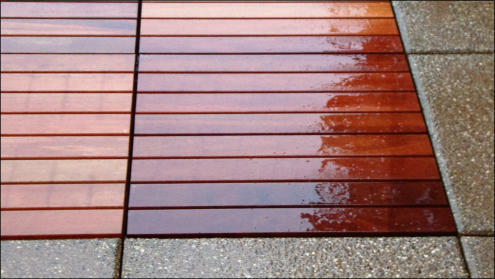 These products outlast many other surfacing products, creating a durable surface for high traffic areas. 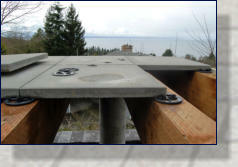 The unique interlocking feature allows access to roof drains if necessary. 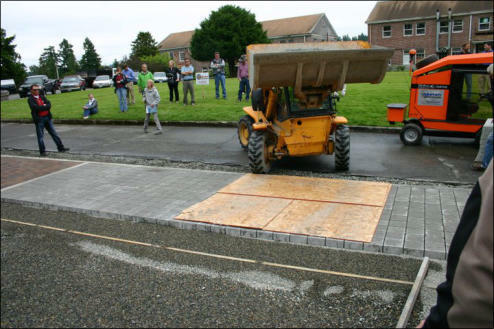 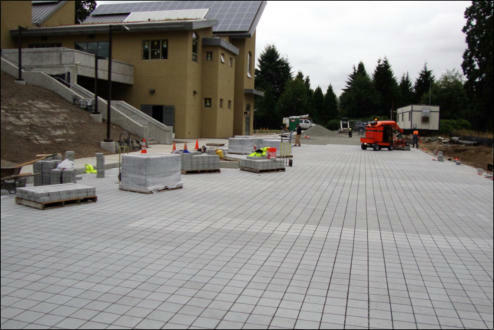 Permeable Installations Permeable paver installations provide environmental benefits of being able to infiltrate water to control storm water runoff through the pavement surface into the ground below. 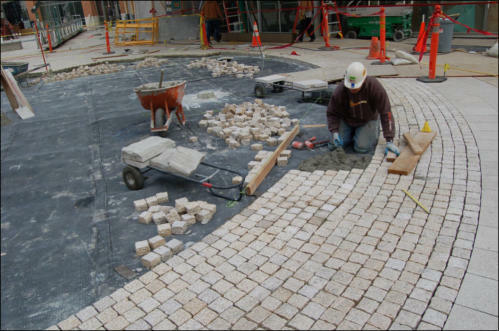 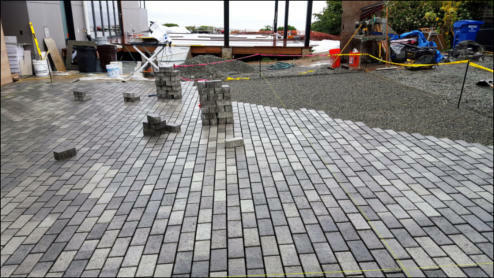 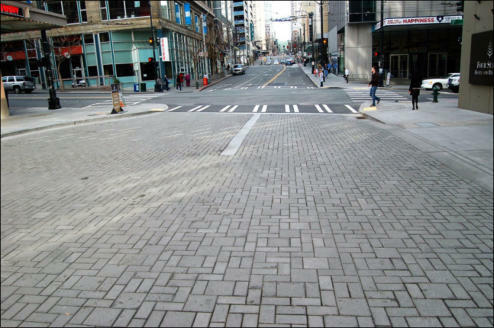 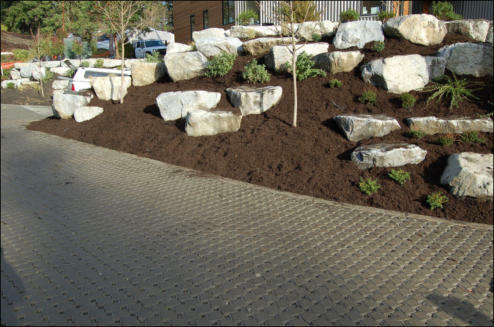 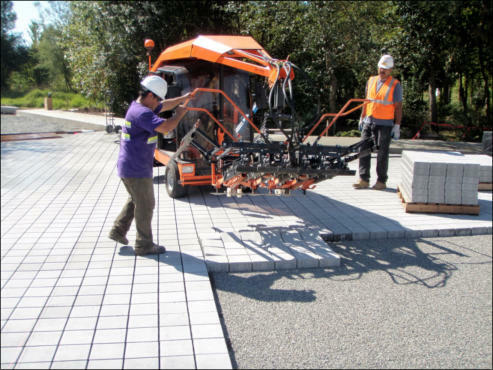 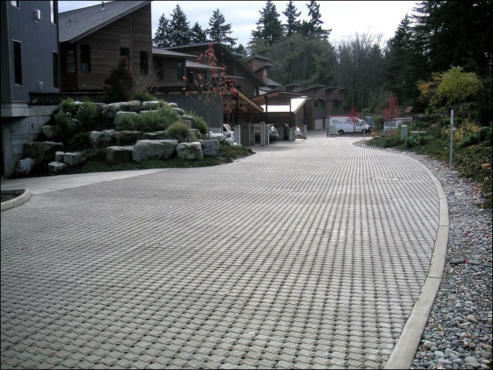 With the advent of the Environmental Protection Agency's (EPA) mandate to control storm water runoff, the path was paved for the growth of permeable pavements. 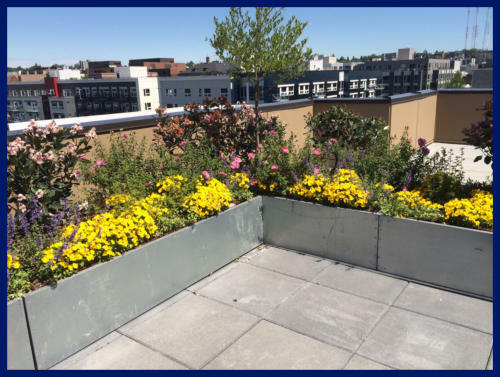 The EPA is now working to promote the use of low impact development (LID) and LEED and Smart Growth as a way to manage runoff. 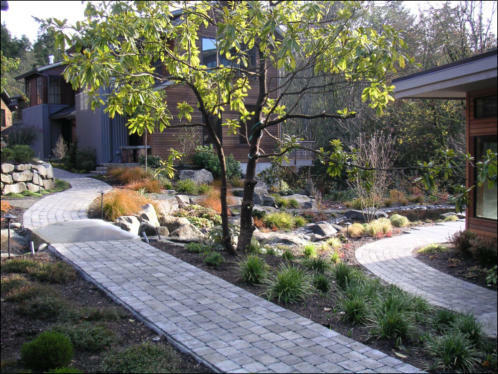 The EPA plans to establish ordinances to move the program in the direction of preferred design and best management practices. 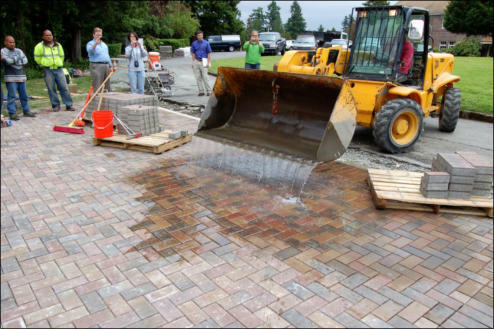 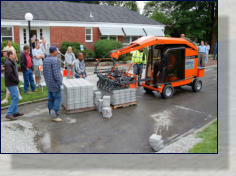 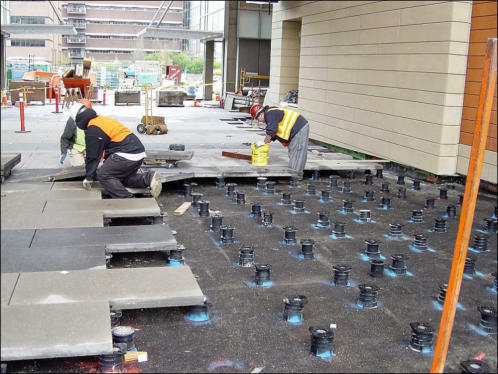 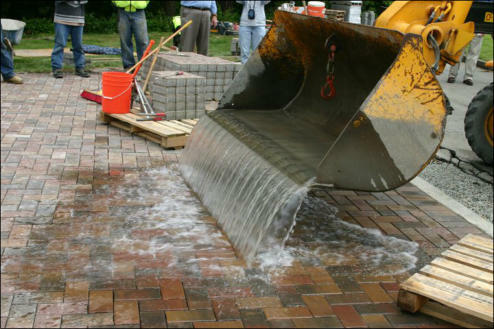 Infiltration practices have emerged as a major focus of these agencies, and permeable interlocking concrete paver utilize infiltration to control storm water runoffs. 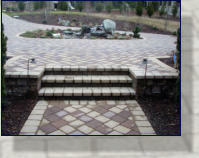 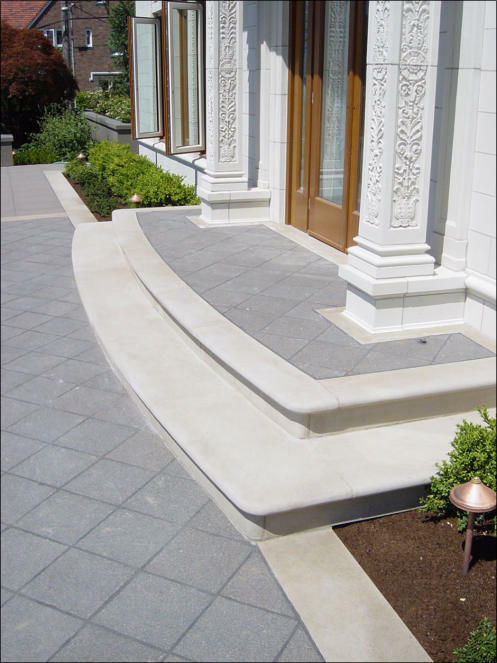 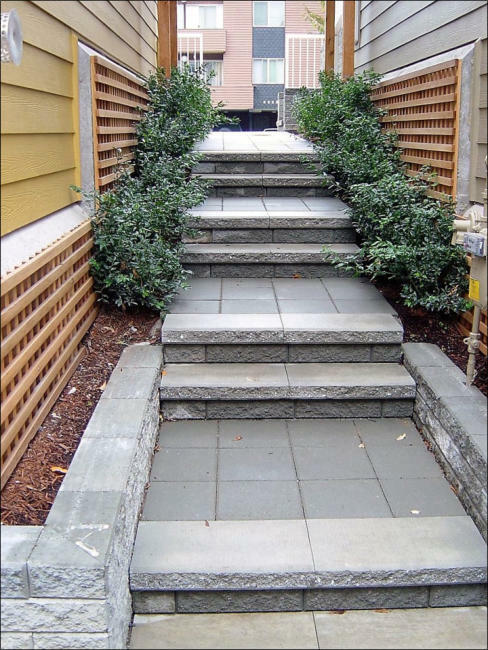 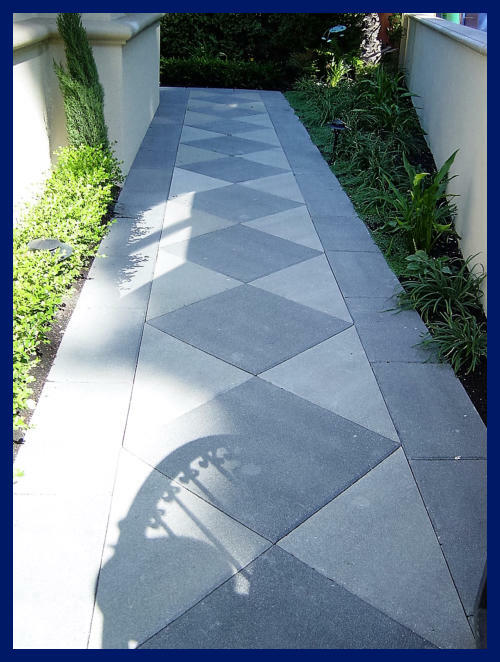 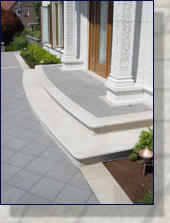 Steps & Stoops Pavers and Hydra-pressed Slabs bring a beautiful courtyard to life, or make an entry gracious. 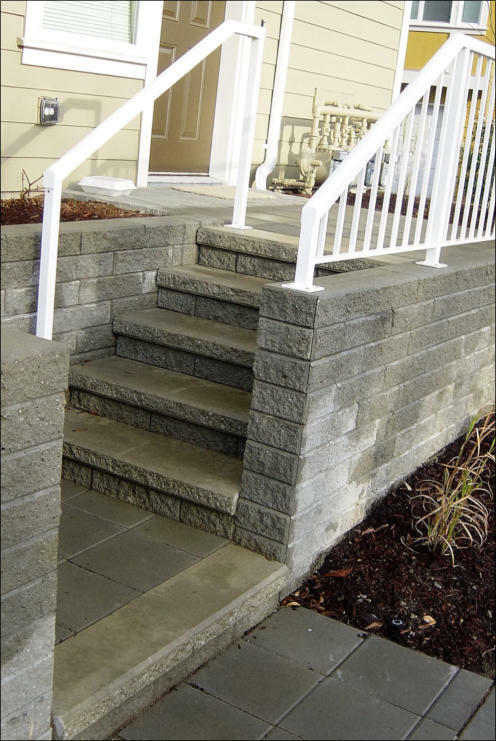 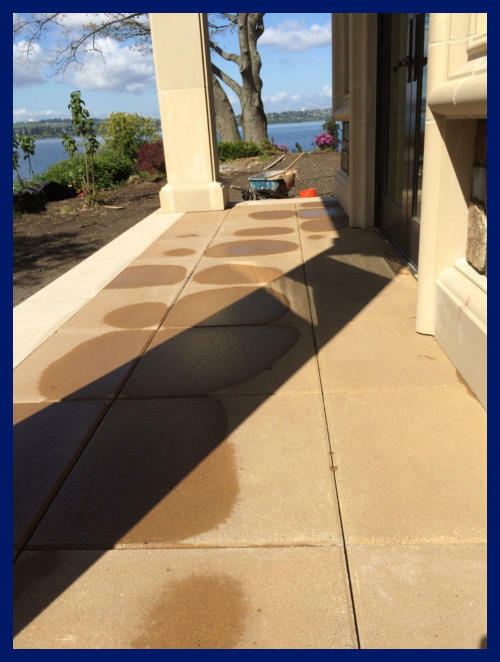 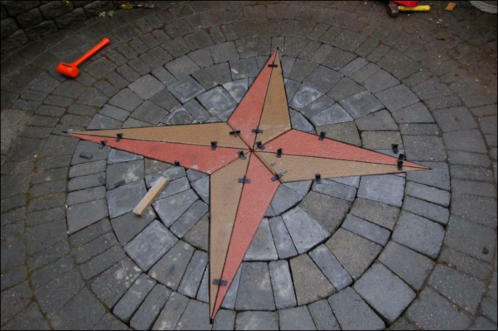 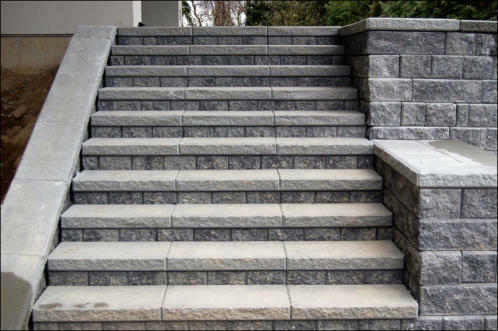 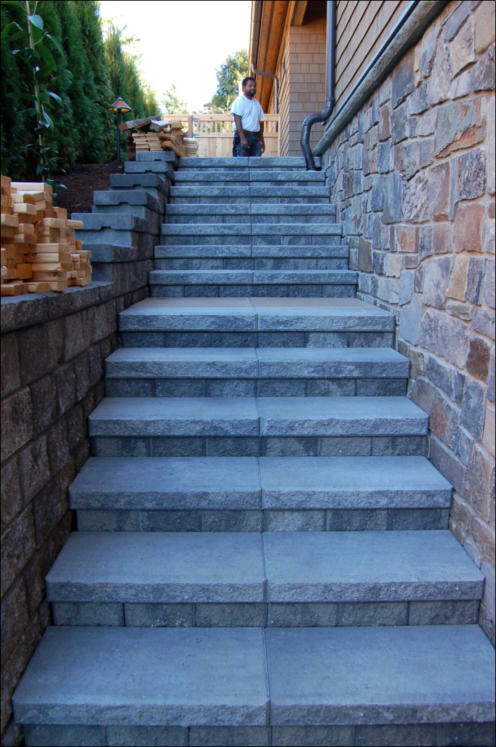 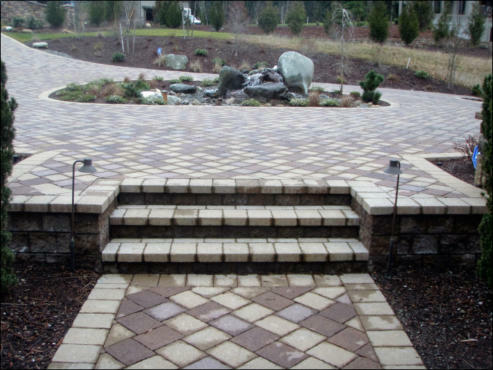 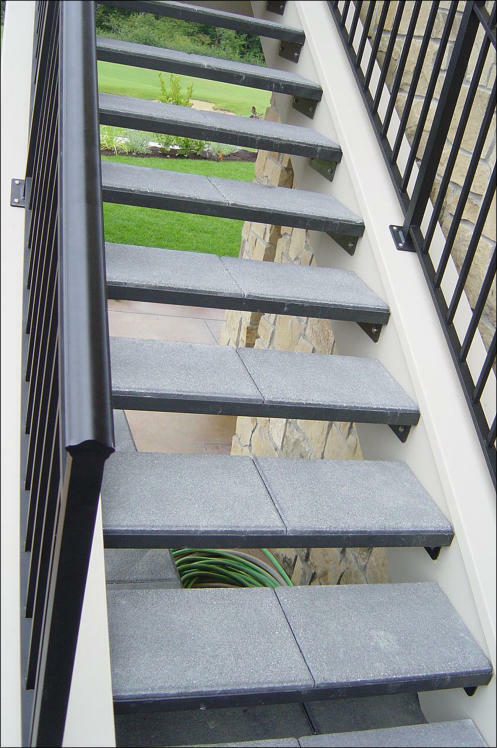 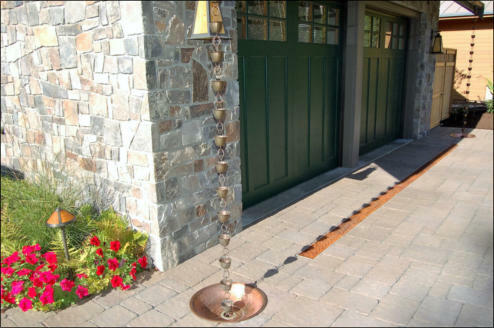 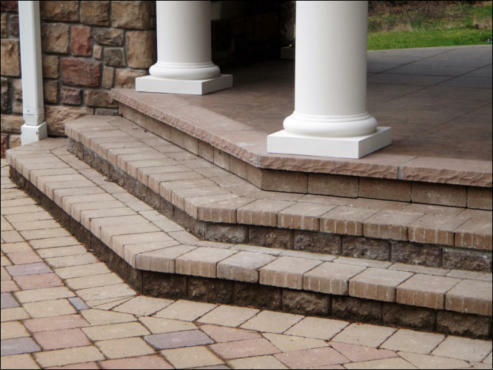 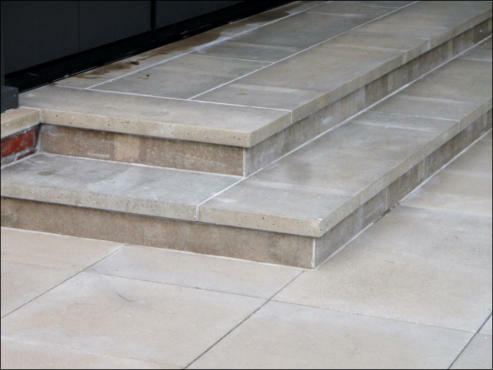 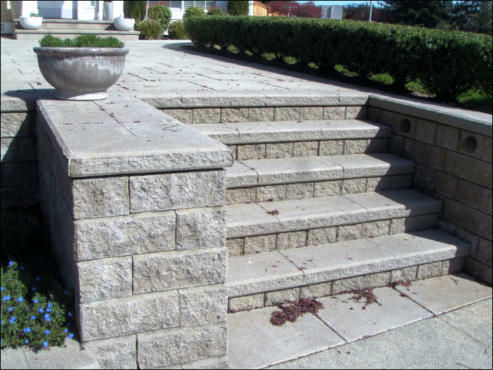 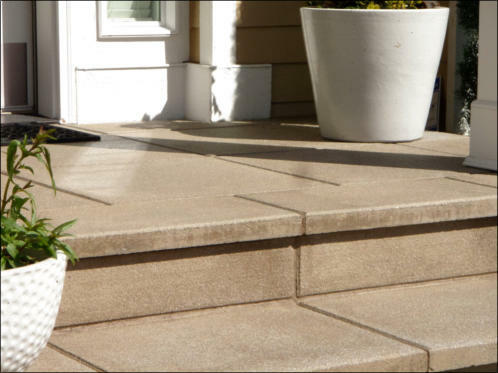 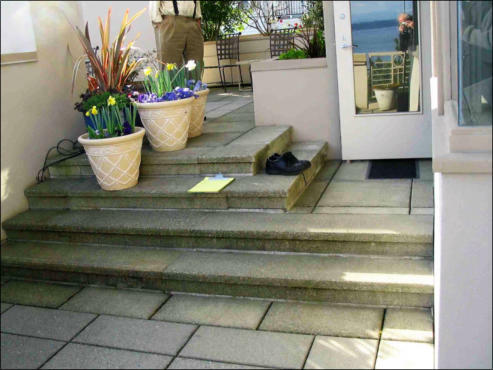 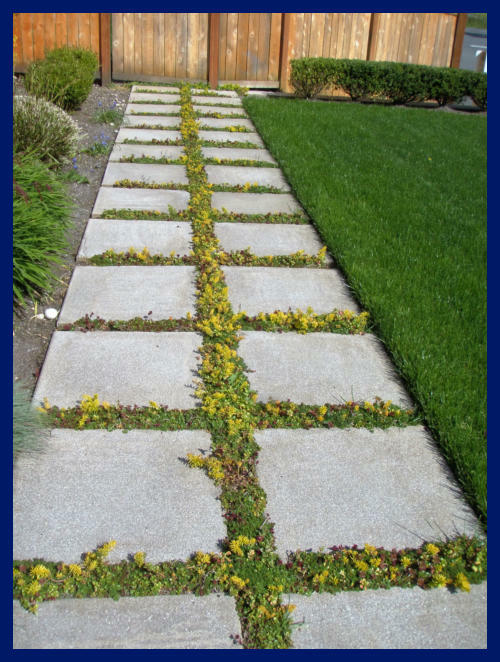 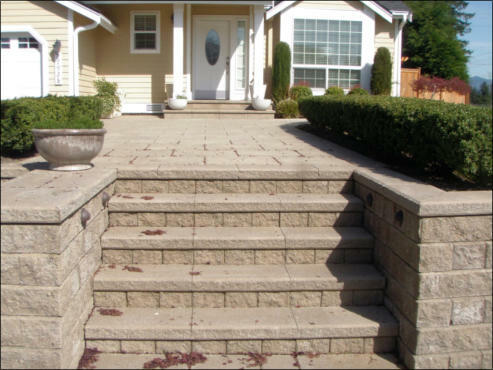 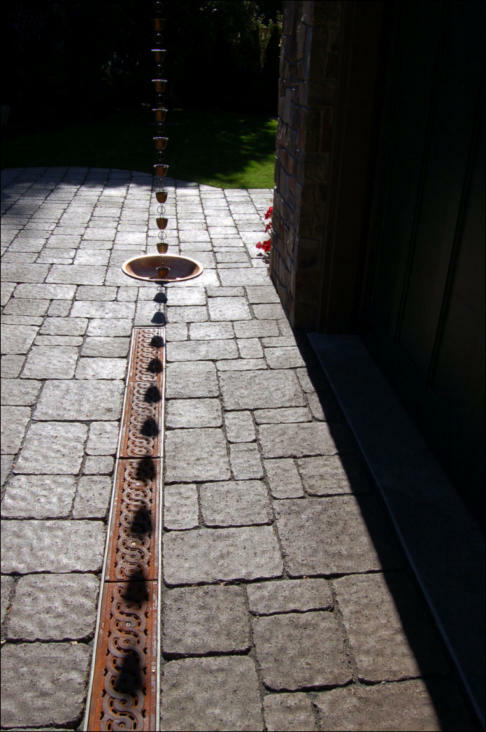 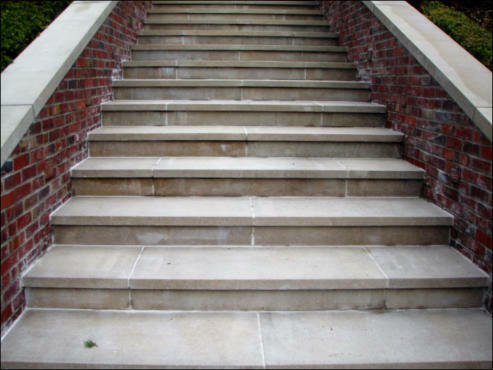 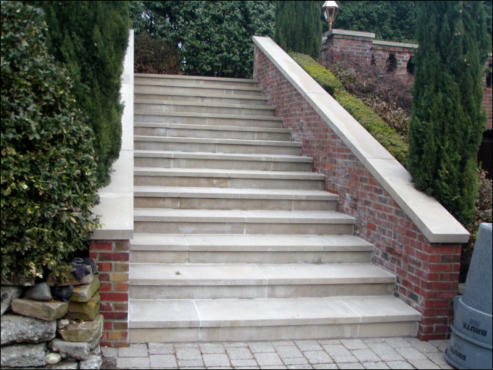 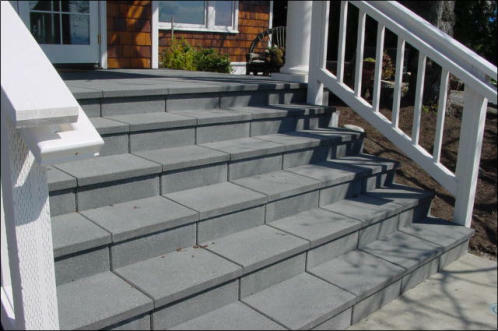 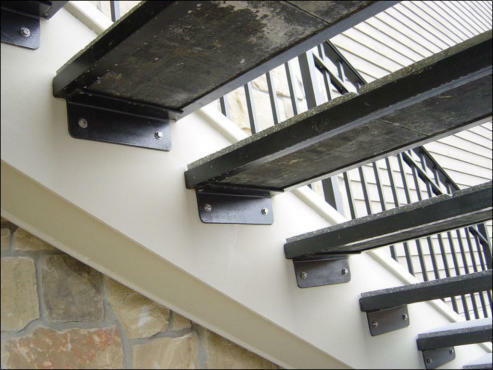 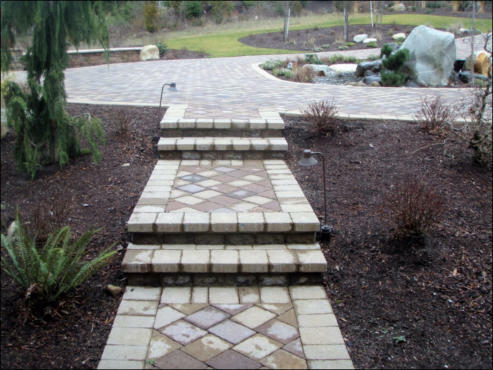 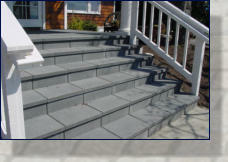 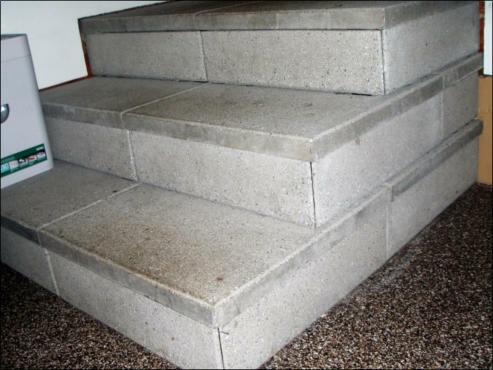 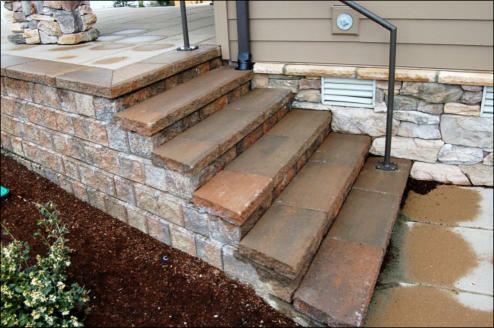 Steps can be created to complement your driveway or walkway, by cutting Hydra- pressed Slabs to measure and mortaring, or “pinning” and epoxying them at the tread and riser. 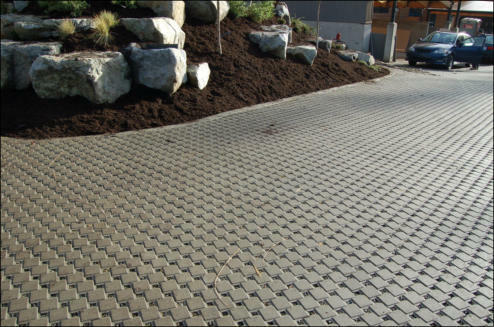 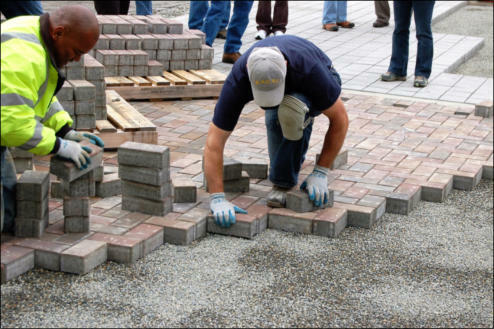 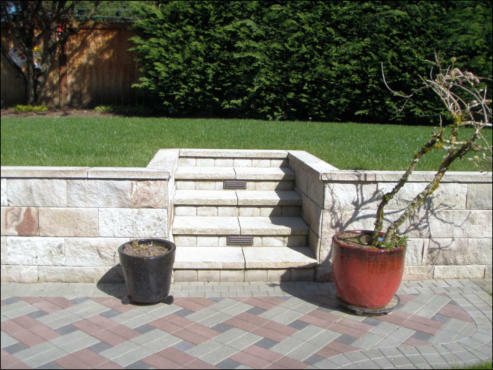 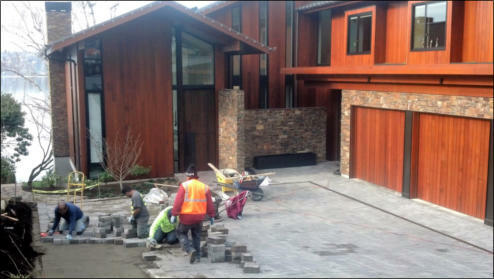 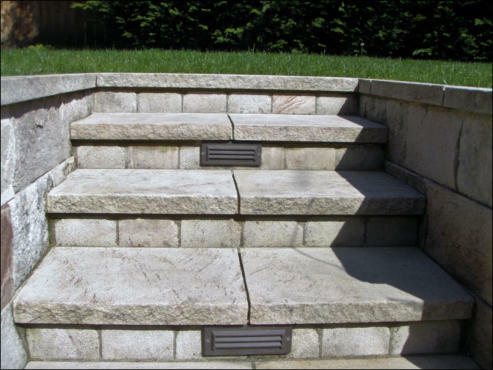 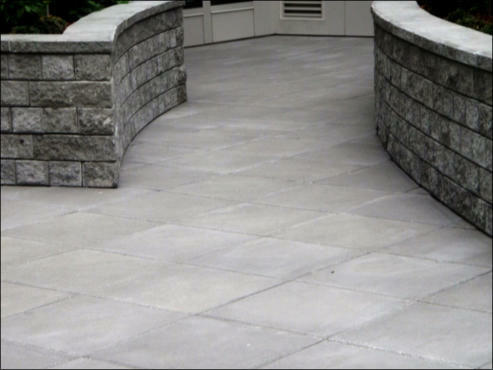 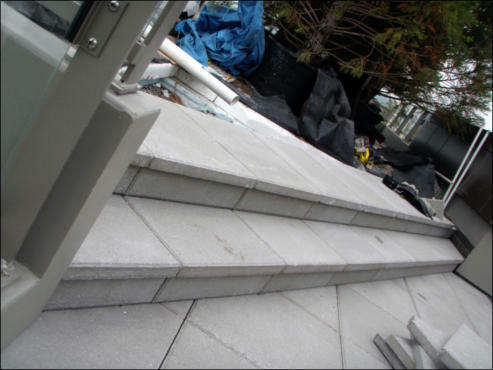 Pavers can also be used in combination with segmental wall blocks to create tread/risers. 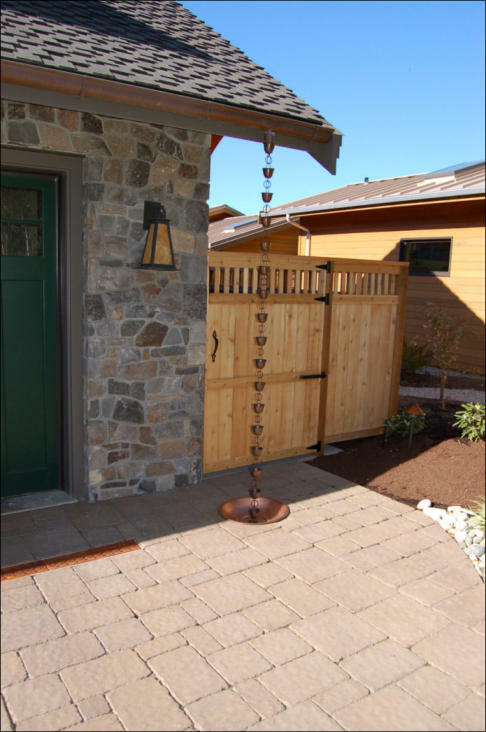 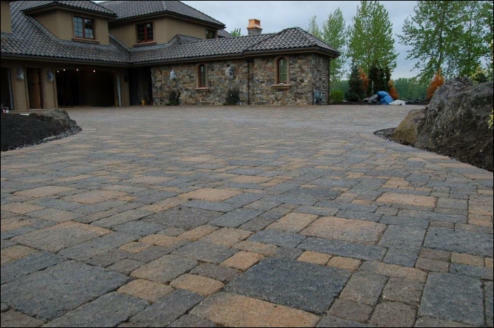 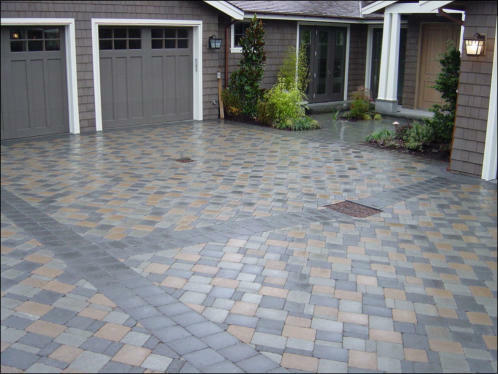 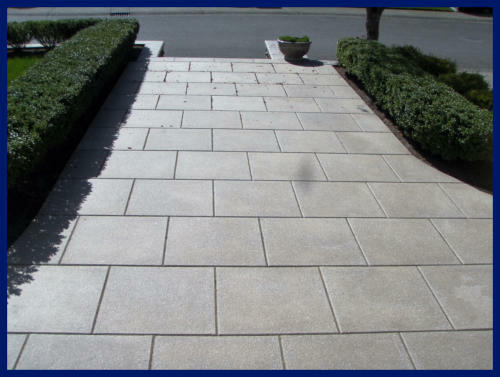 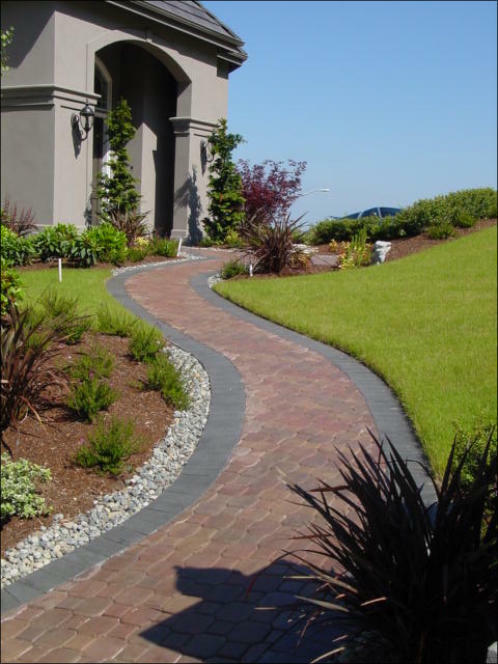 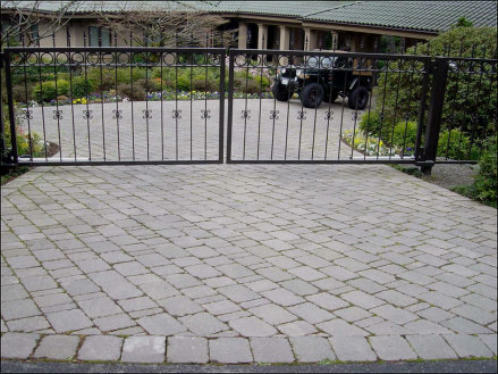 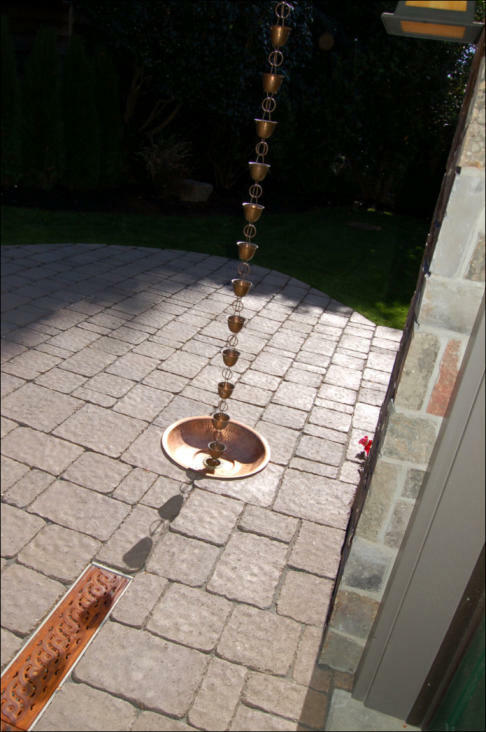 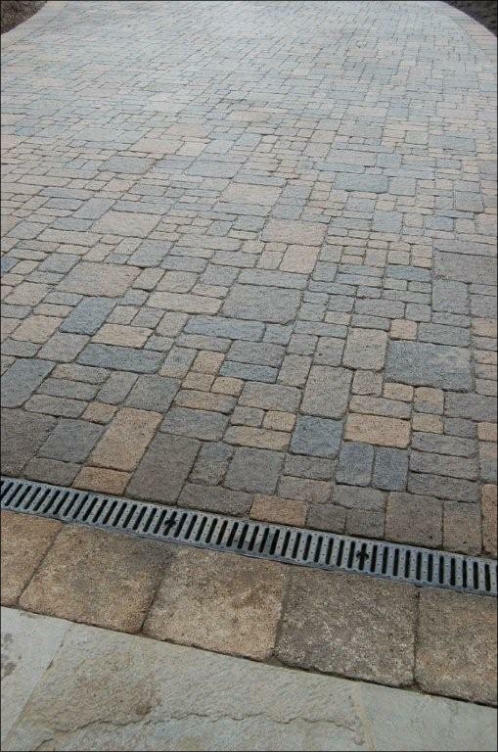 Because of their superior strength and durability they will give the same endurance as your courtyard, patio or driveway and at the same time “accentuate” your entry. 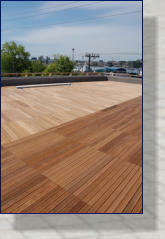 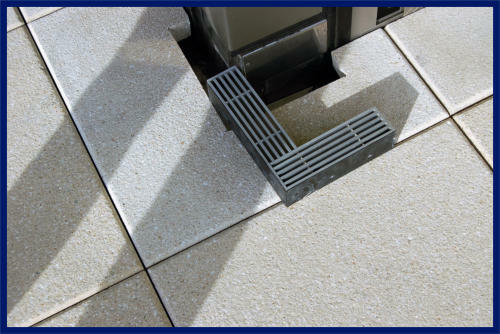 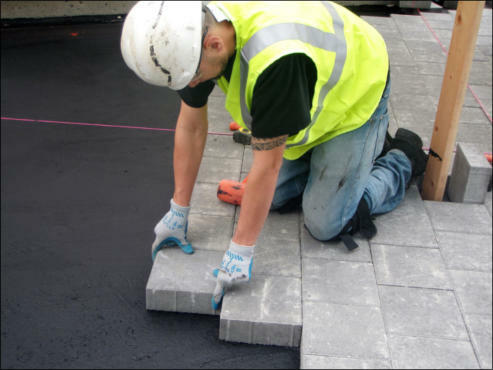 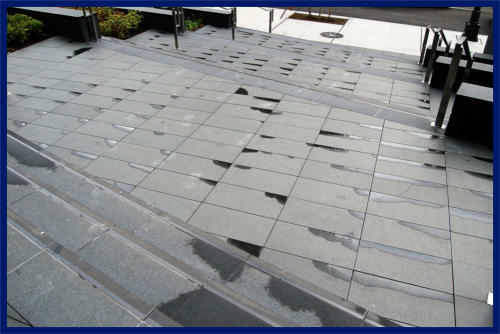 Wind-uplift Requirements, Surface Drains, Stair pans and Special cuts and inlays. 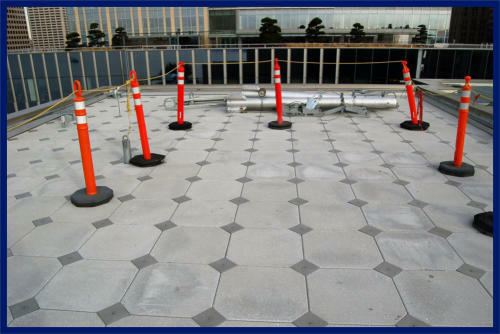 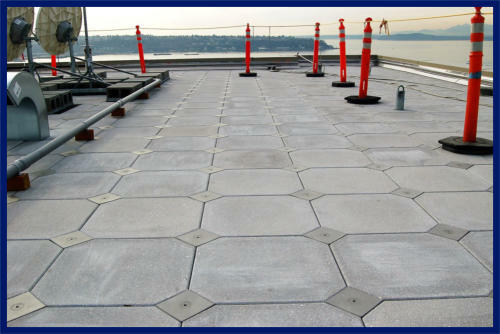 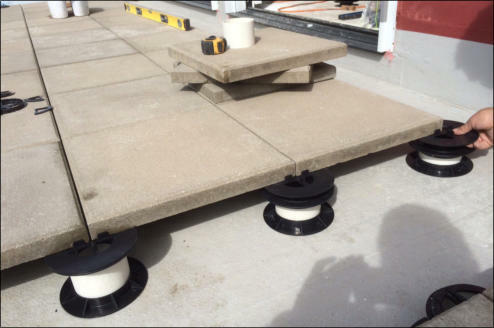 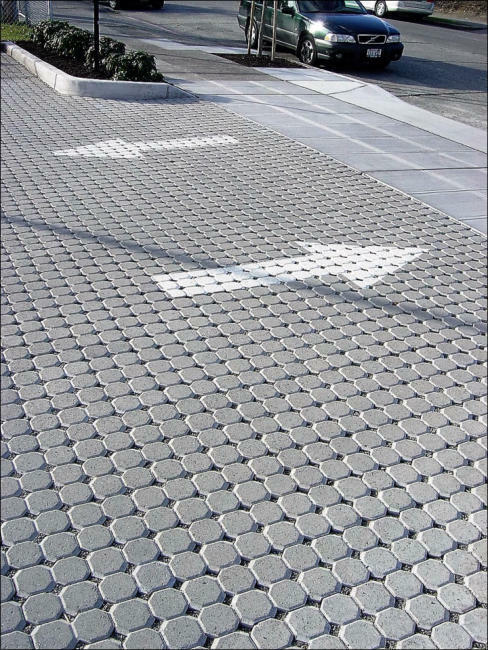 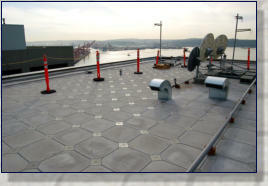 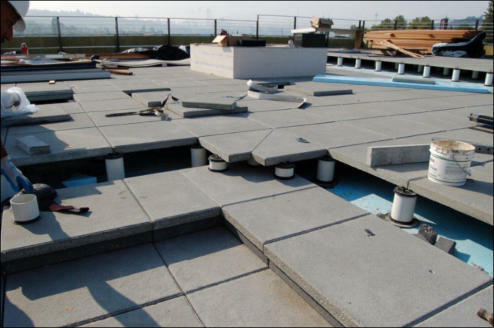 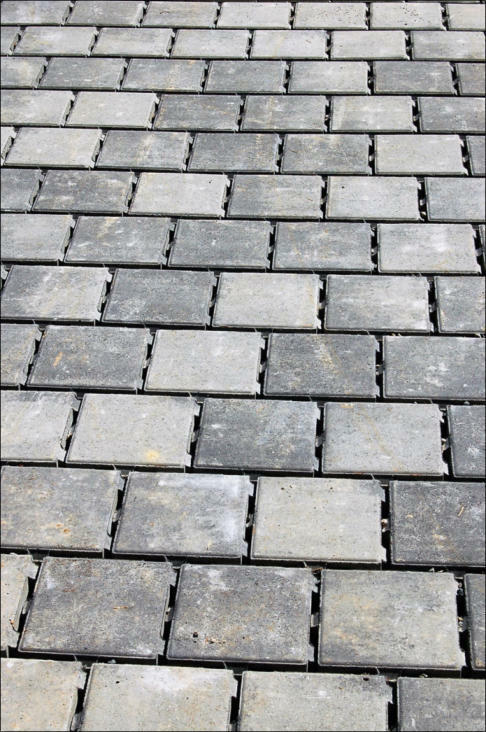 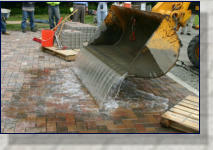 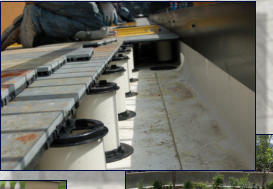 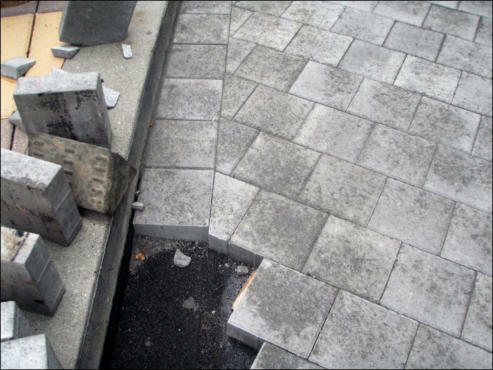 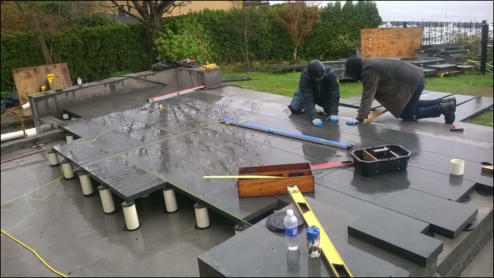 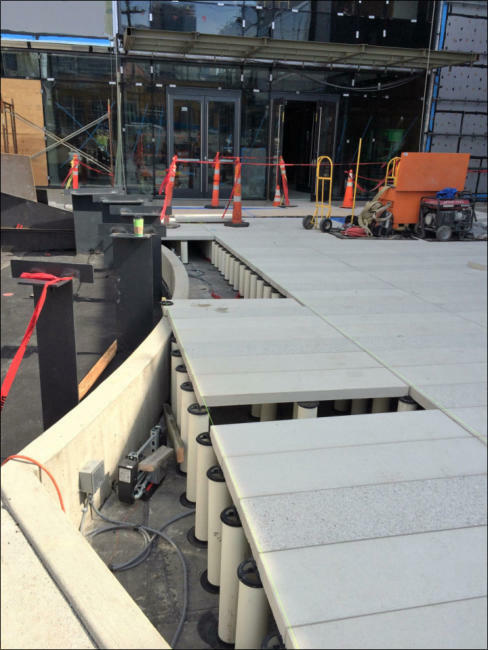 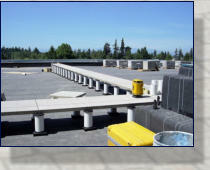 Concrete Pavers with wind uplift restraint plates. 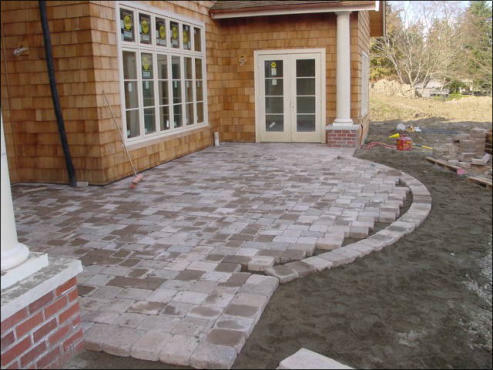 © 2006-2017 Appian Construction, Inc.